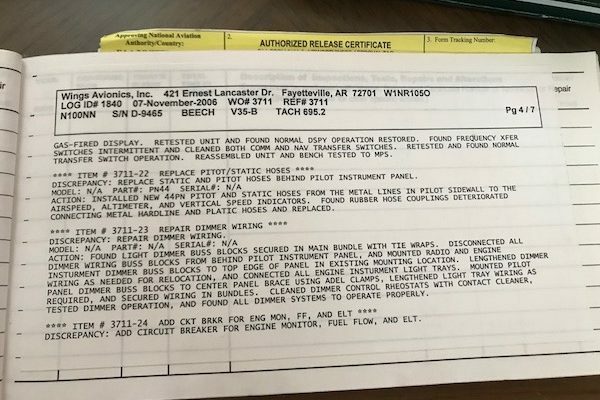 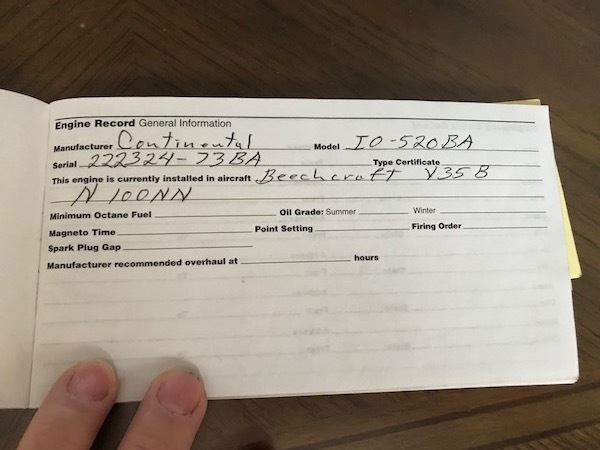 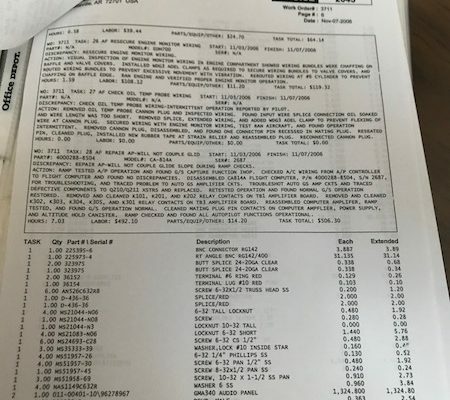 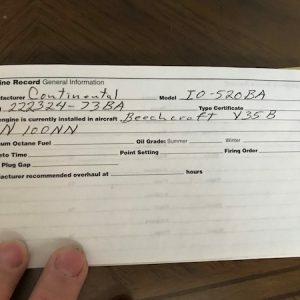 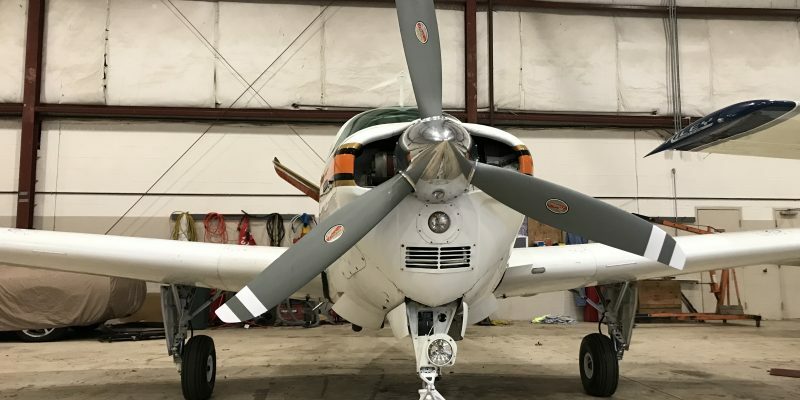 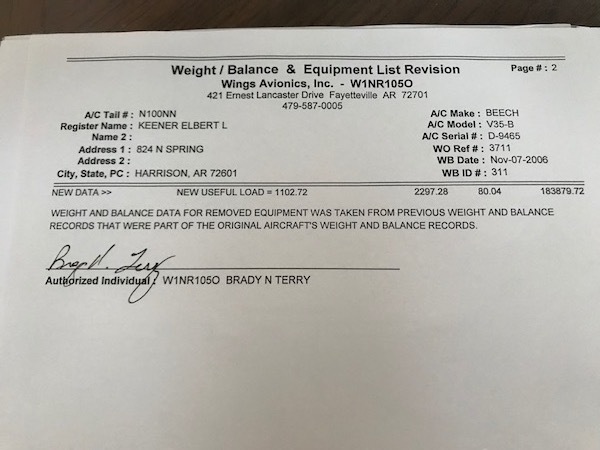 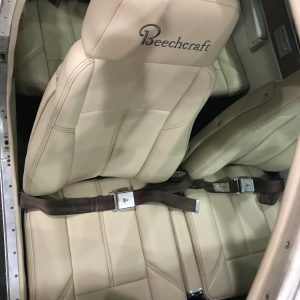 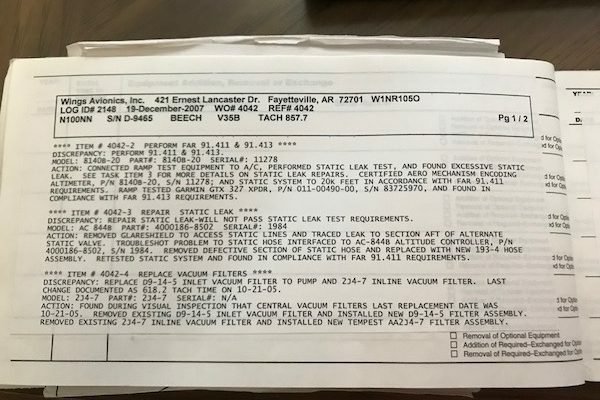 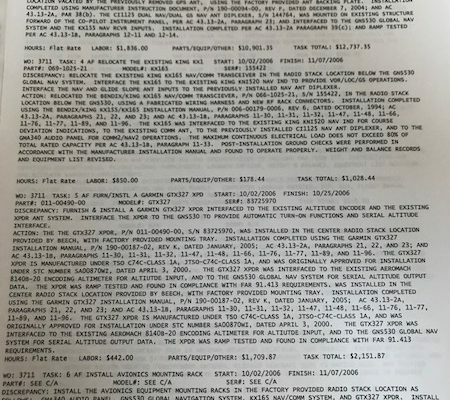 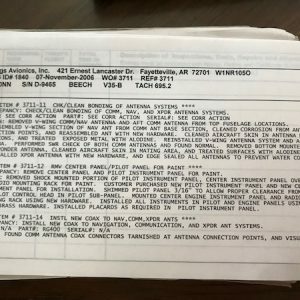 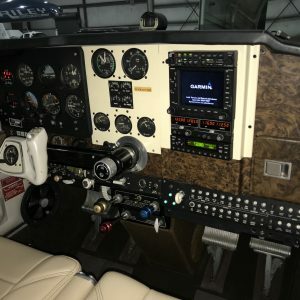 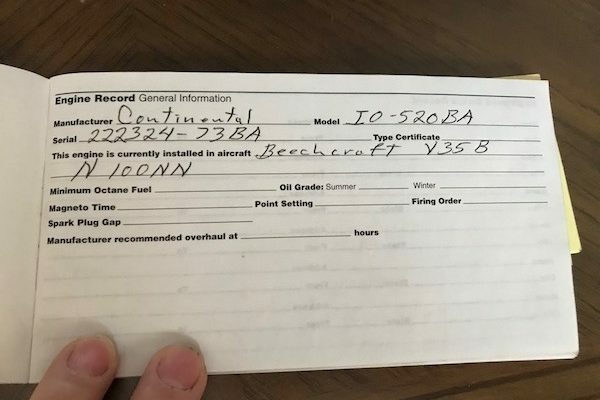 1973 V35B Beechcraft 2500TTAF, 1165 SMOH, 1102 Useful load! 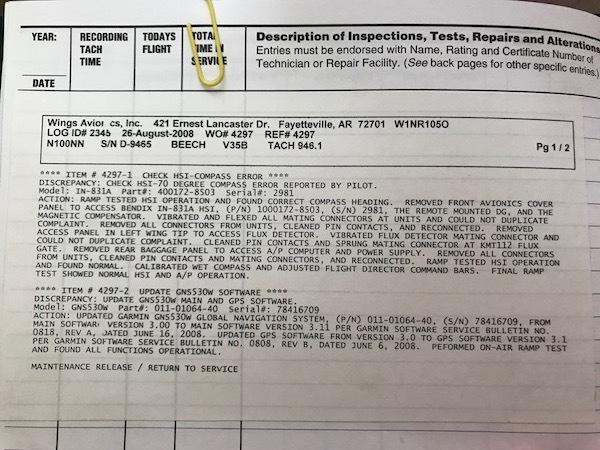 1973 V35B Beechcraft 2500TTAF, 1165 SMOH, 1102 Useful load! 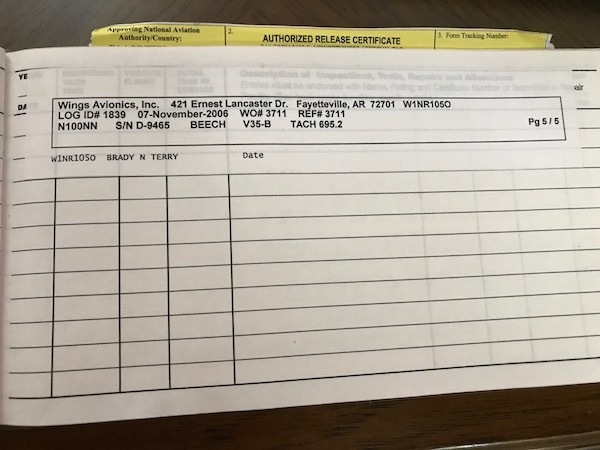 1973 V35B Beechcraft 2500TTAF, 1165 SMOH, 1102 Useful load! 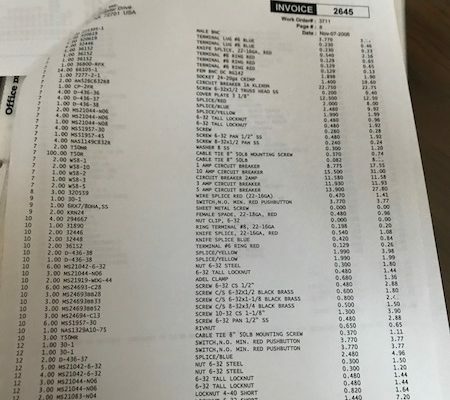 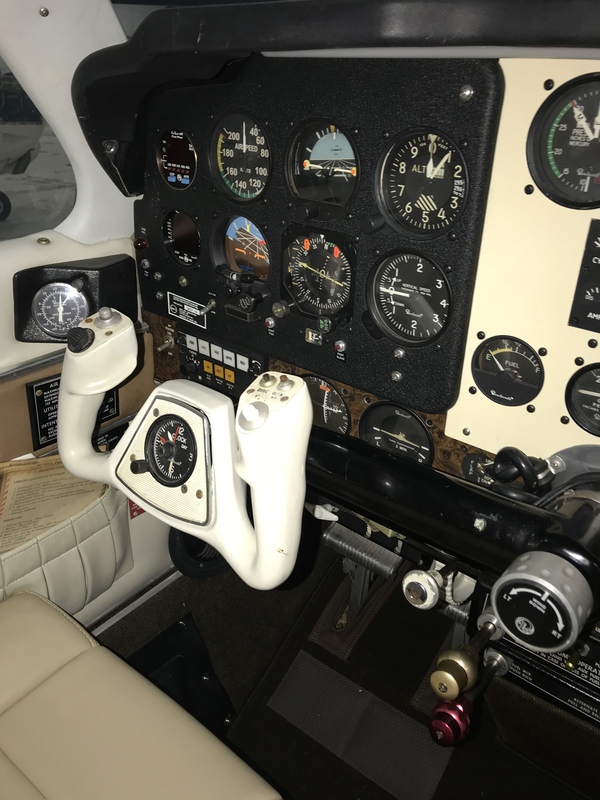 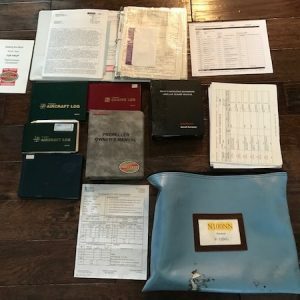 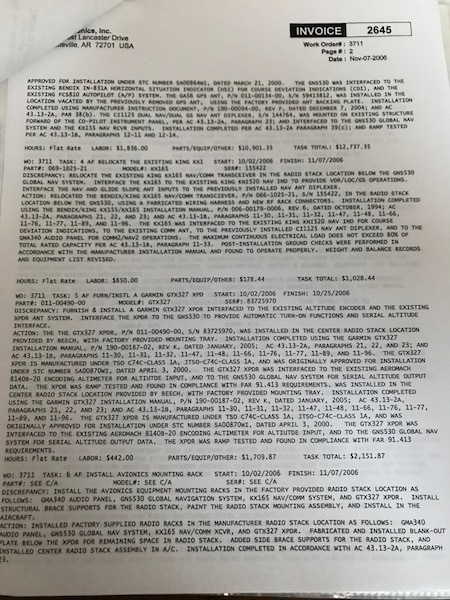 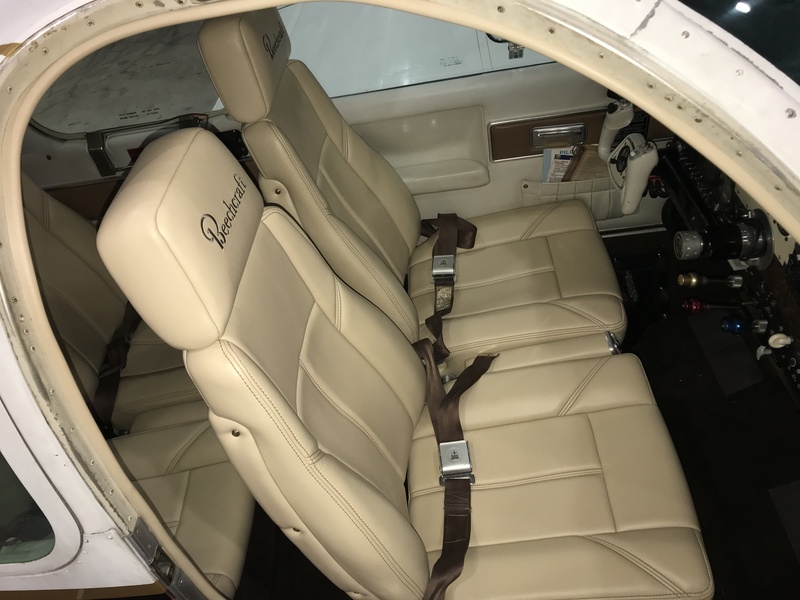 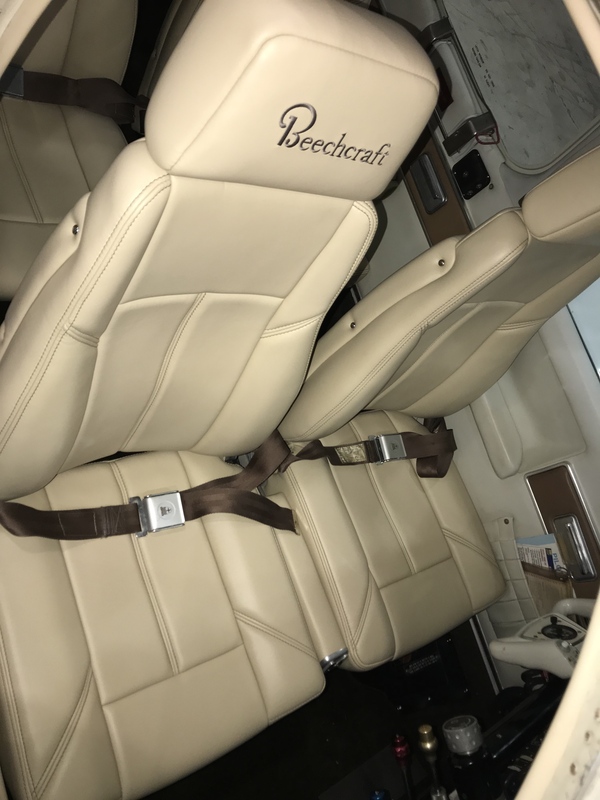 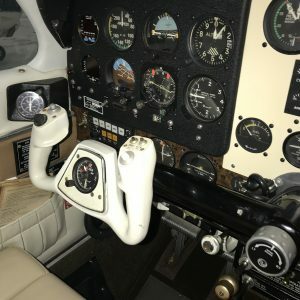 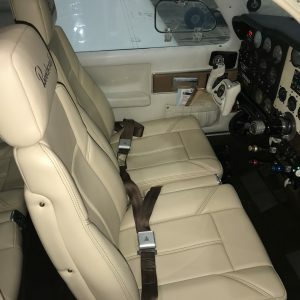 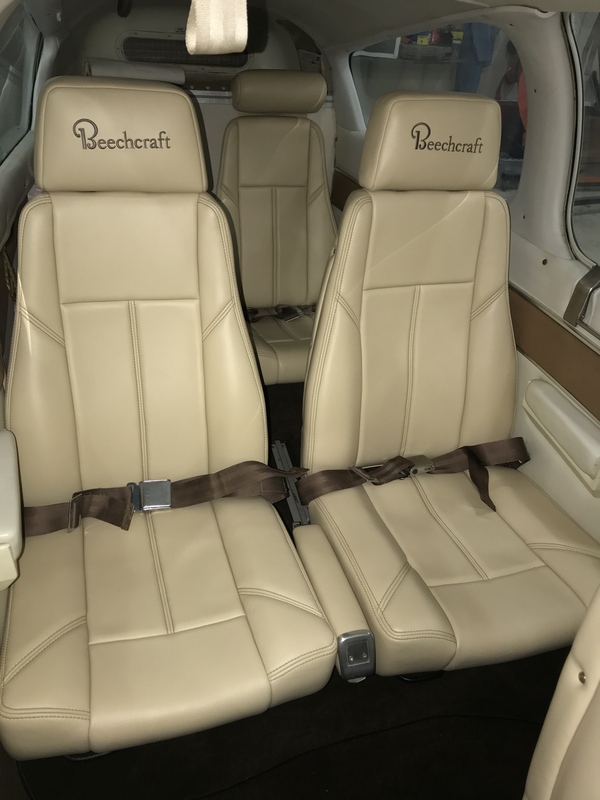 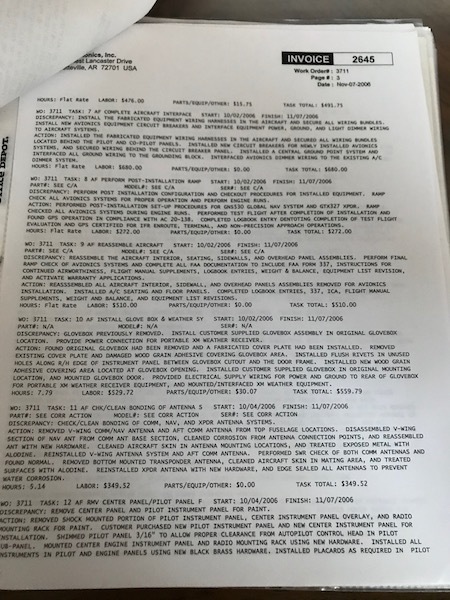 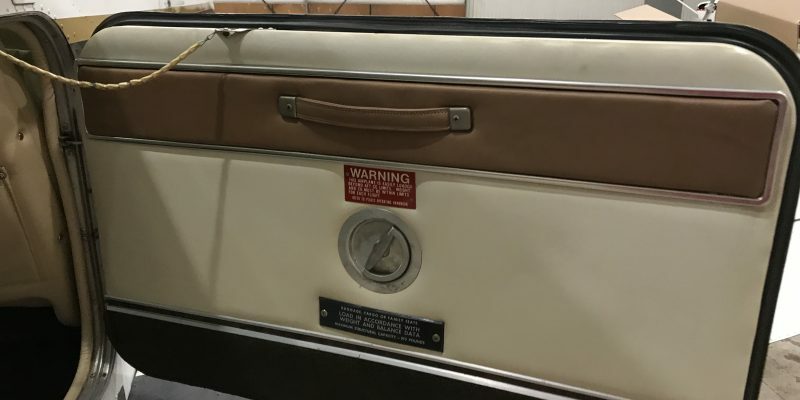 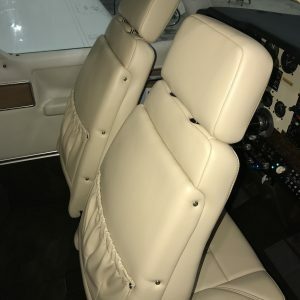 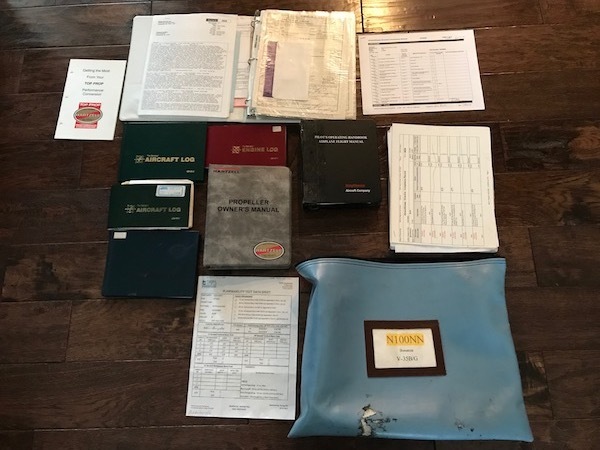 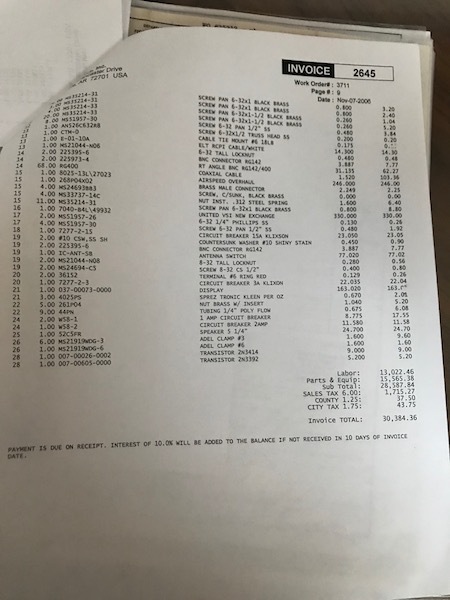 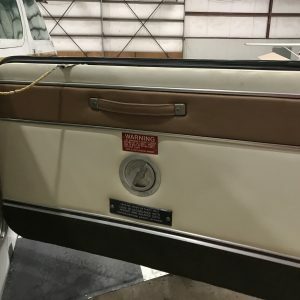 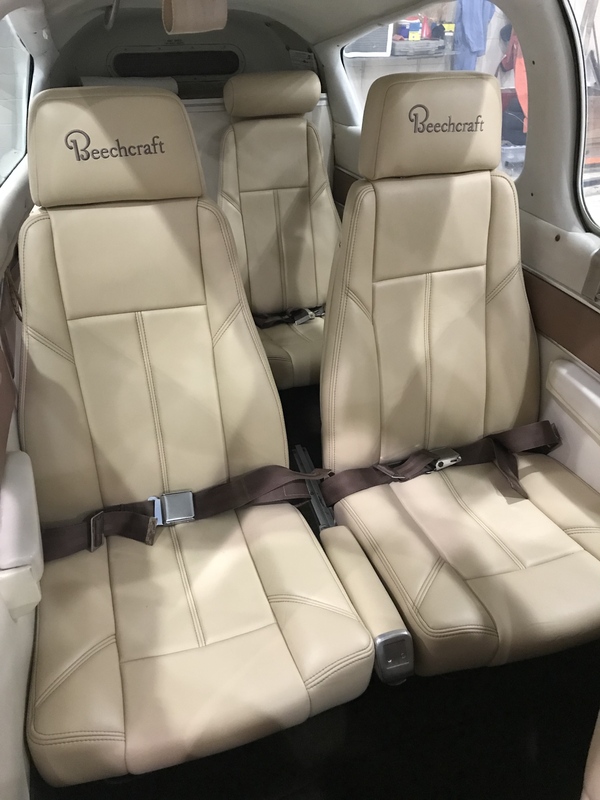 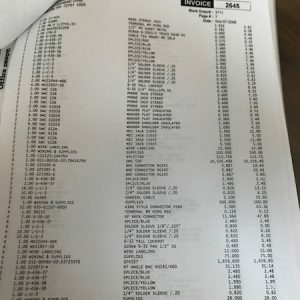 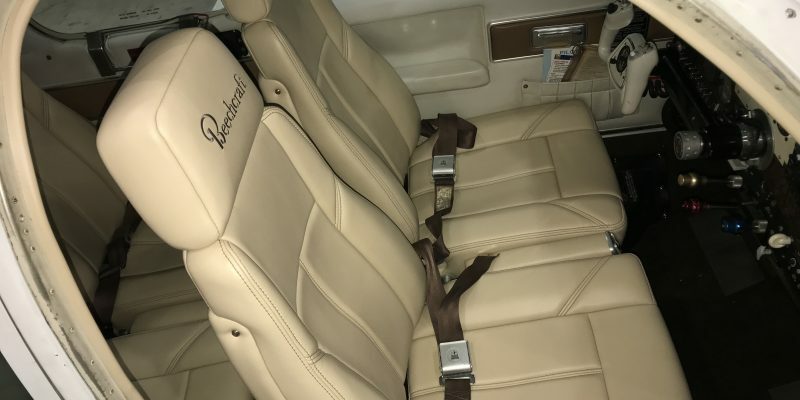 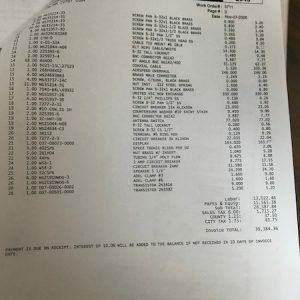 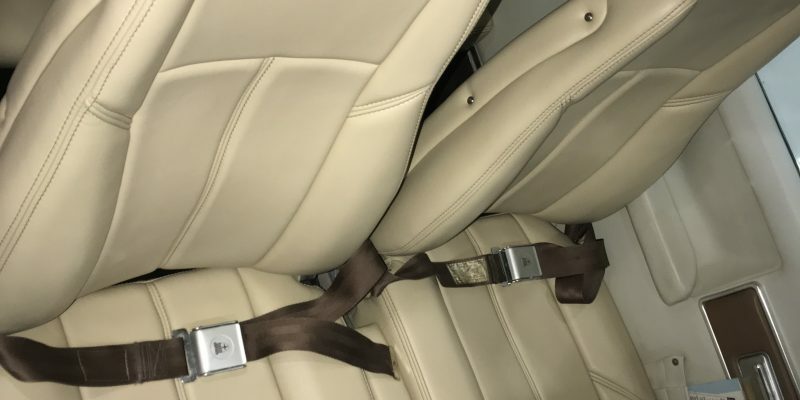 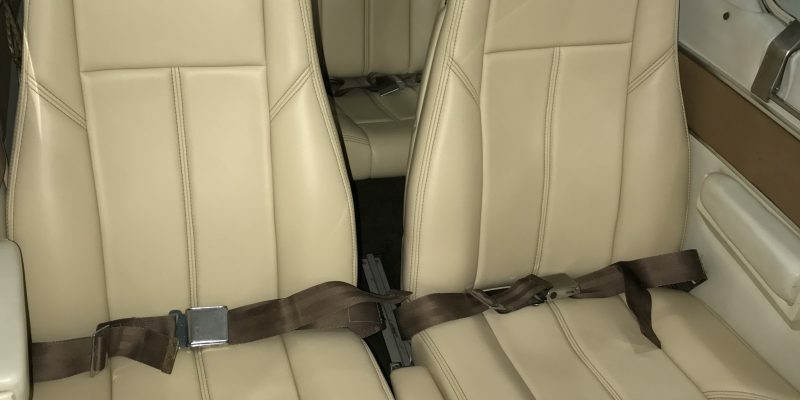 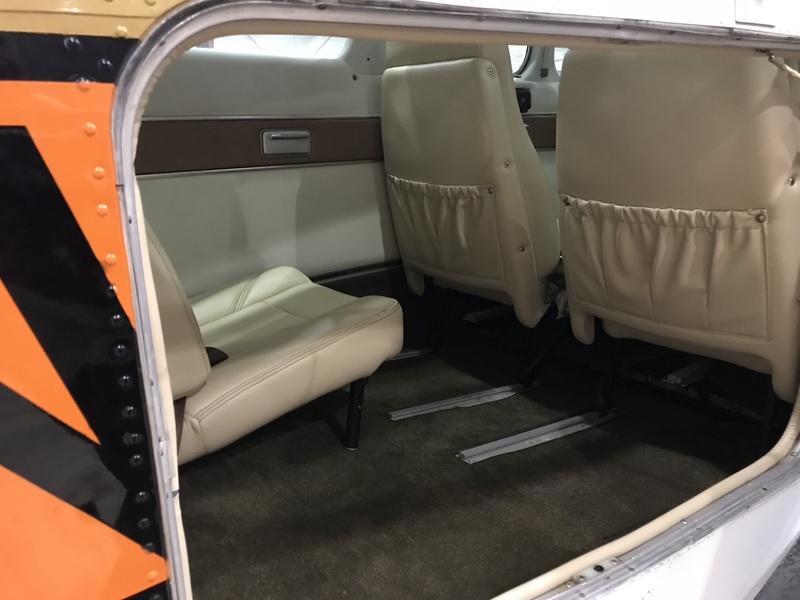 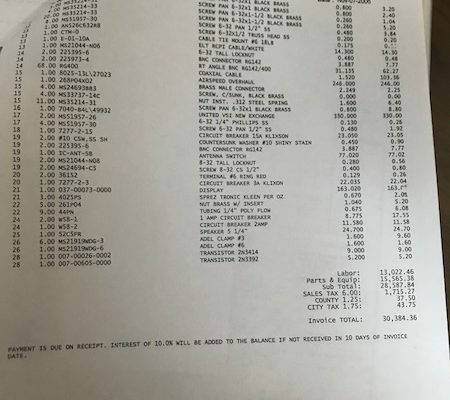 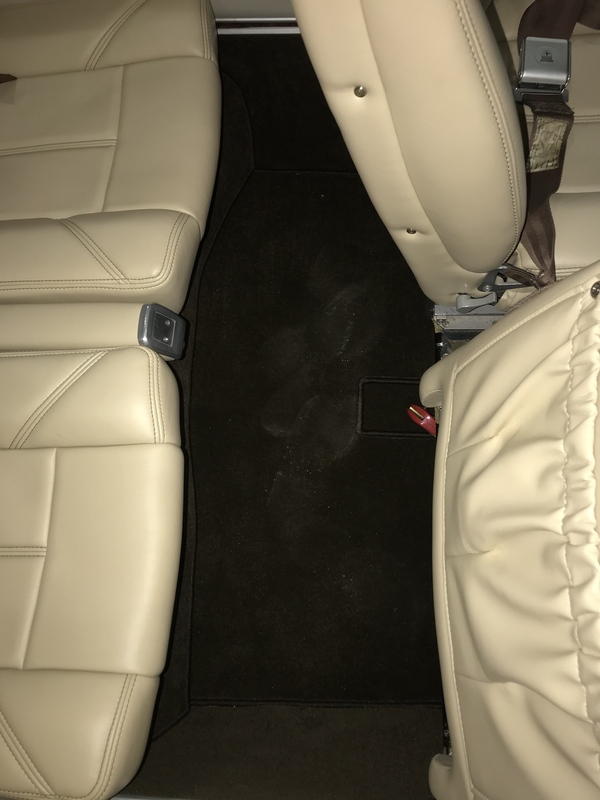 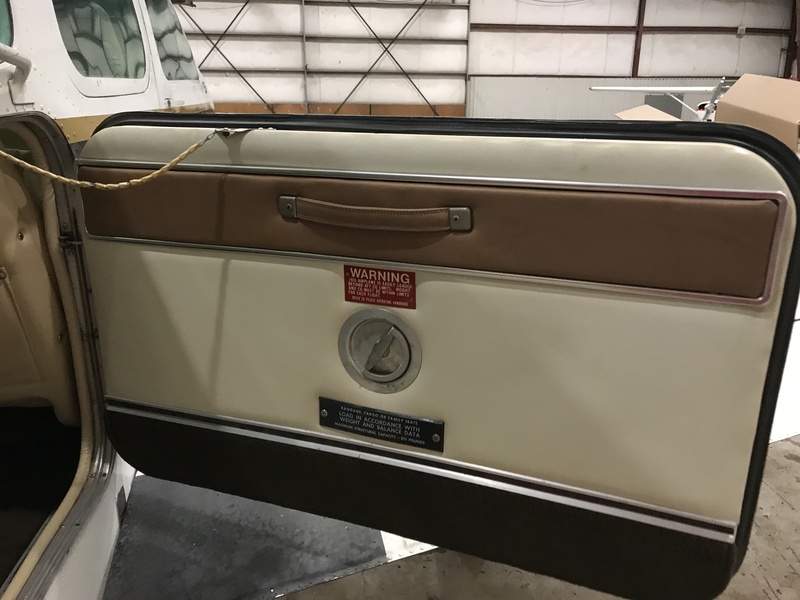 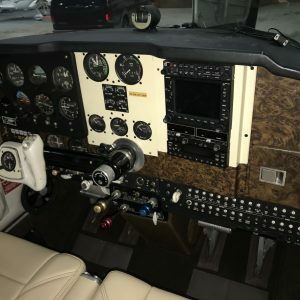 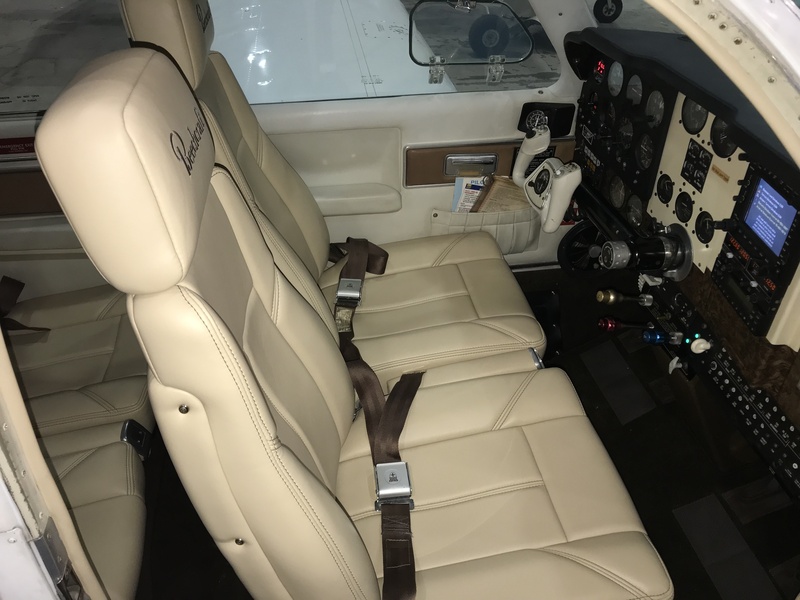 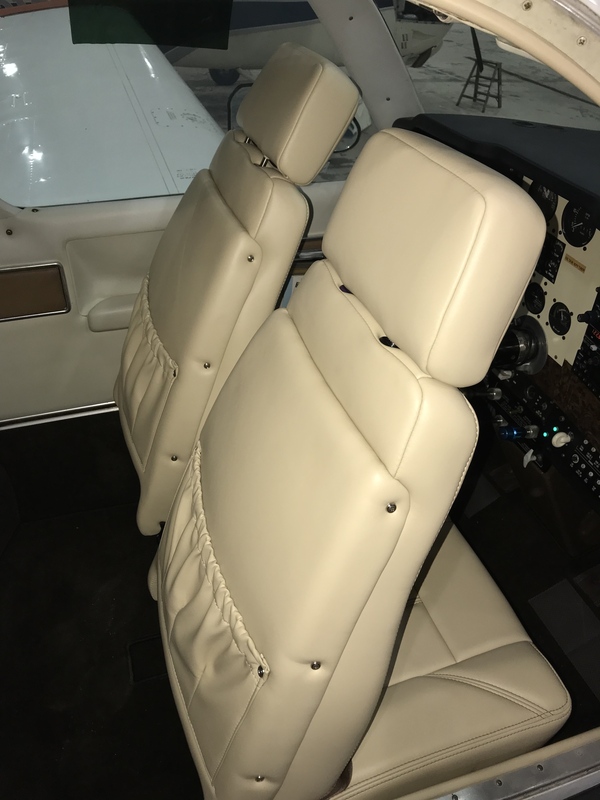 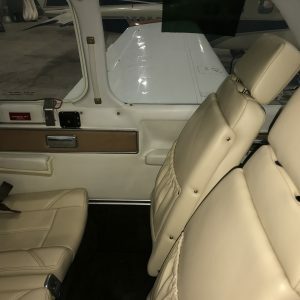 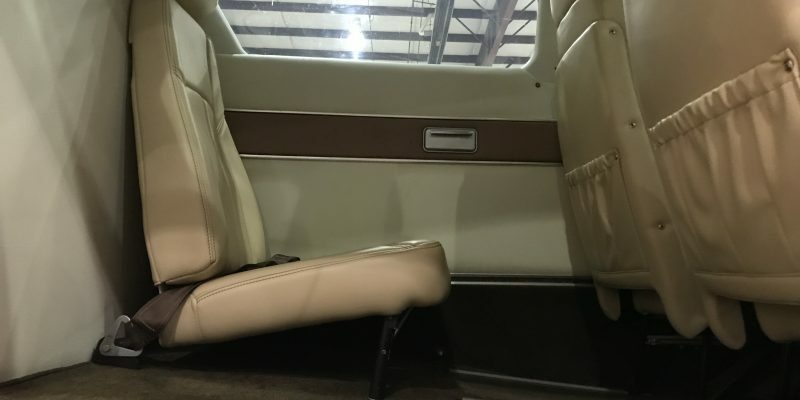 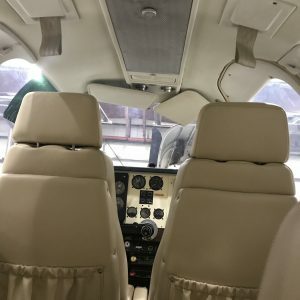 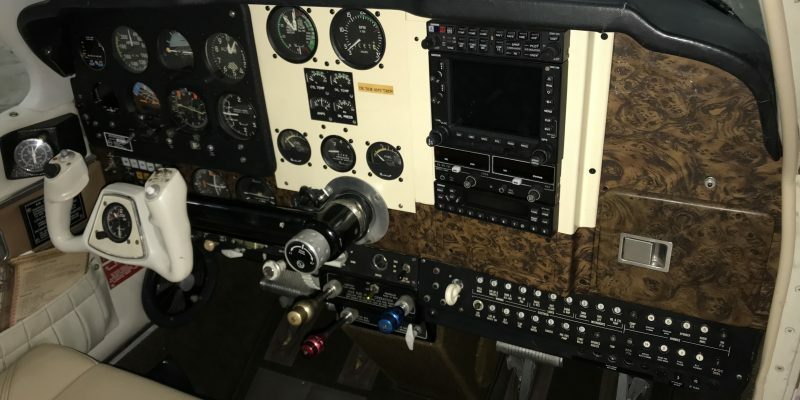 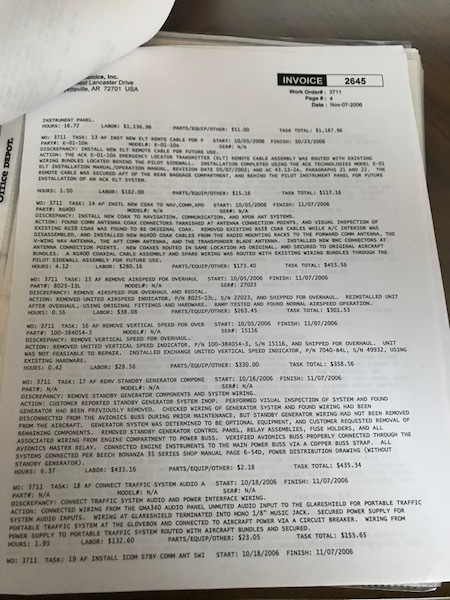 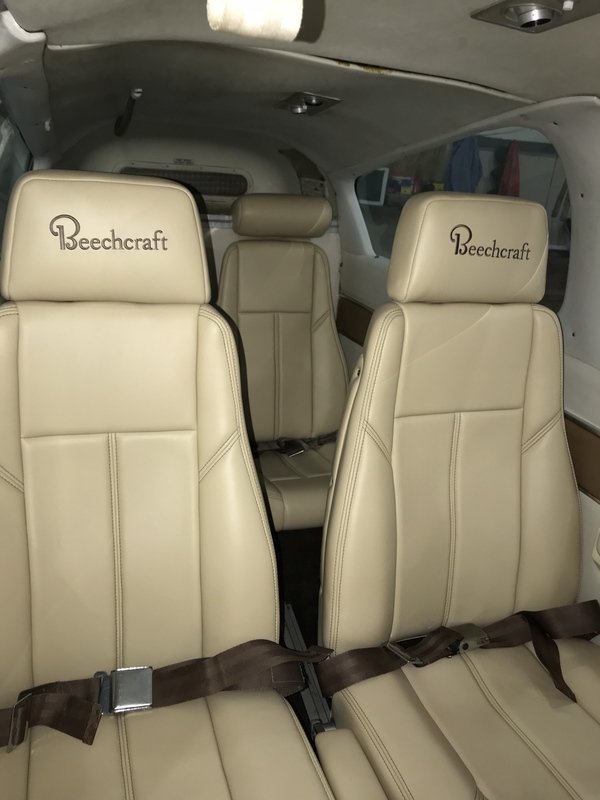 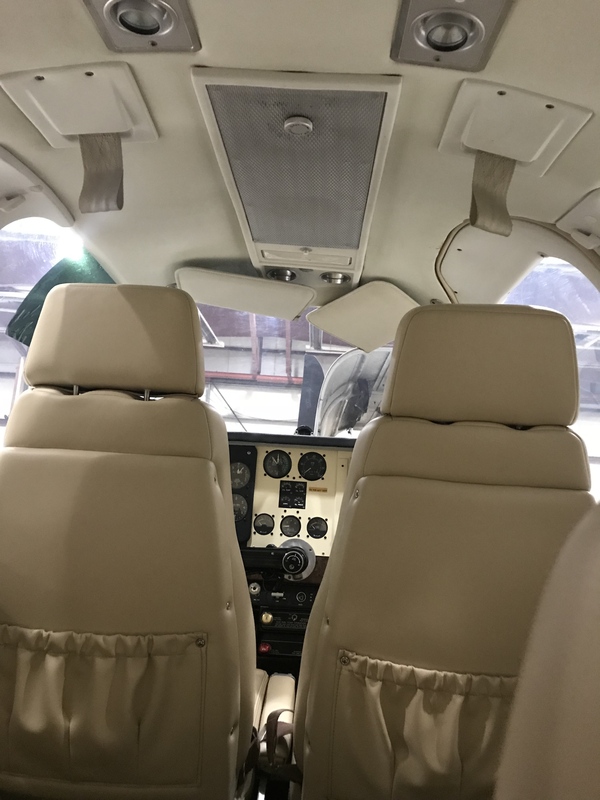 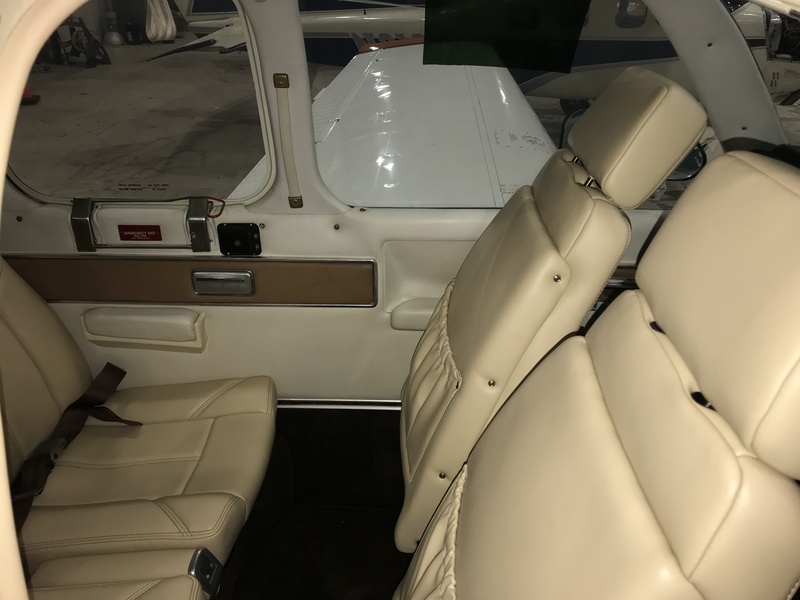 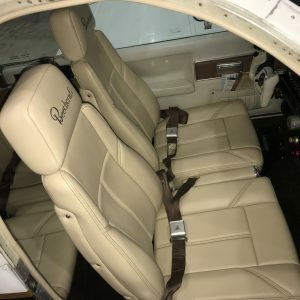 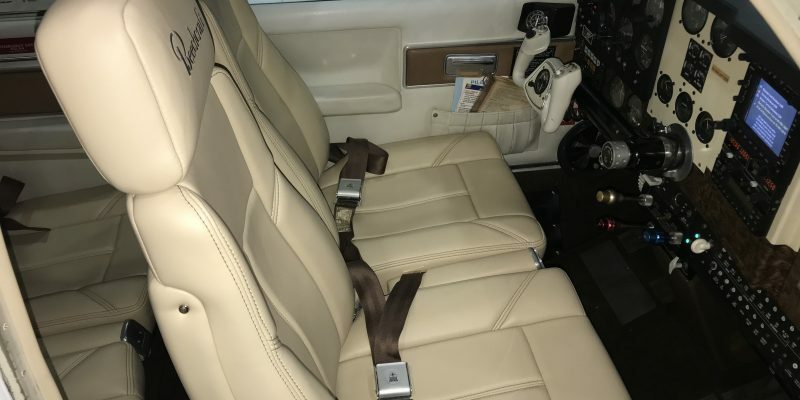 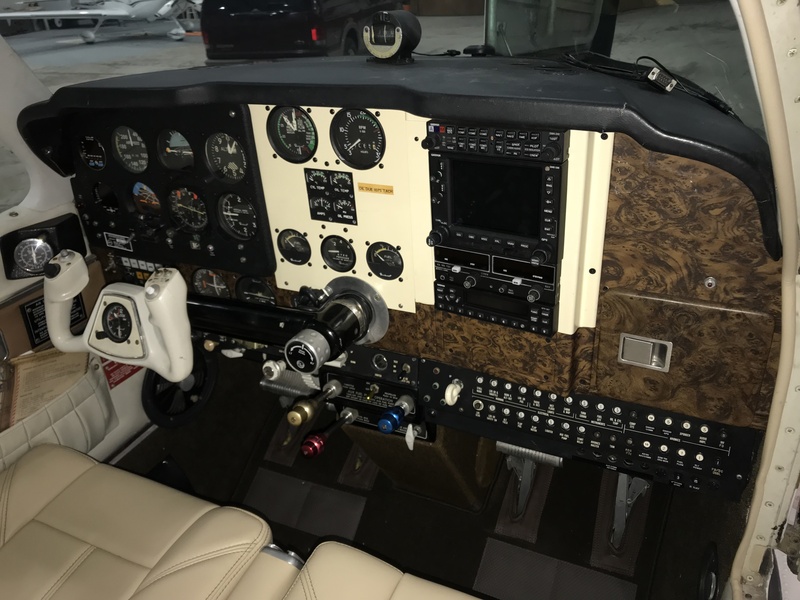 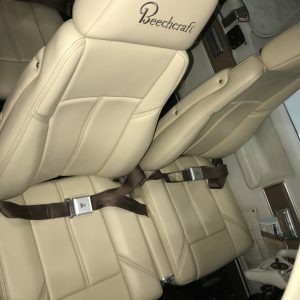 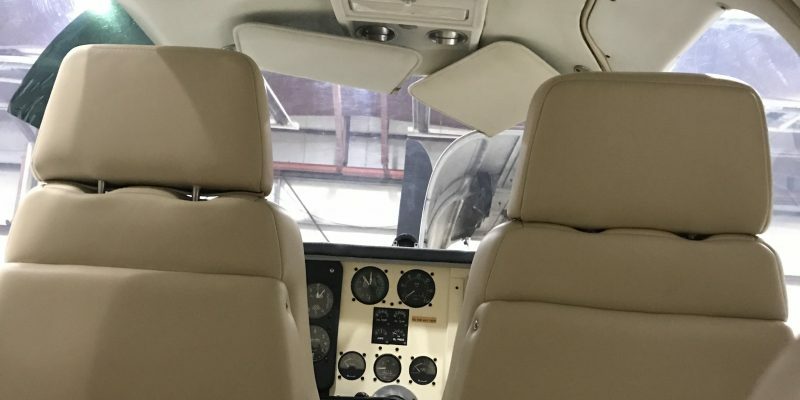 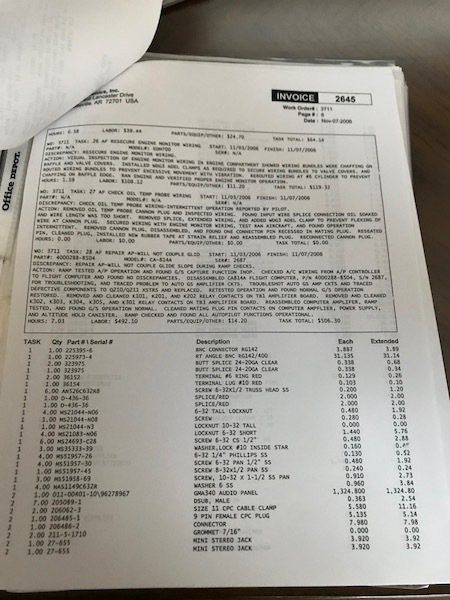 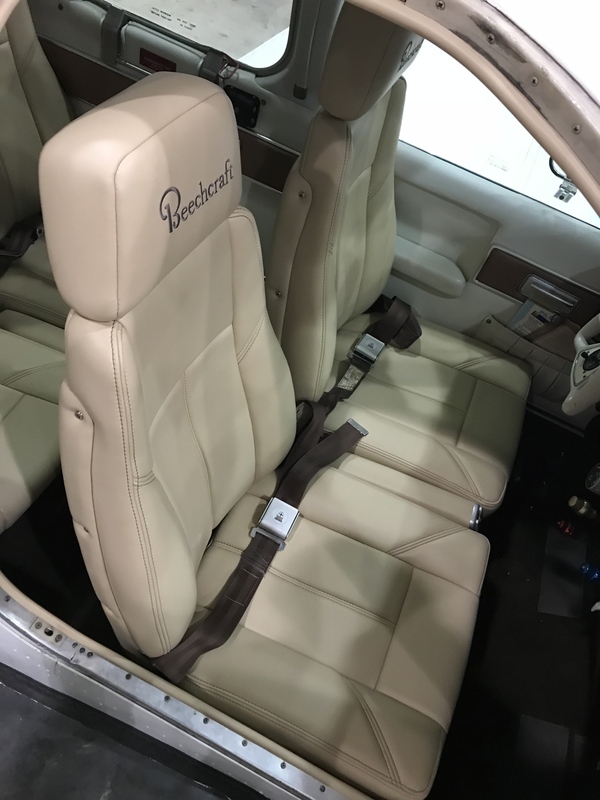 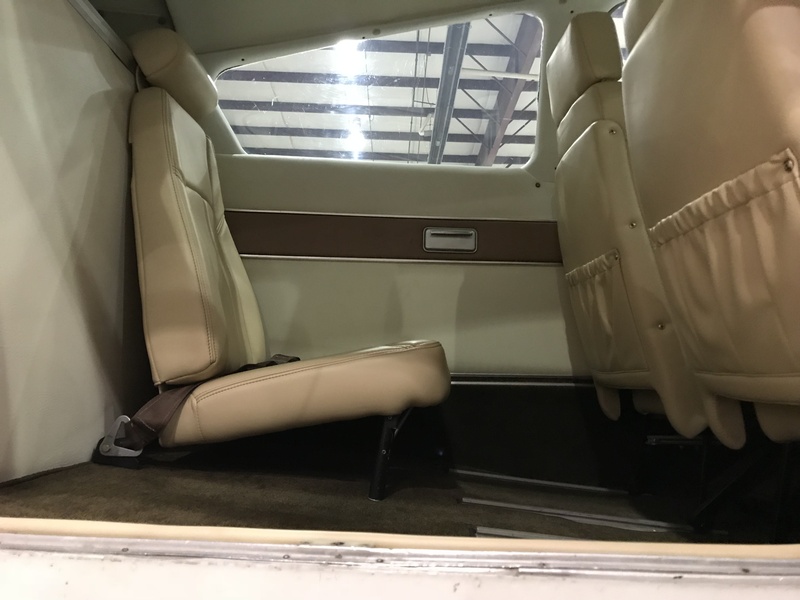 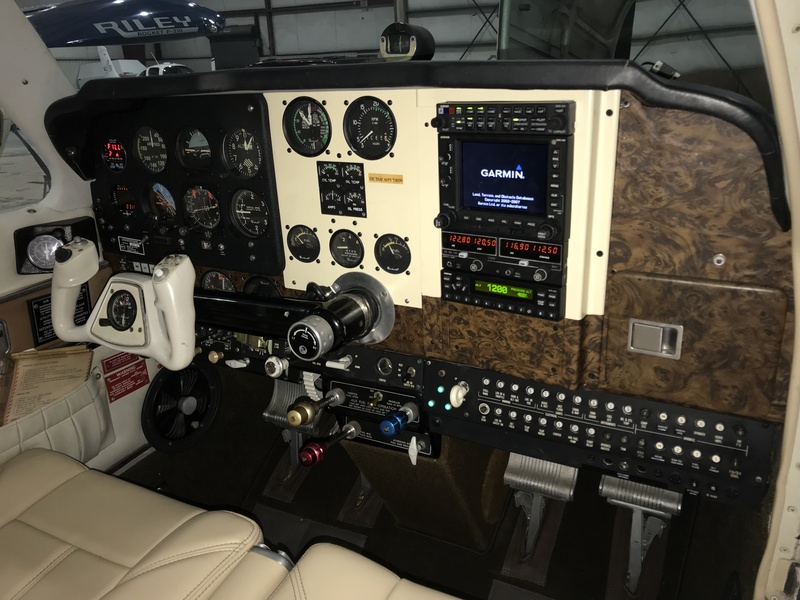 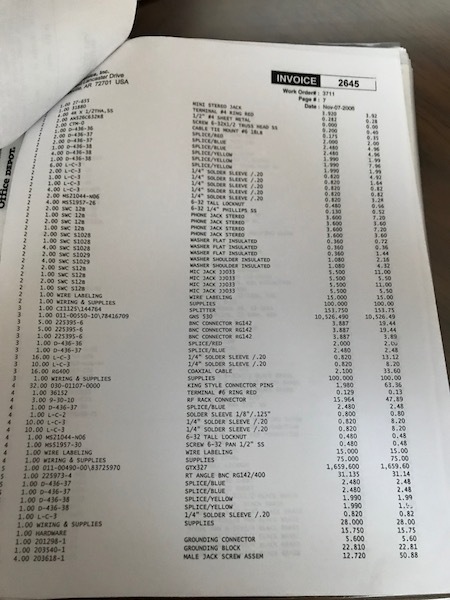 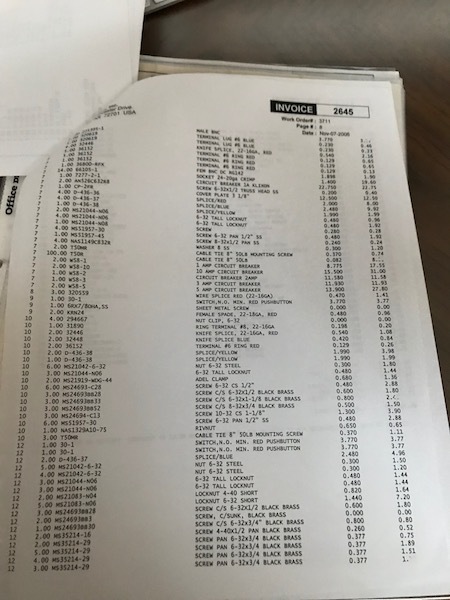 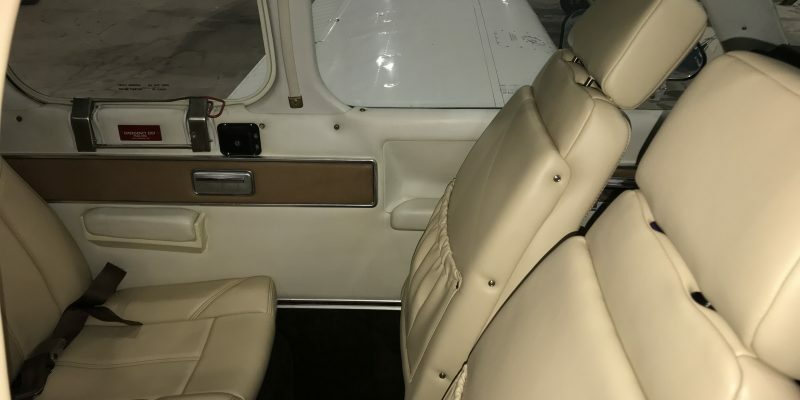 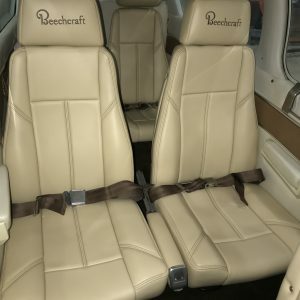 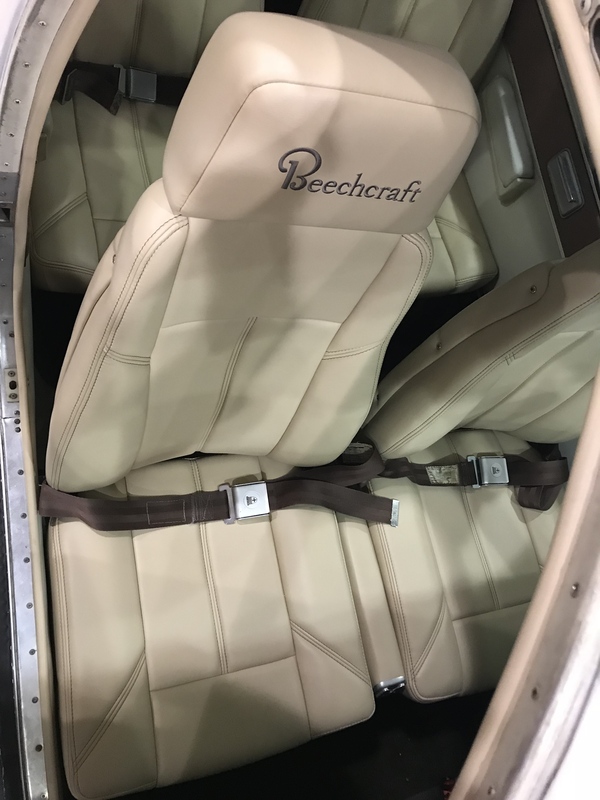 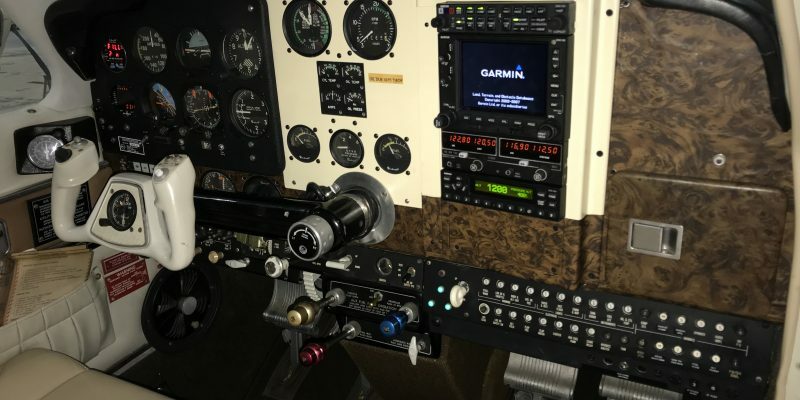 Home › 1973 V35B Beechcraft 2500TTAF, 1165 SMOH, 1102 Useful load! 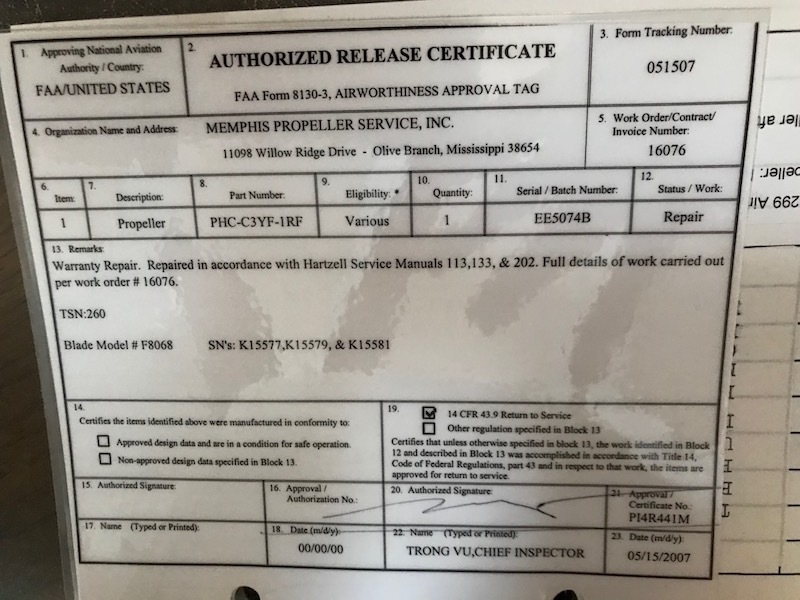 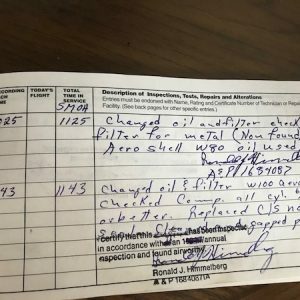 Fresh annual Nov. 2017, Very extensive, replace a lot of things, brake hoses, all new tires & tubes, induction tube, etc. 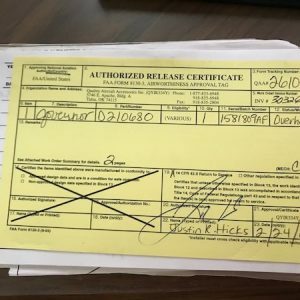 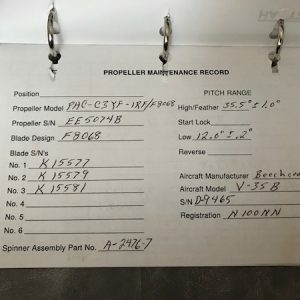 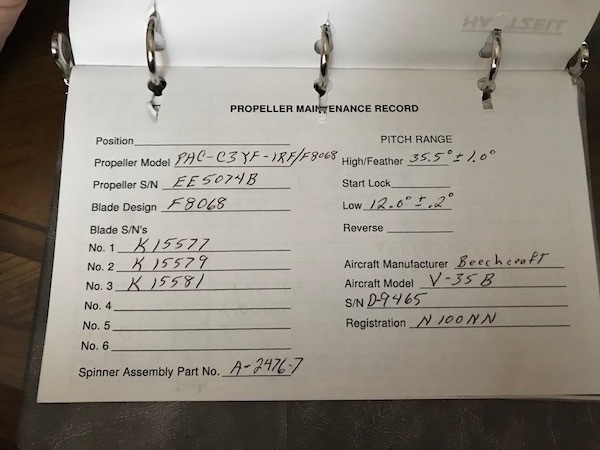 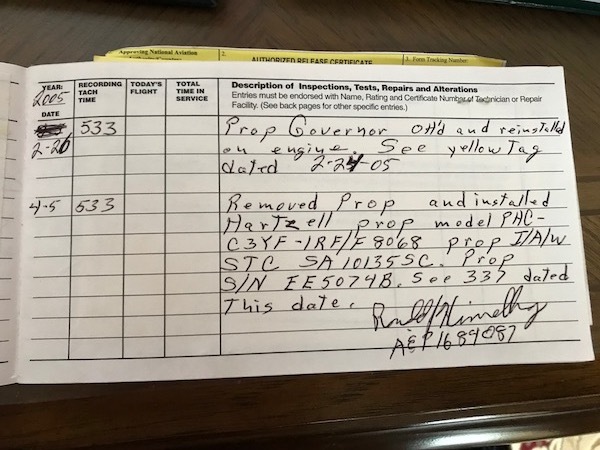 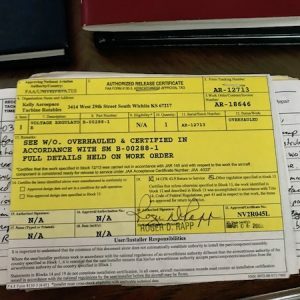 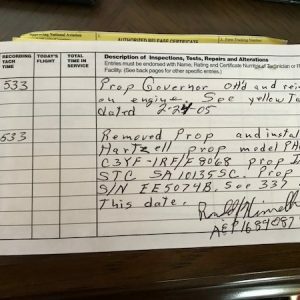 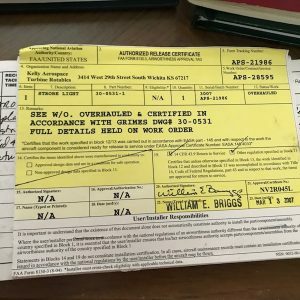 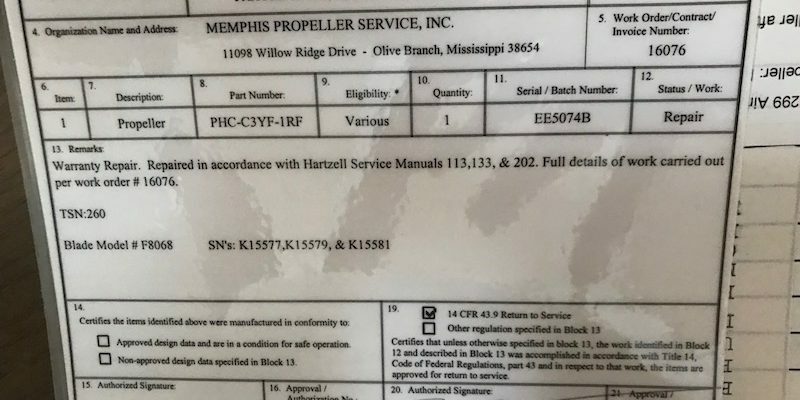 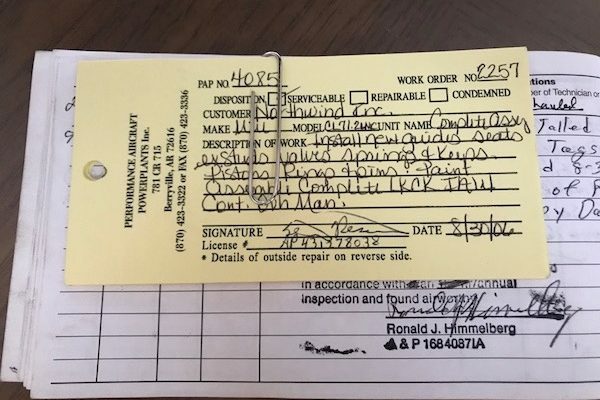 3 Blade prop 532 Since NEW! 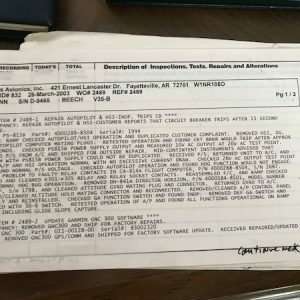 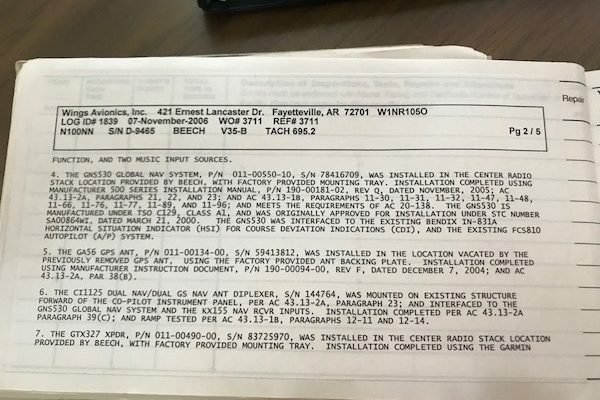 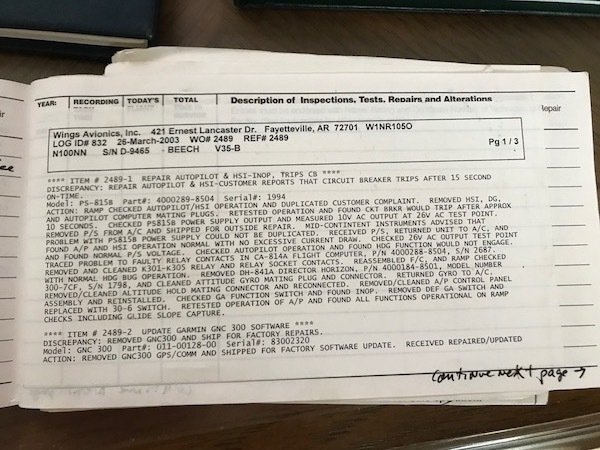 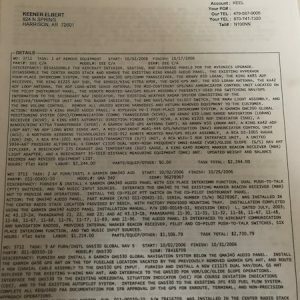 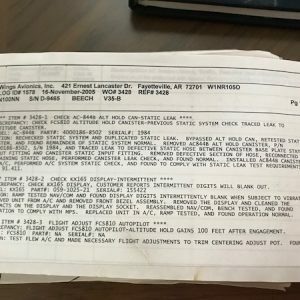 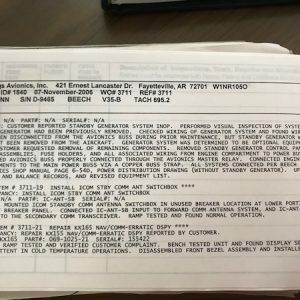 Bendix 810 auto pilot with Alt. 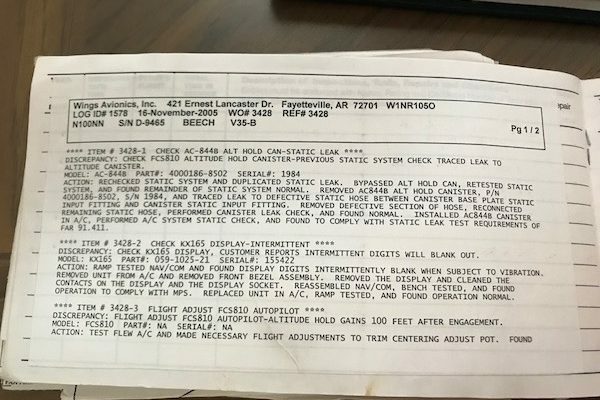 hold and approach capability! 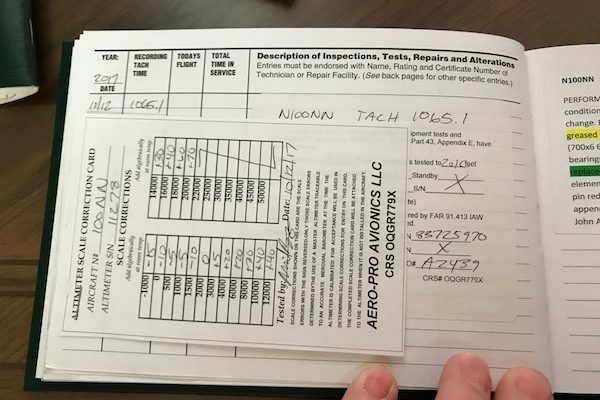 Exterior nice rates a 8 has a few leading edge chips but otherwise very nice! 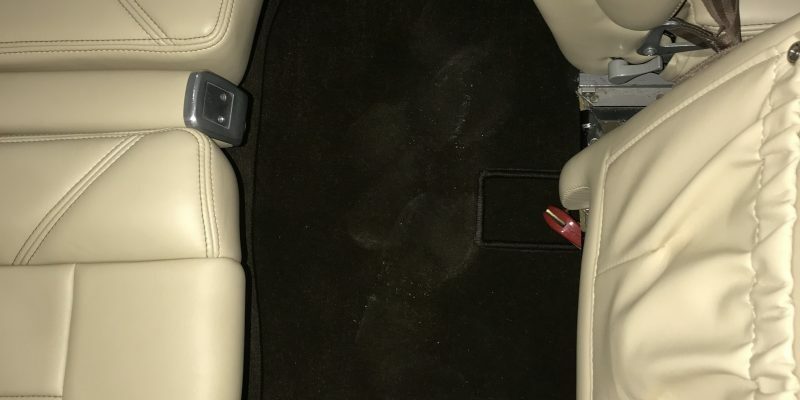 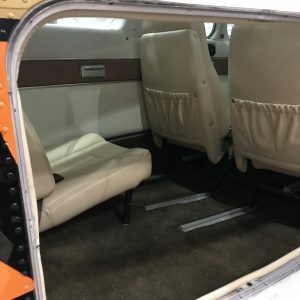 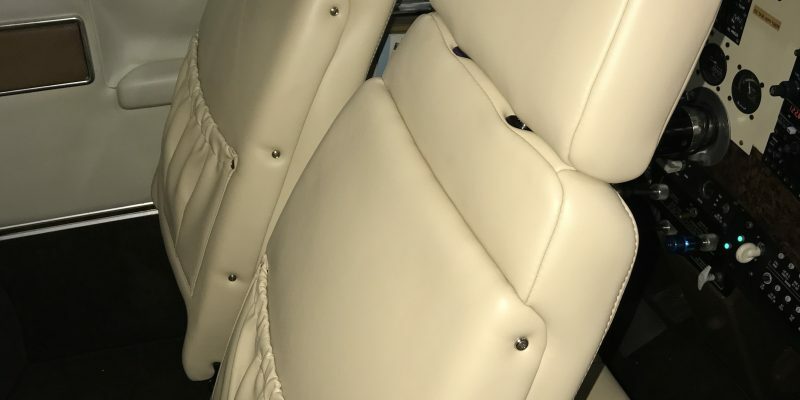 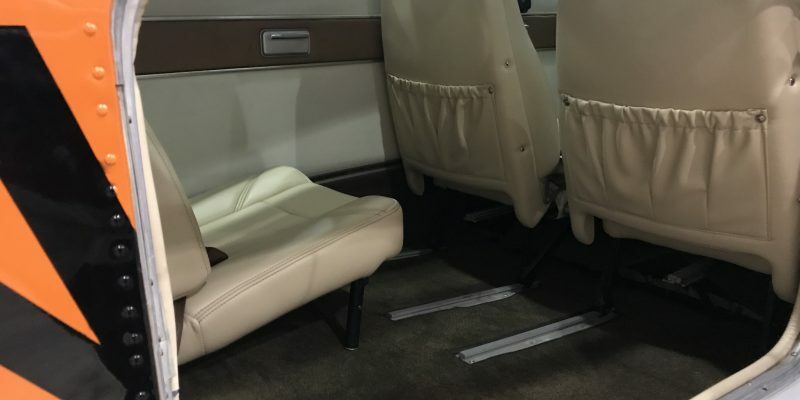 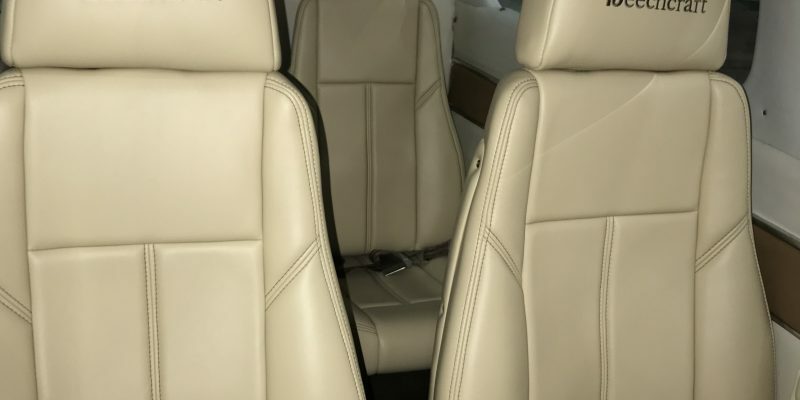 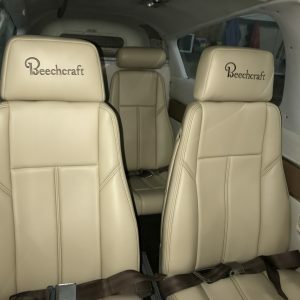 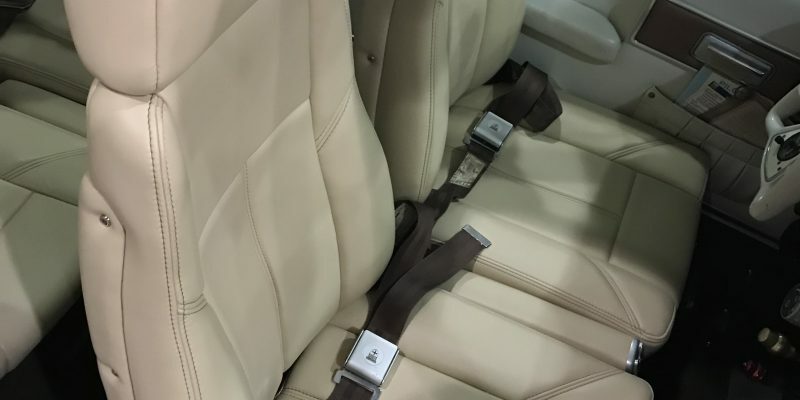 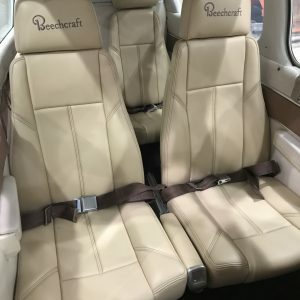 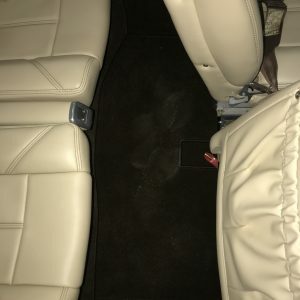 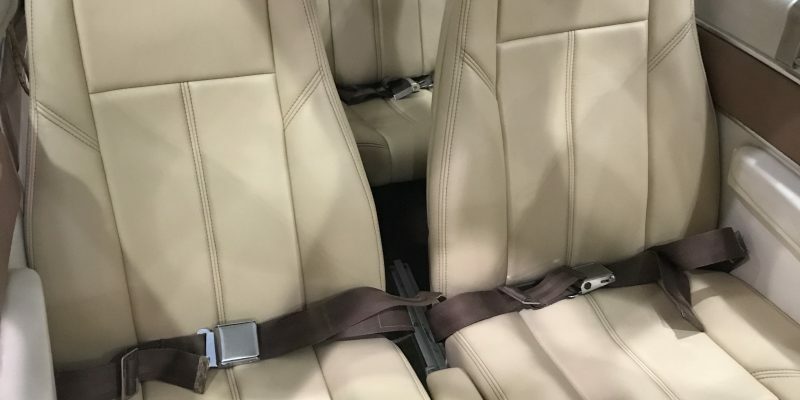 Interior: Beautiful all new ultra-leather & foam custom seats, all new carpet & lower side panels rates a 9. 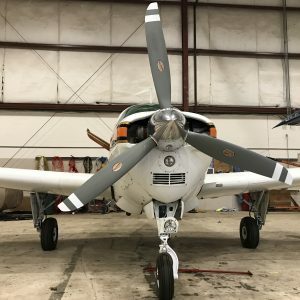 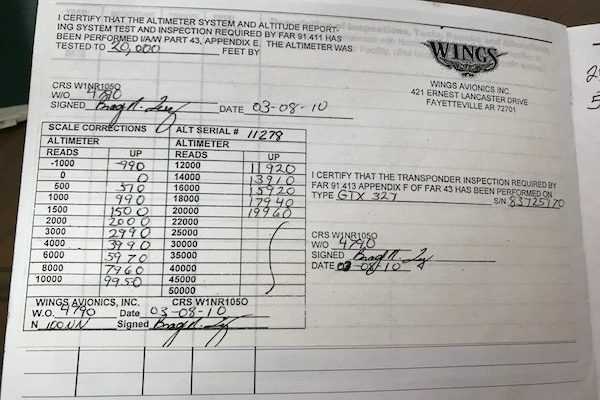 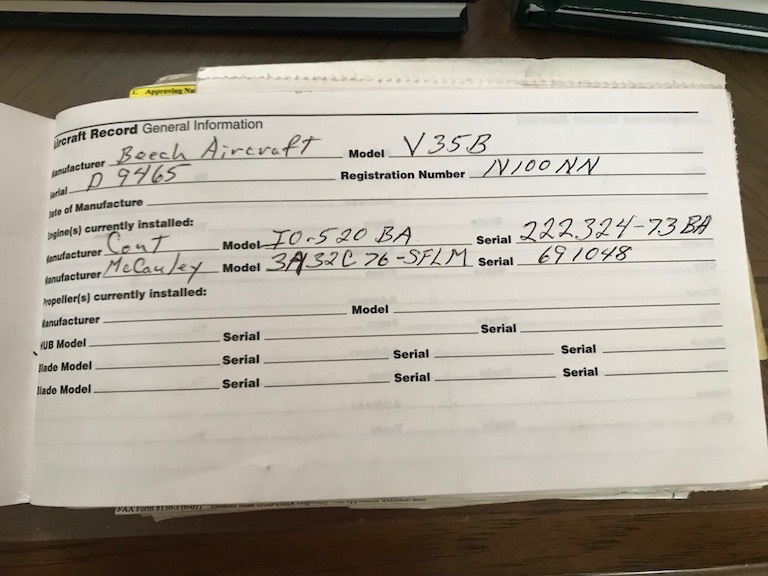 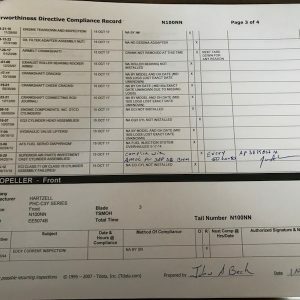 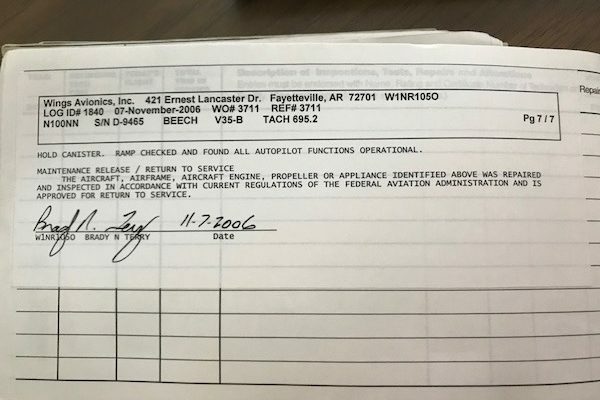 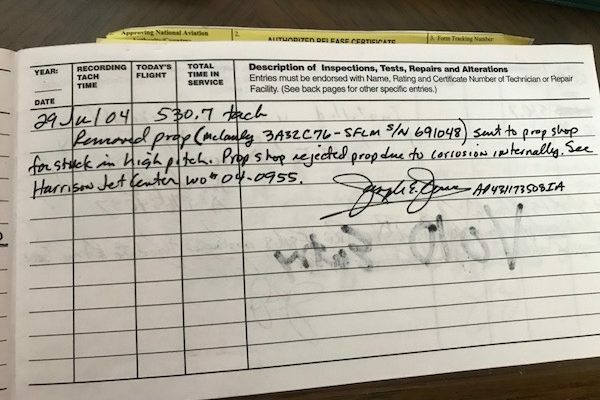 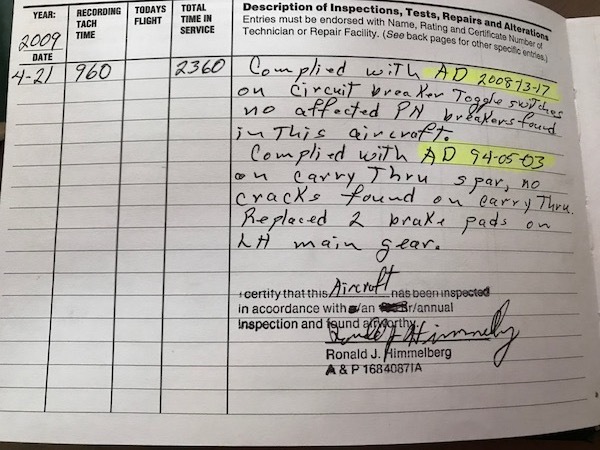 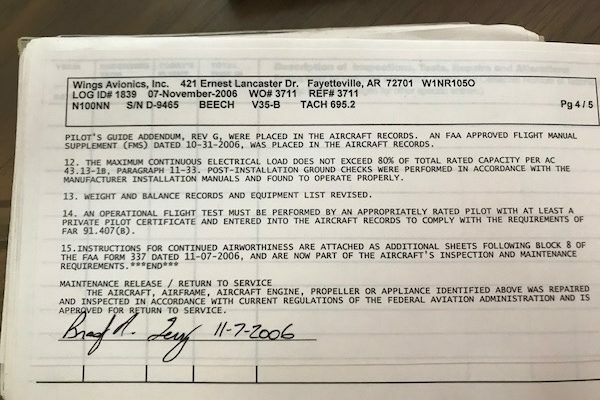 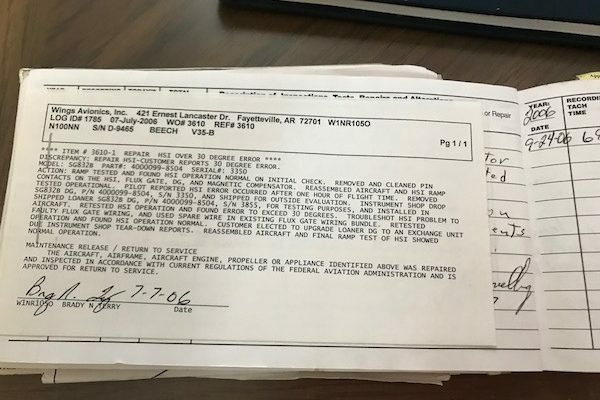 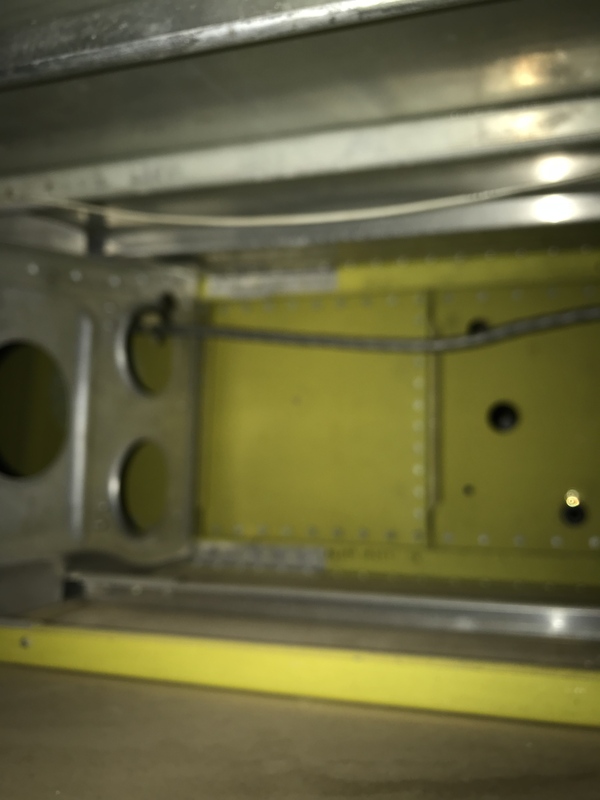 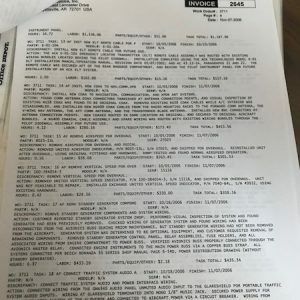 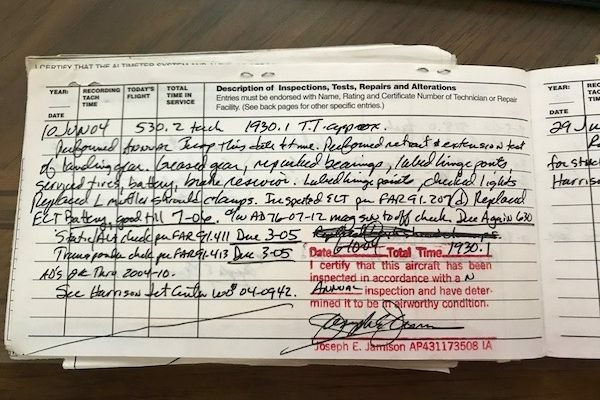 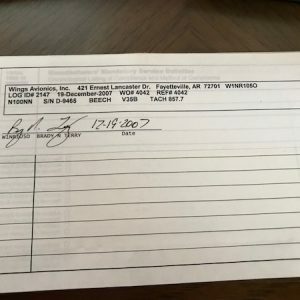 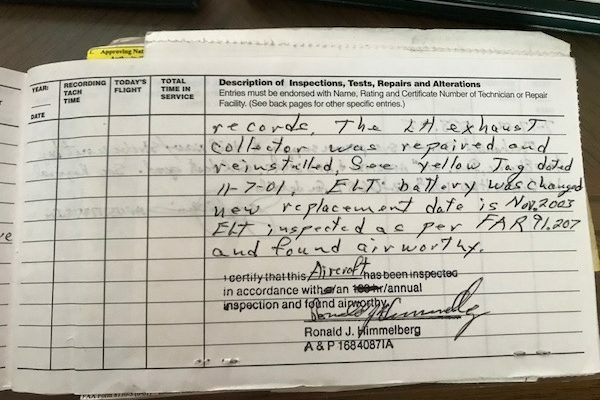 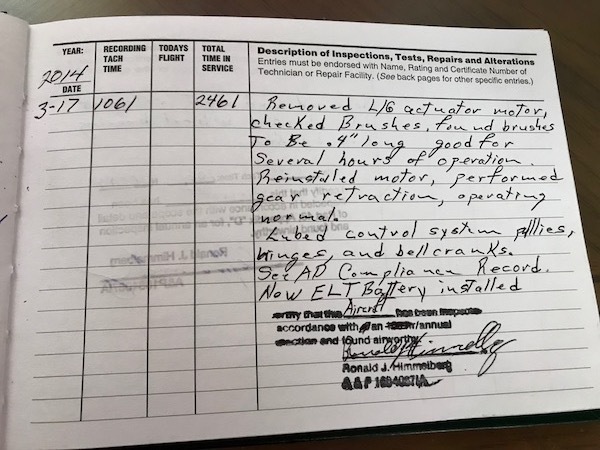 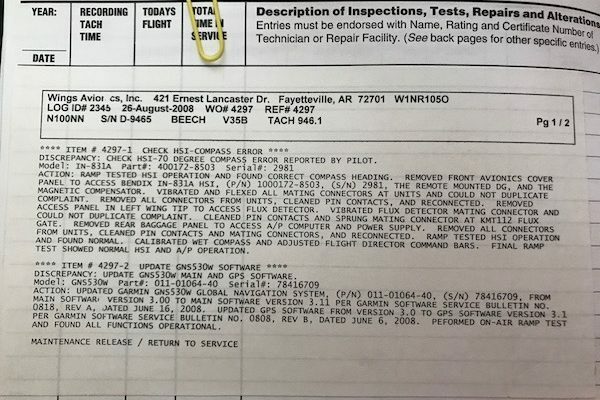 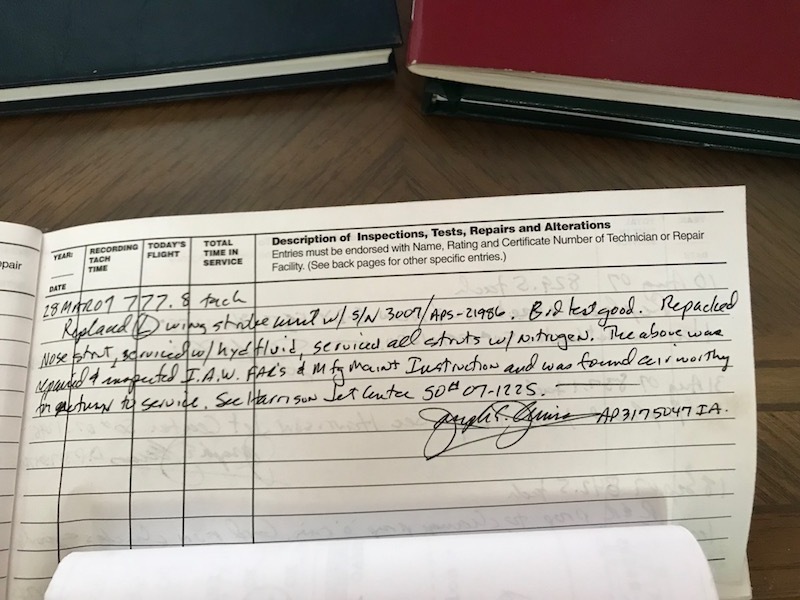 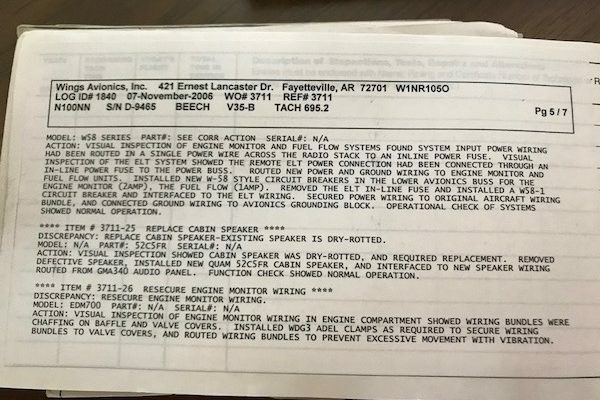 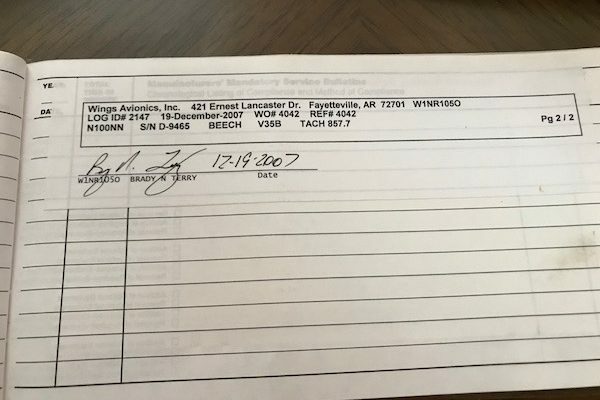 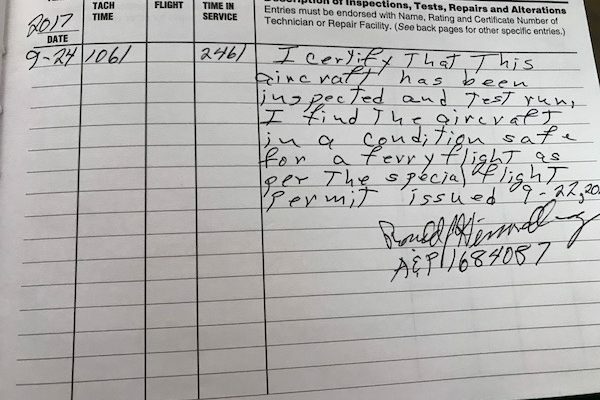 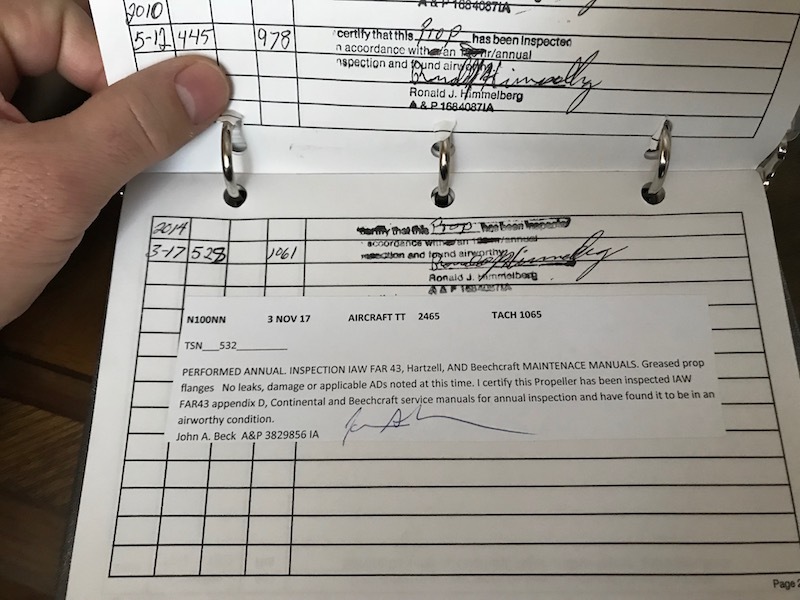 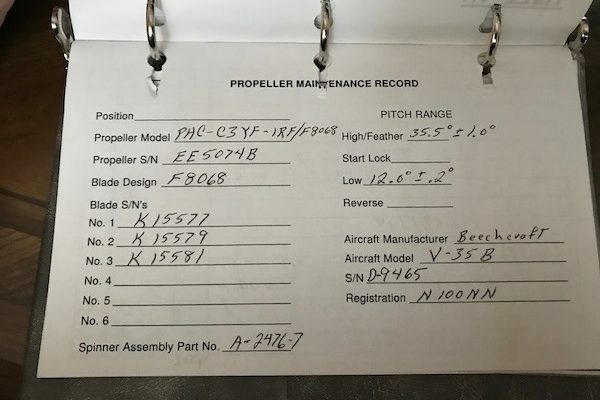 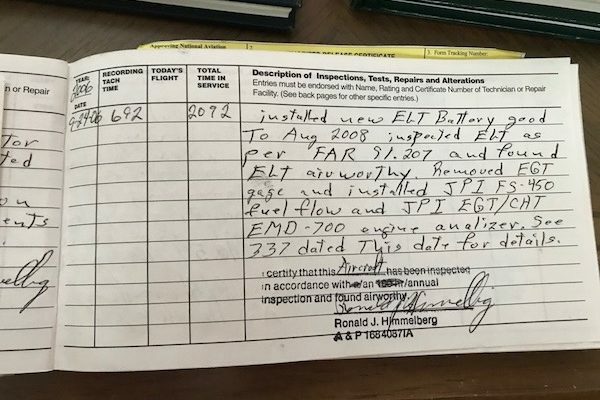 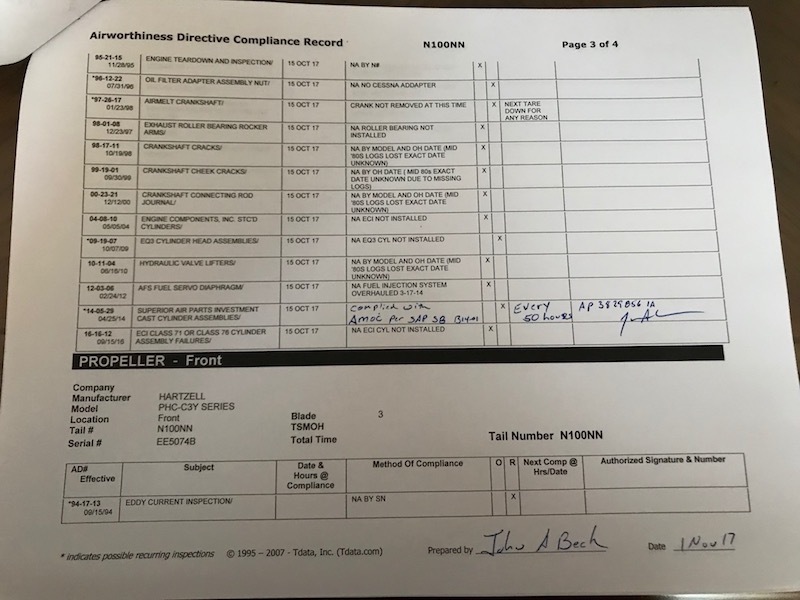 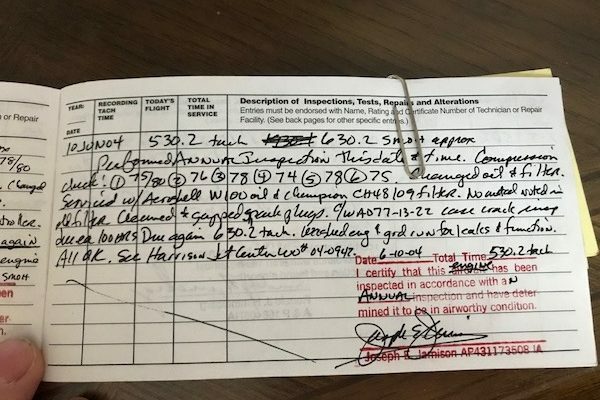 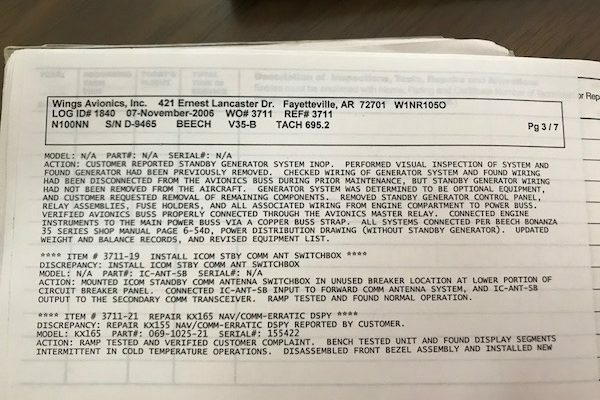 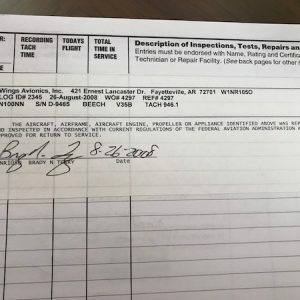 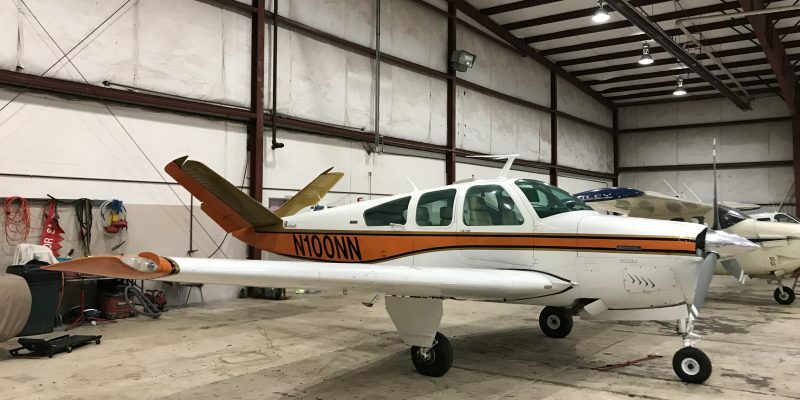 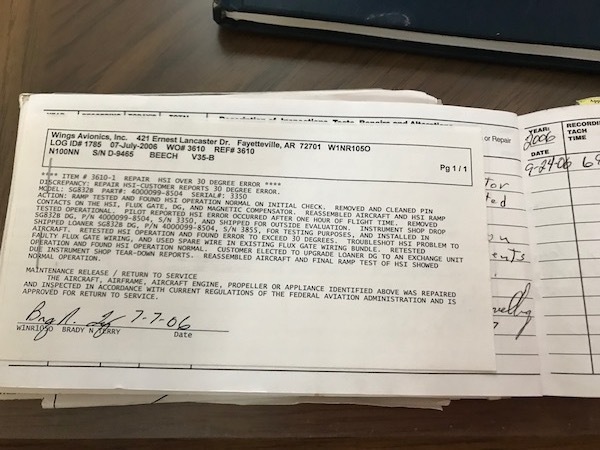 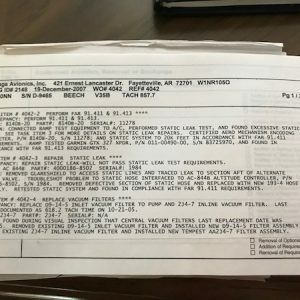 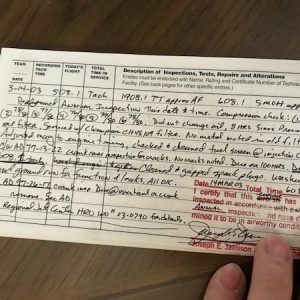 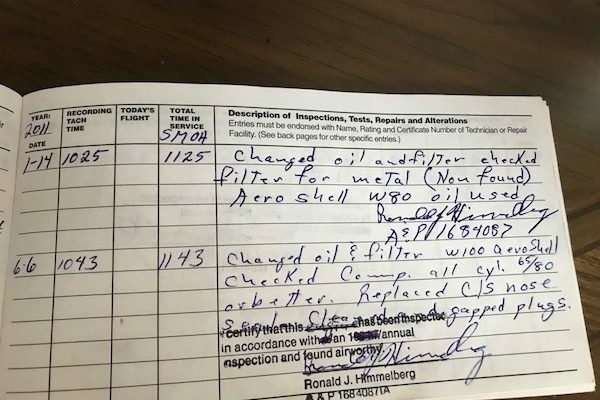 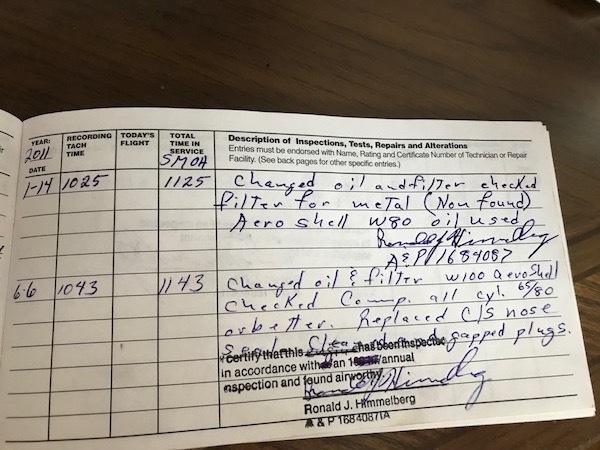 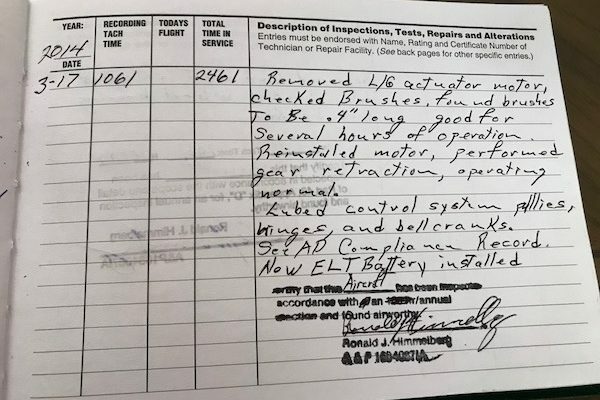 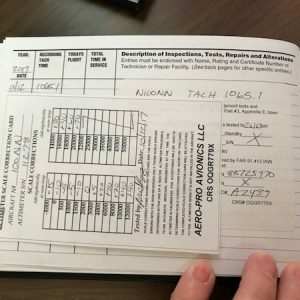 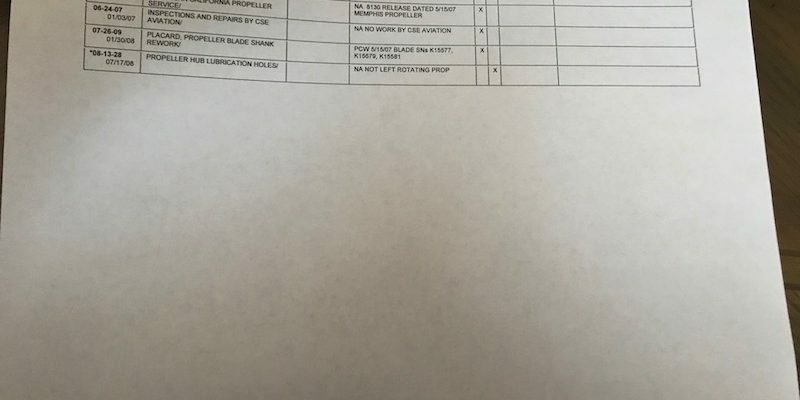 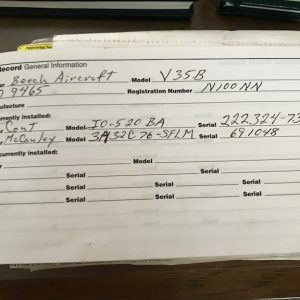 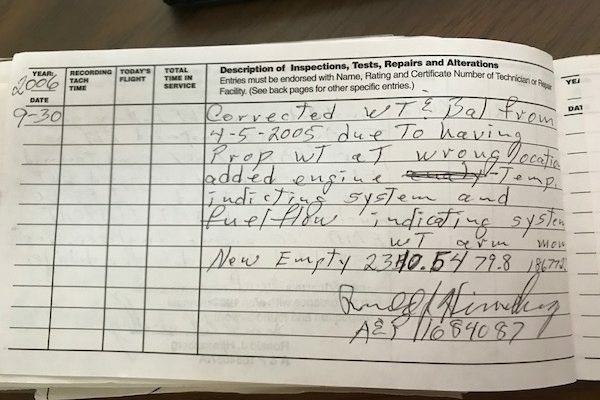 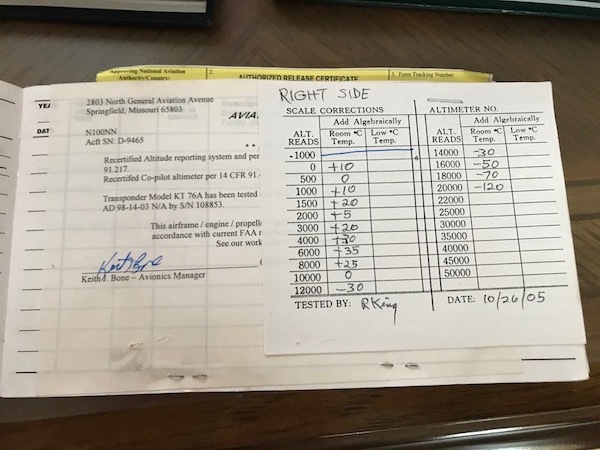 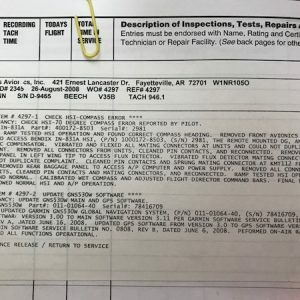 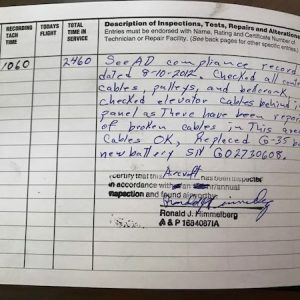 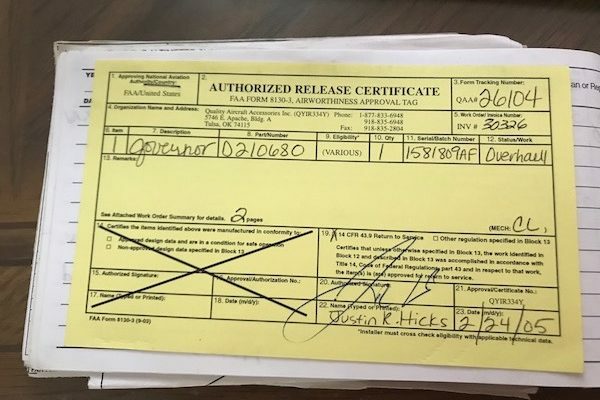 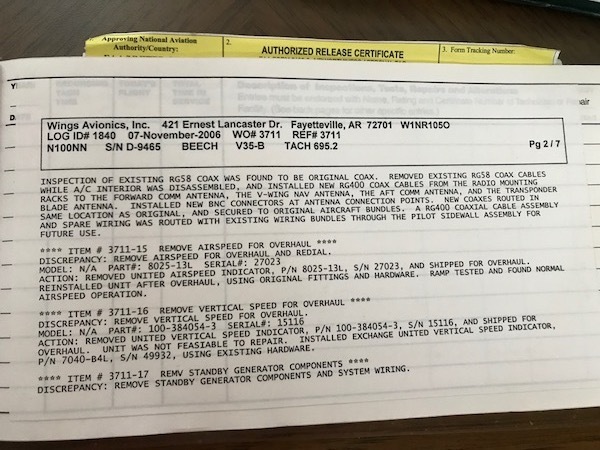 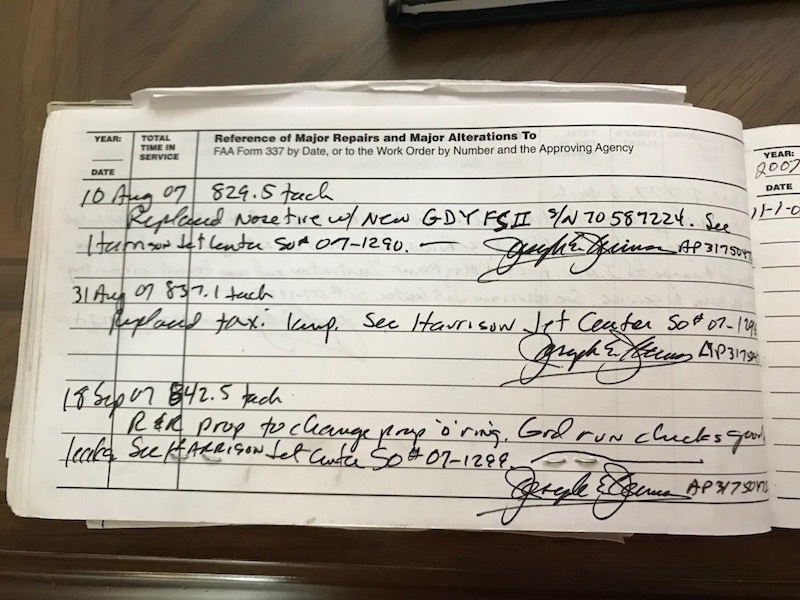 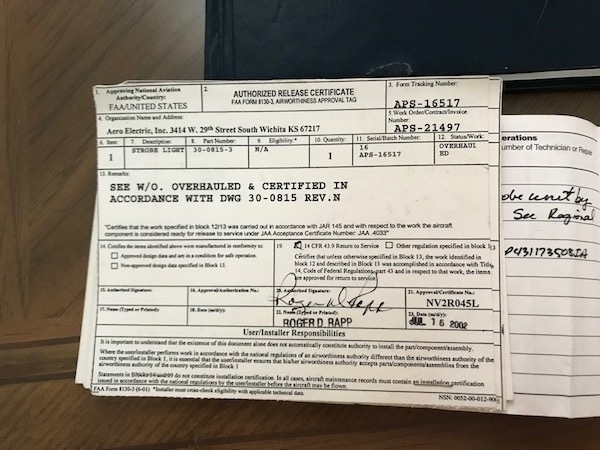 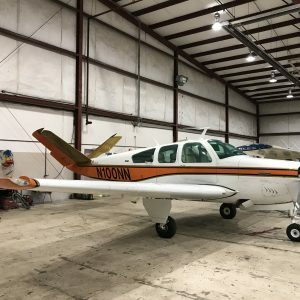 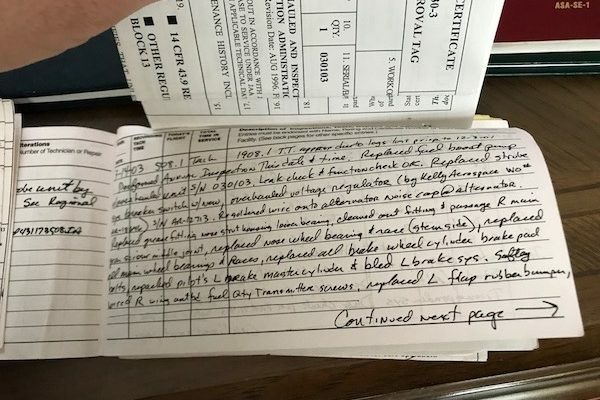 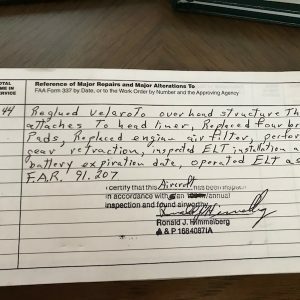 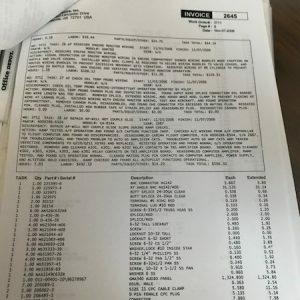 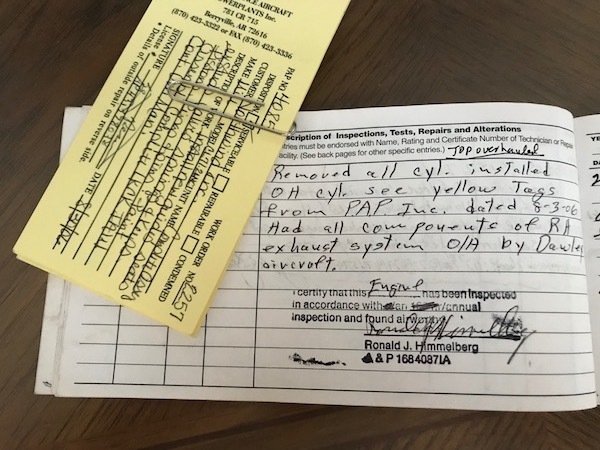 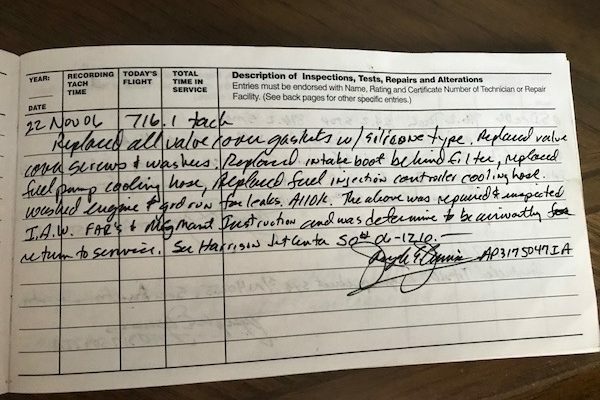 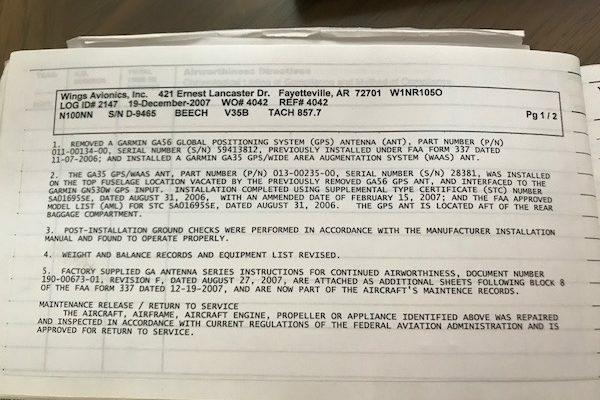 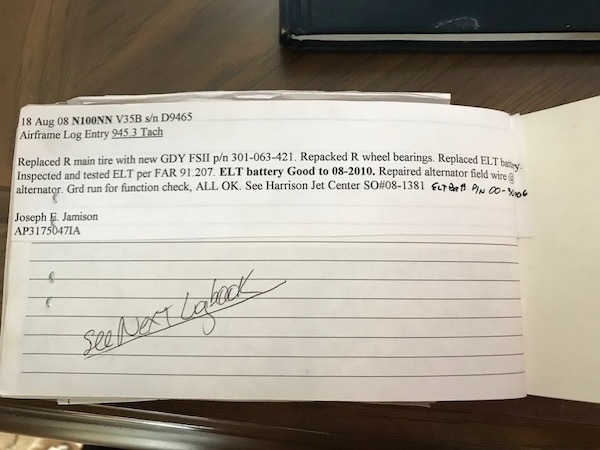 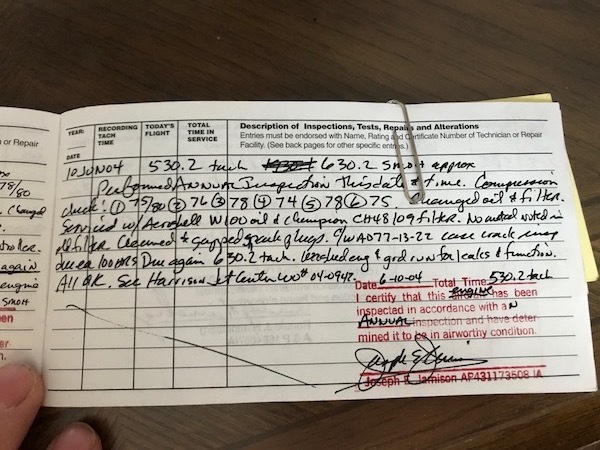 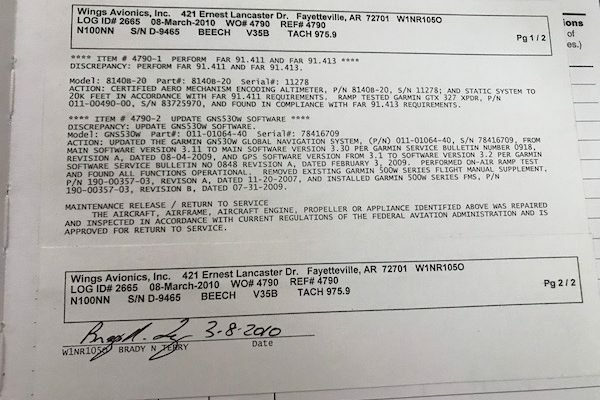 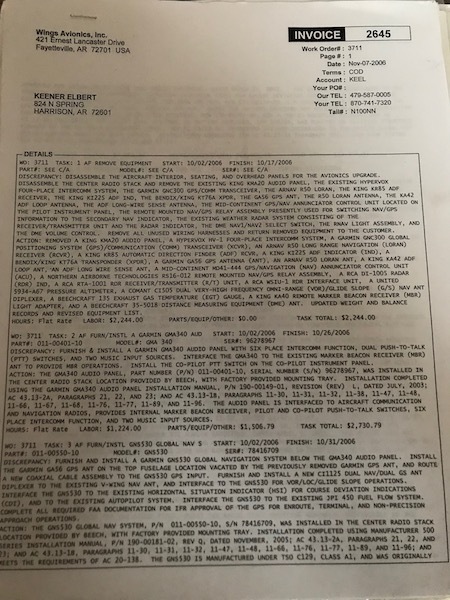 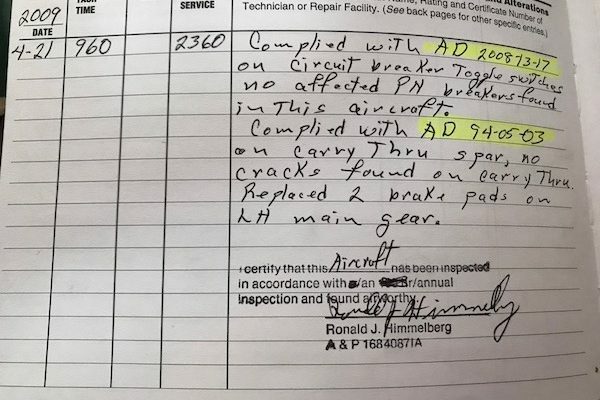 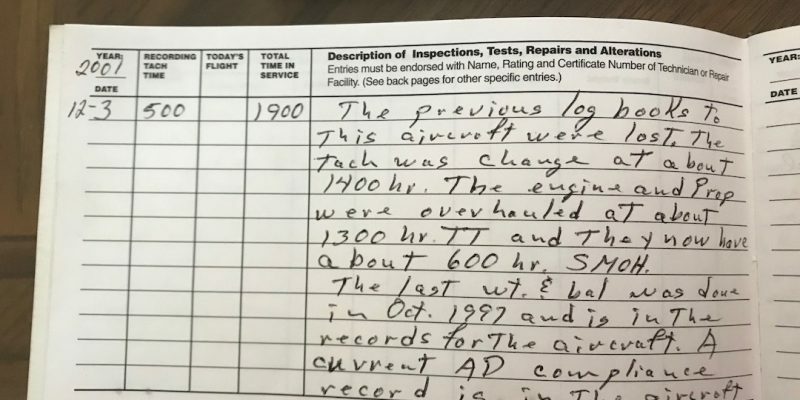 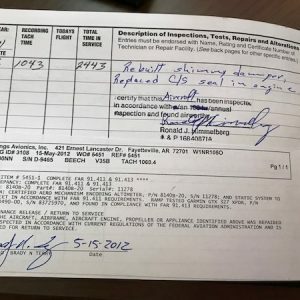 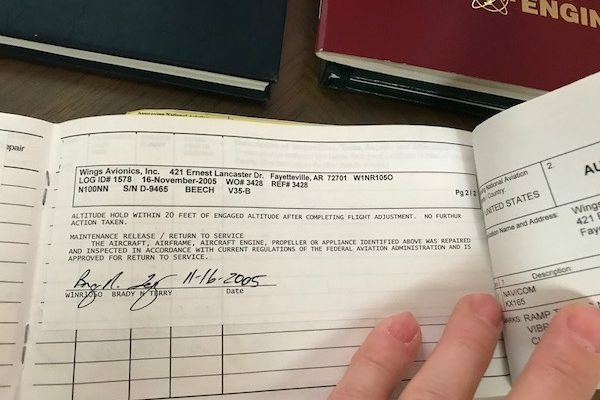 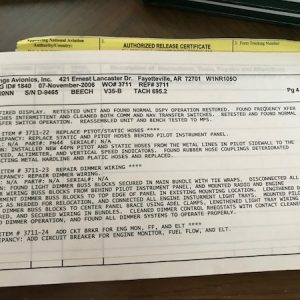 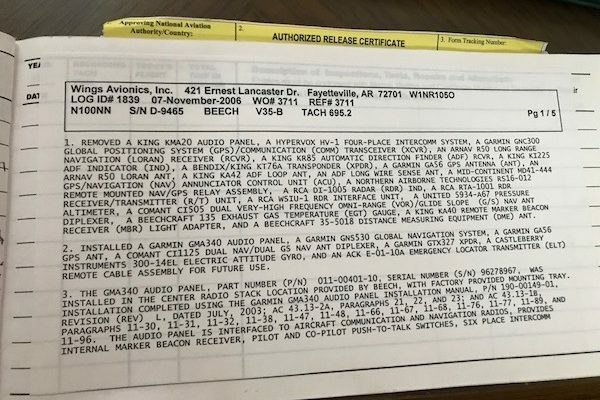 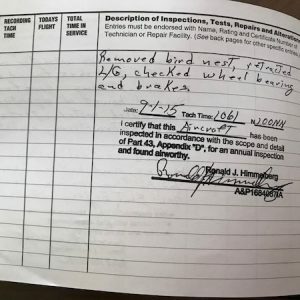 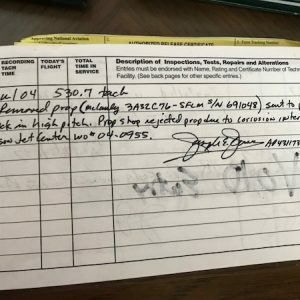 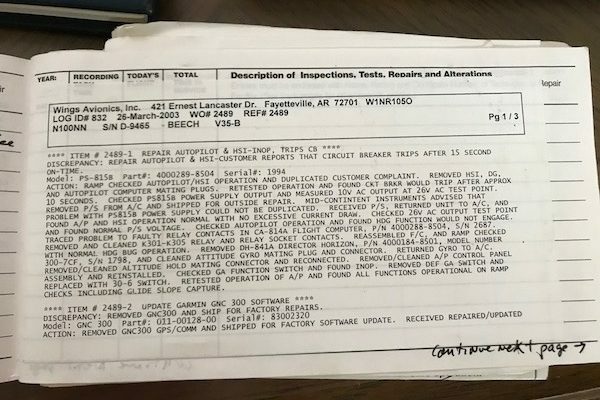 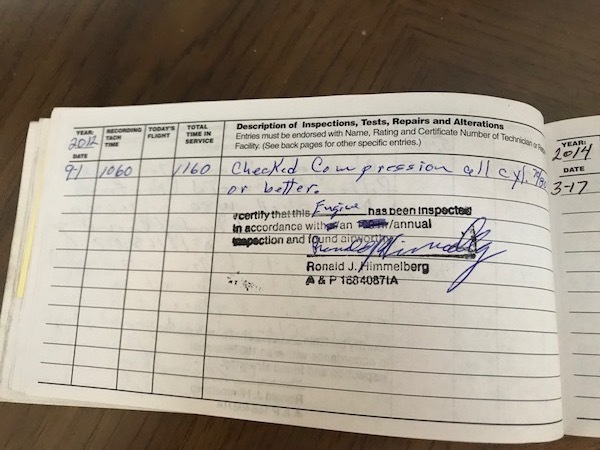 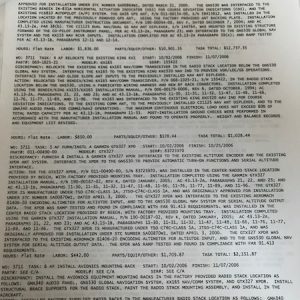 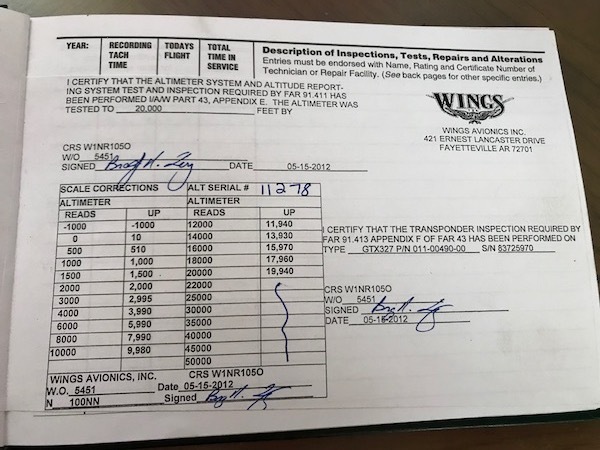 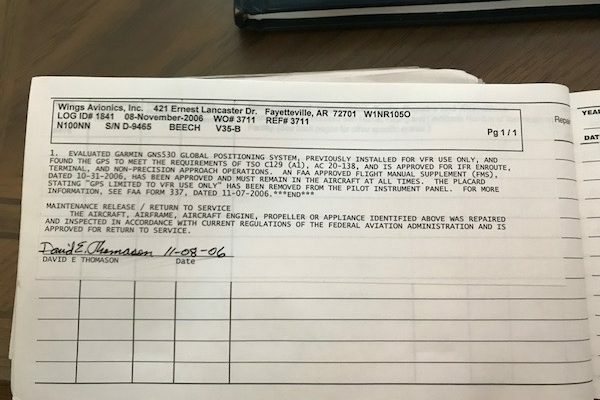 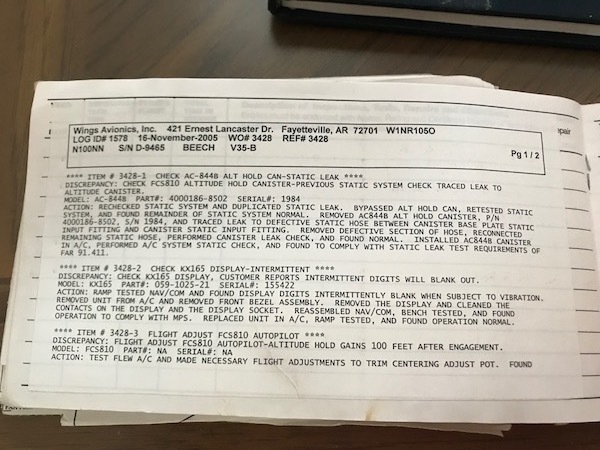 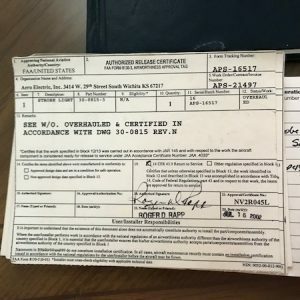 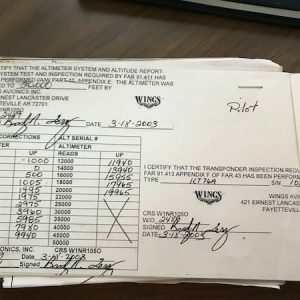 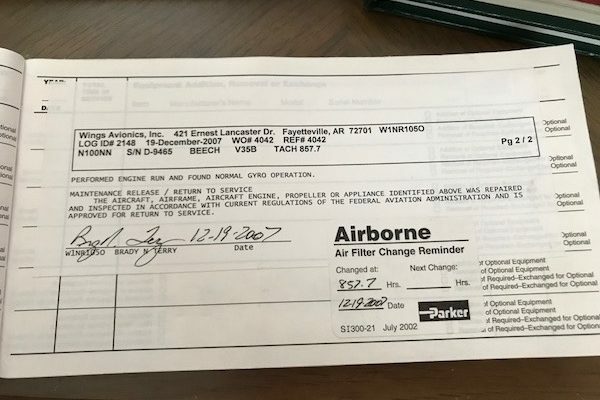 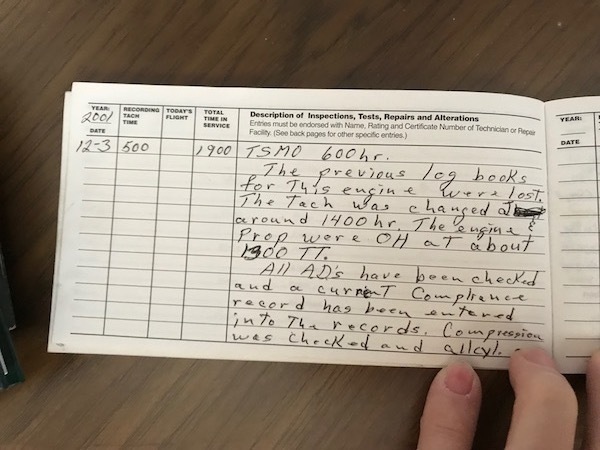 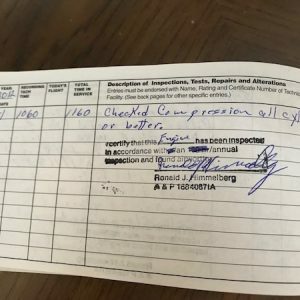 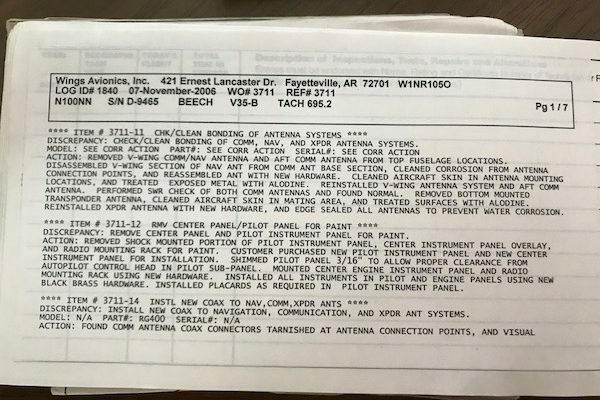 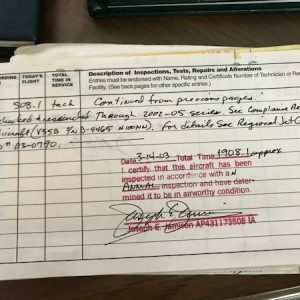 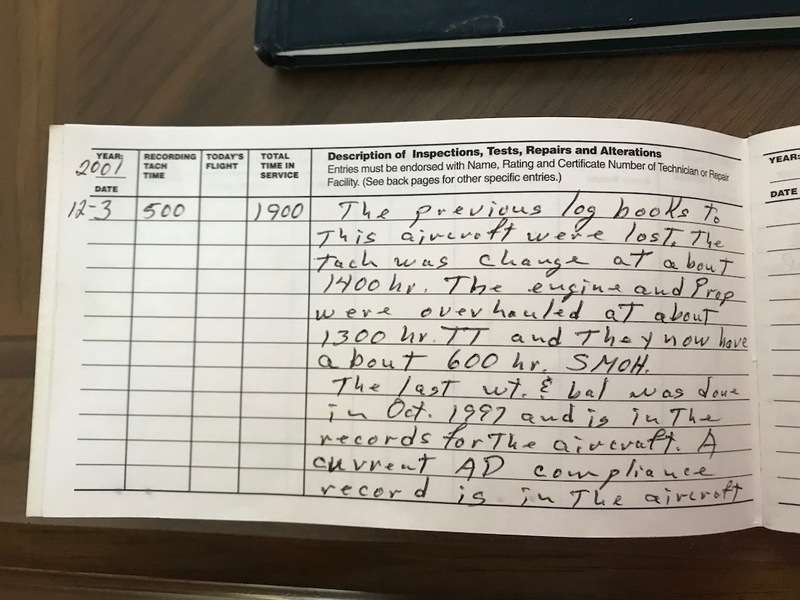 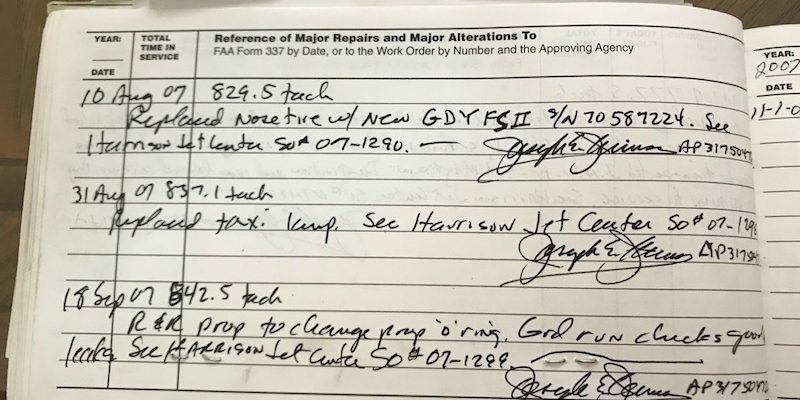 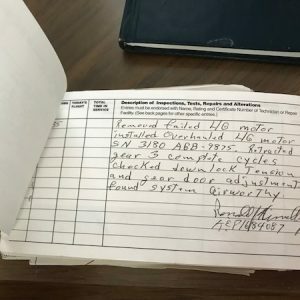 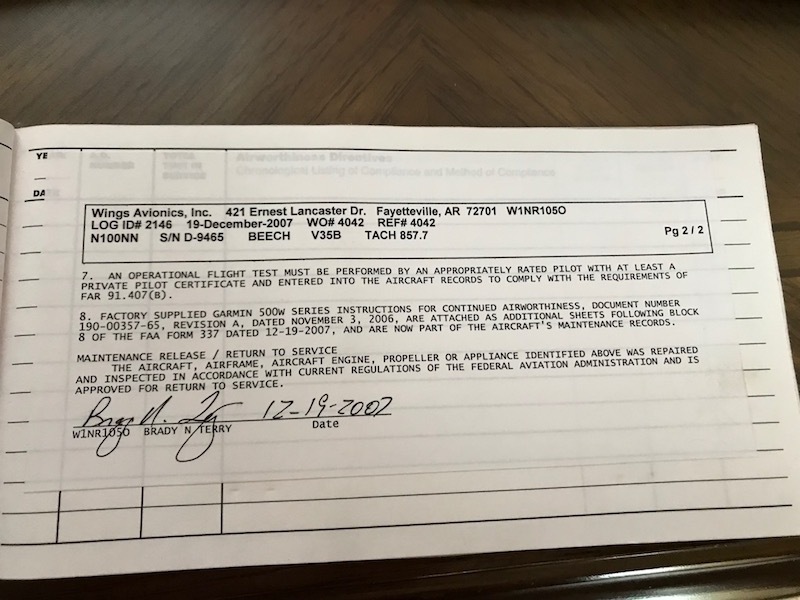 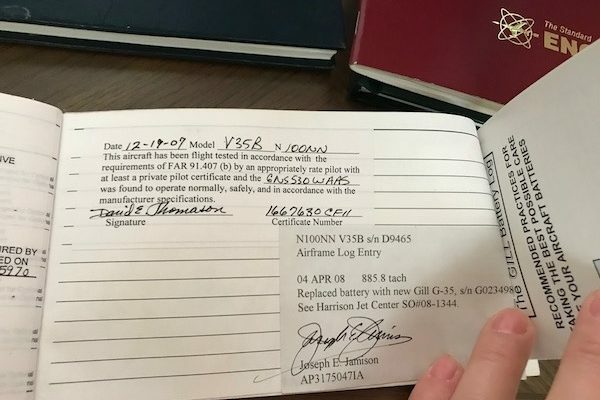 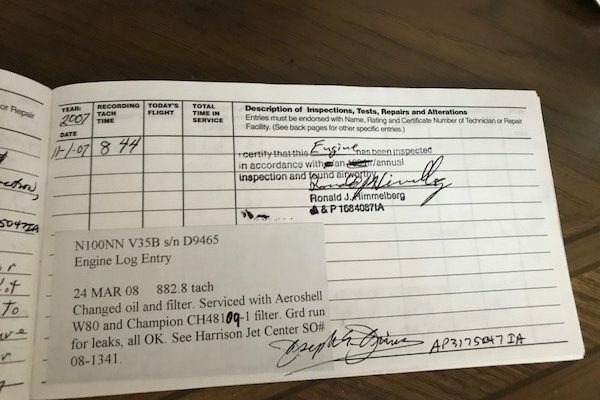 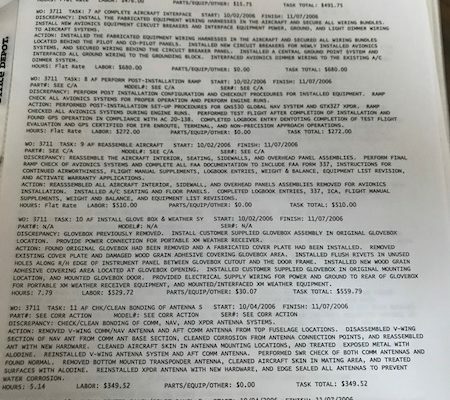 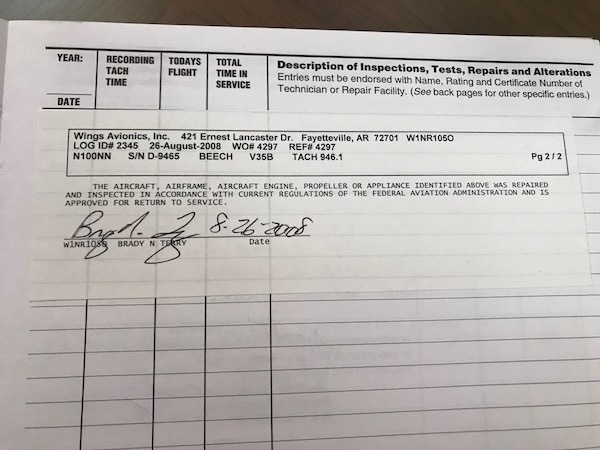 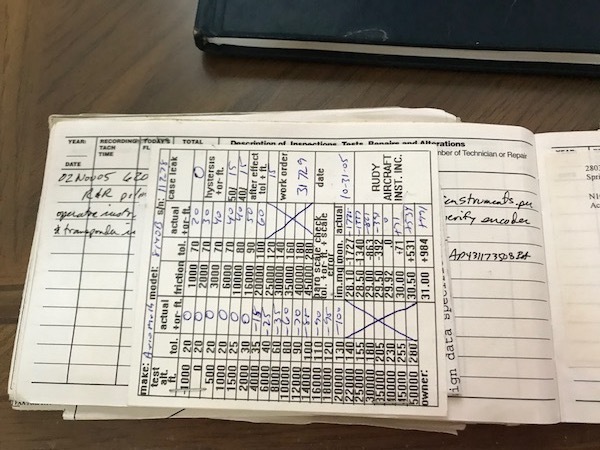 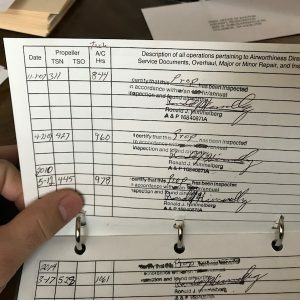 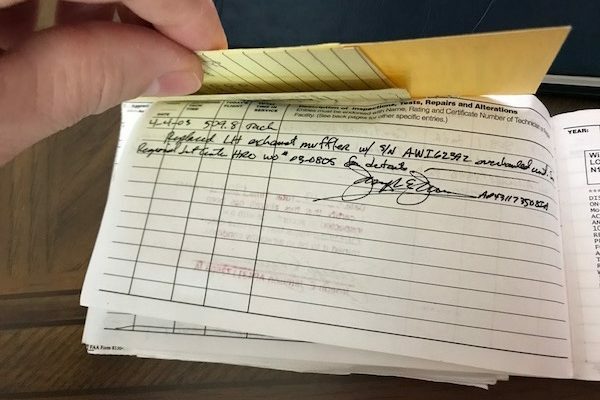 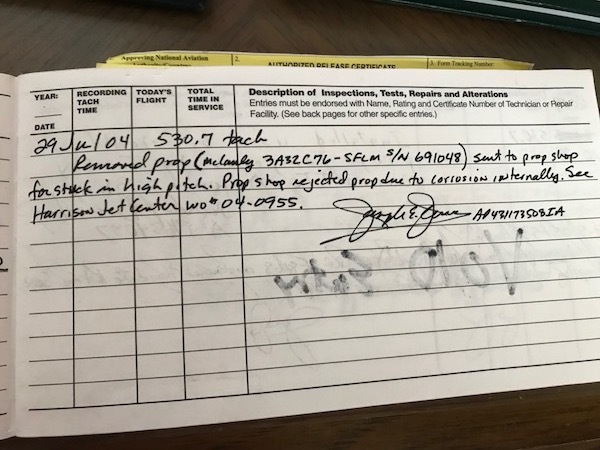 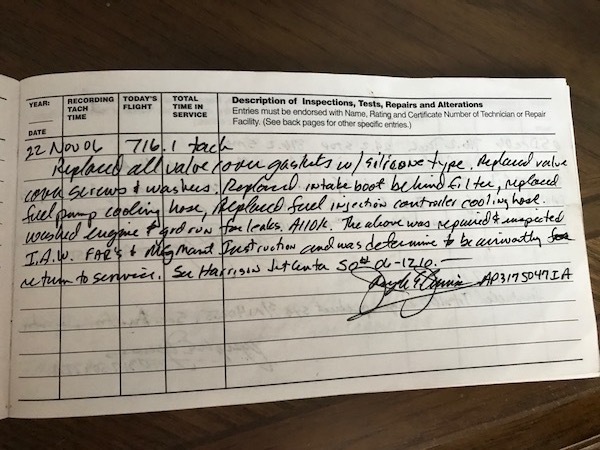 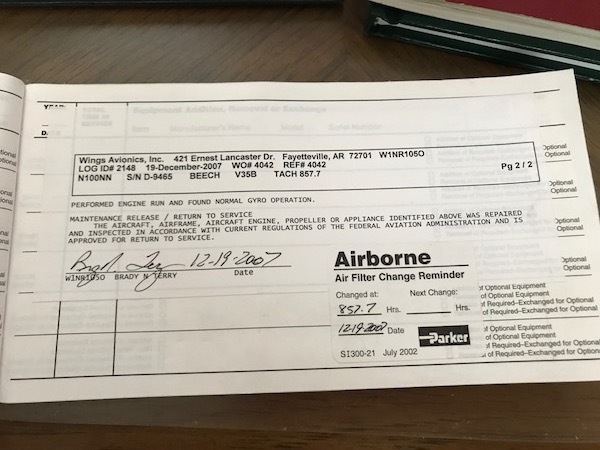 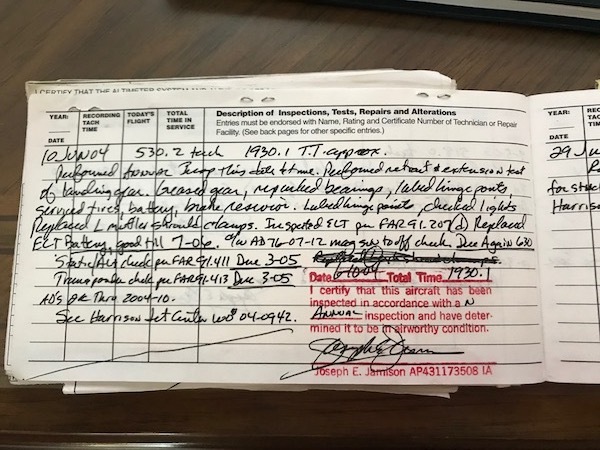 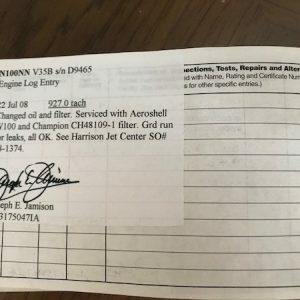 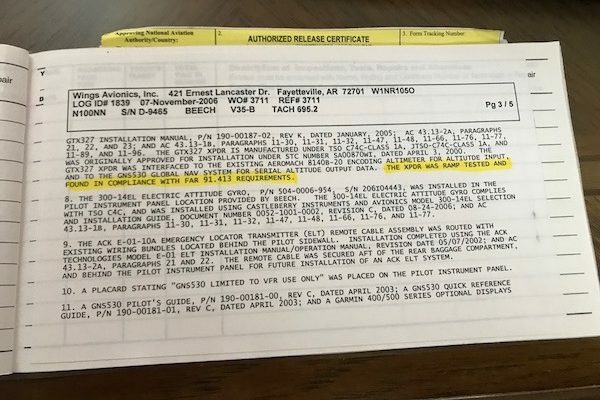 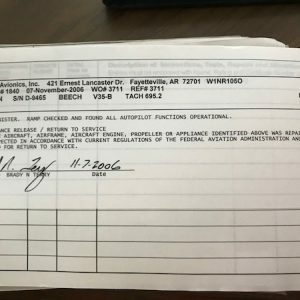 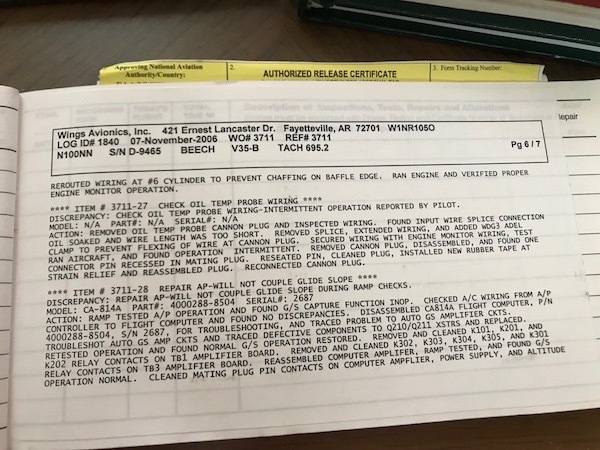 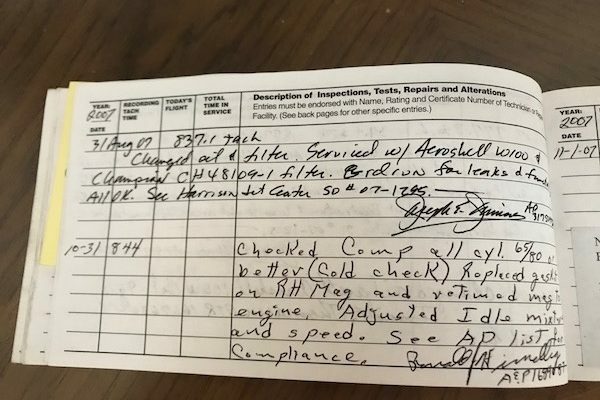 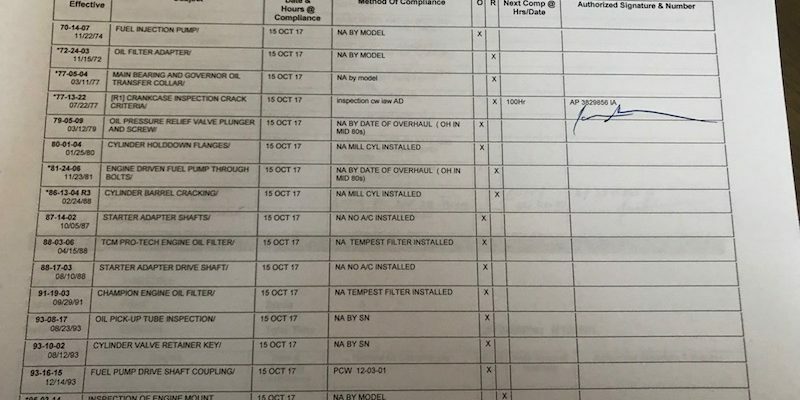 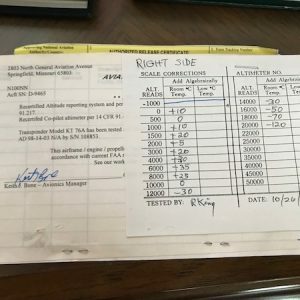 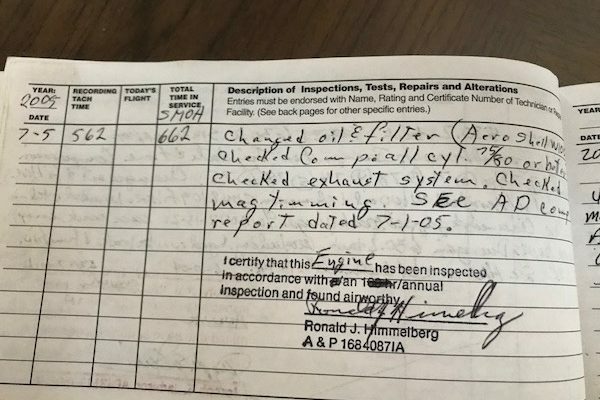 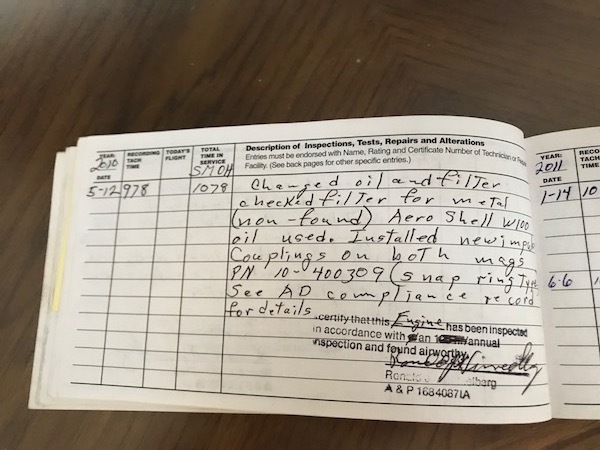 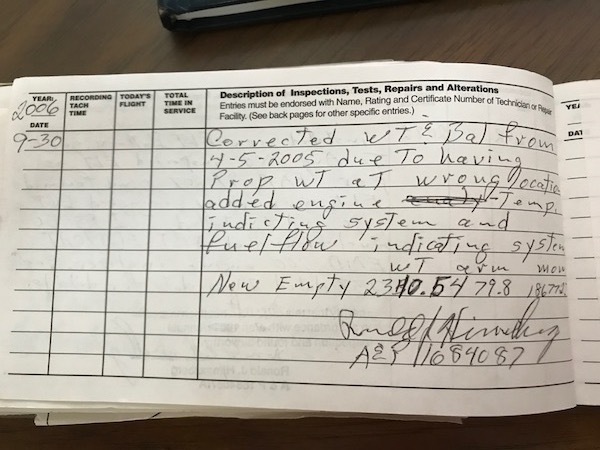 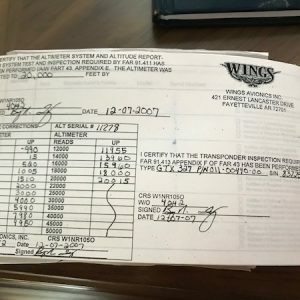 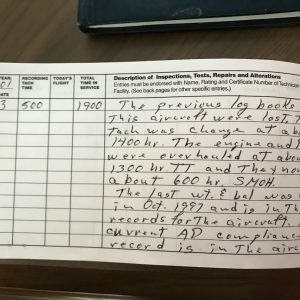 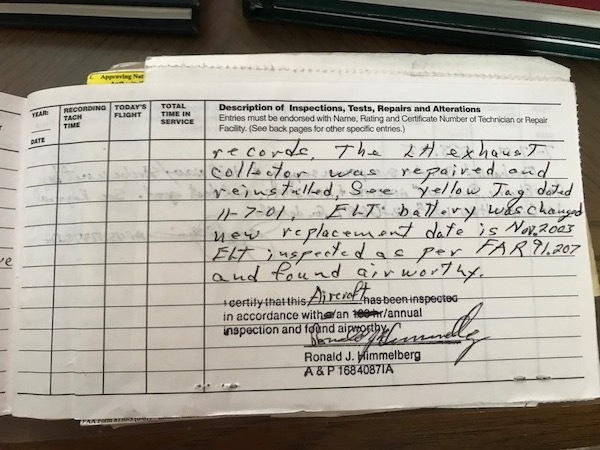 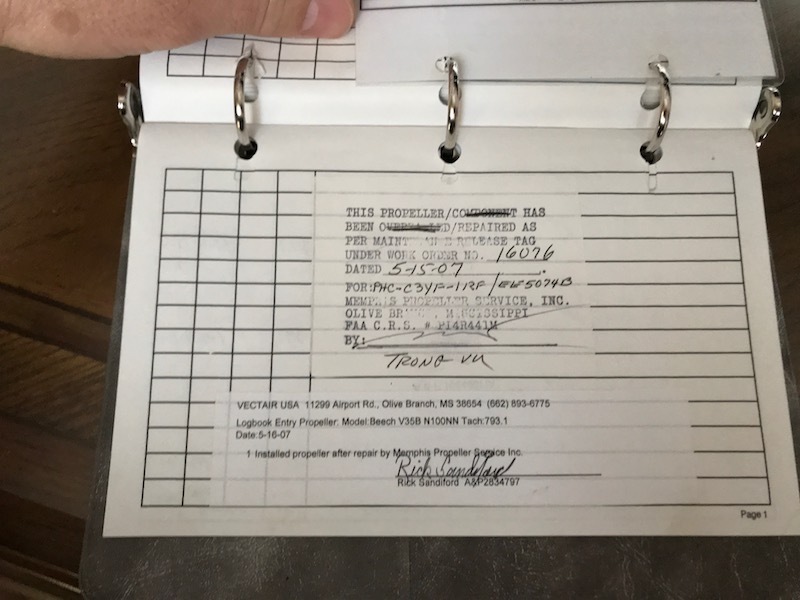 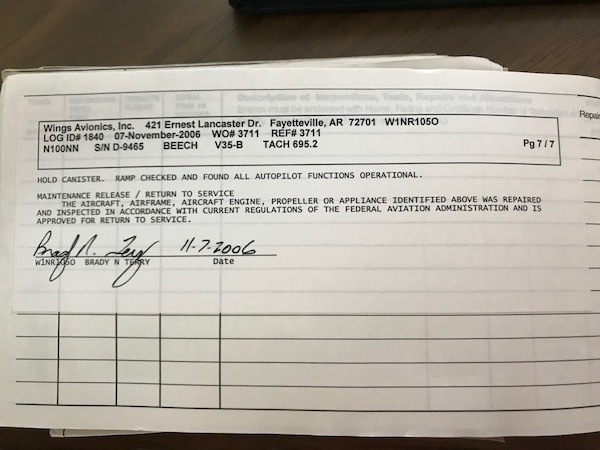 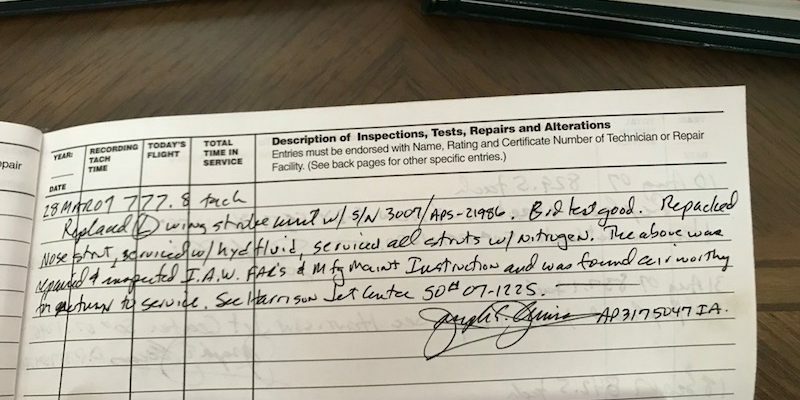 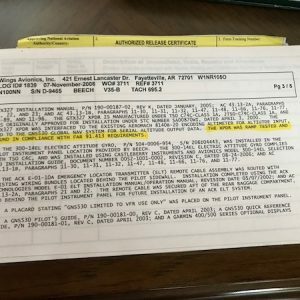 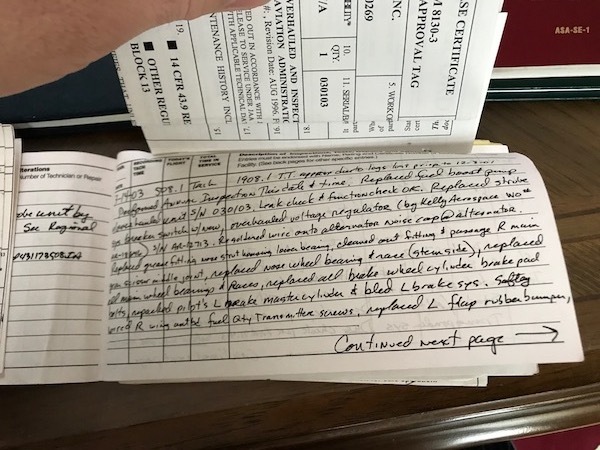 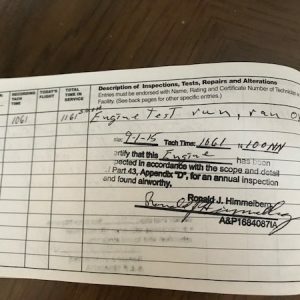 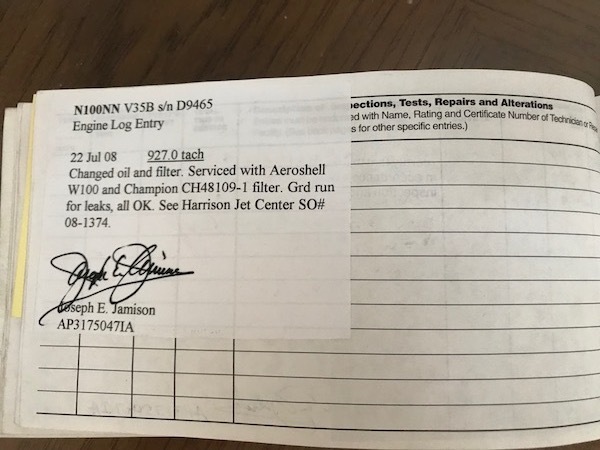 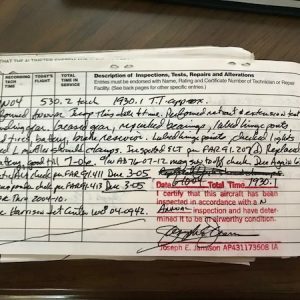 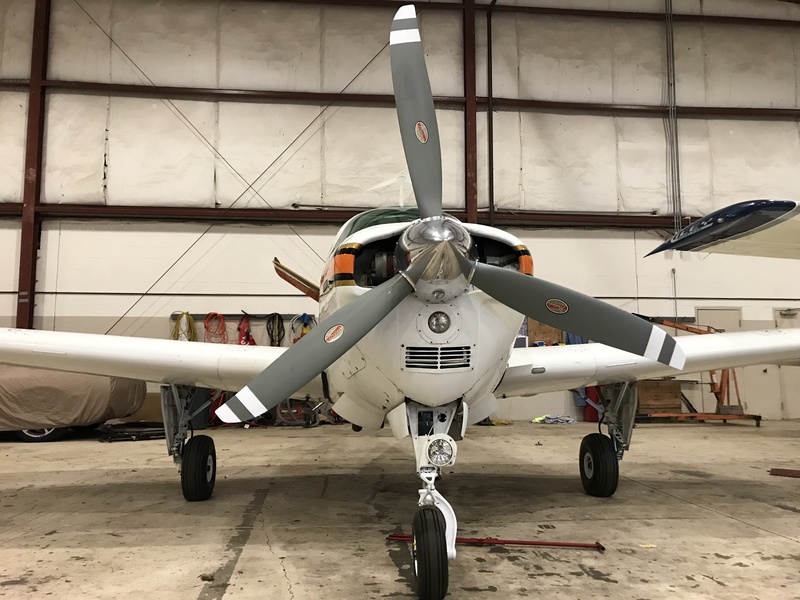 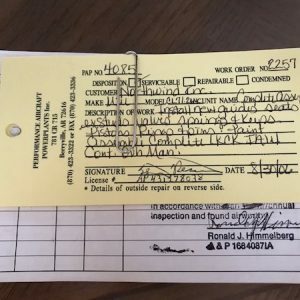 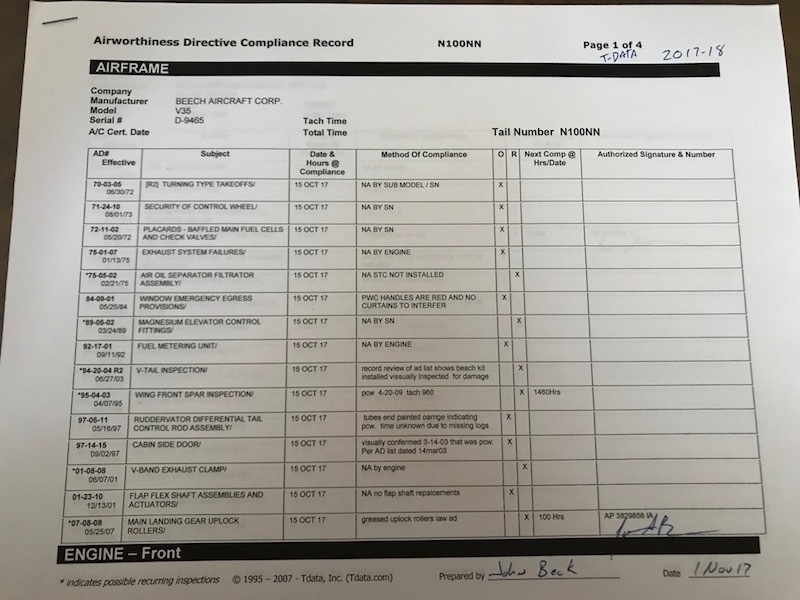 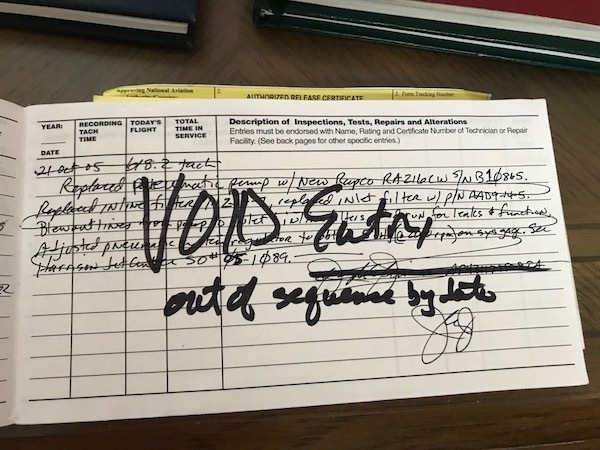 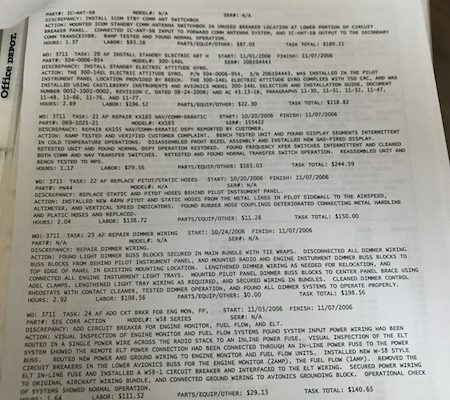 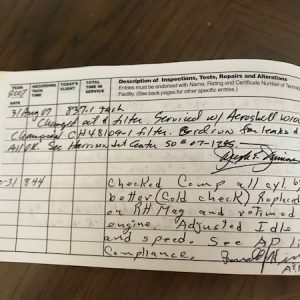 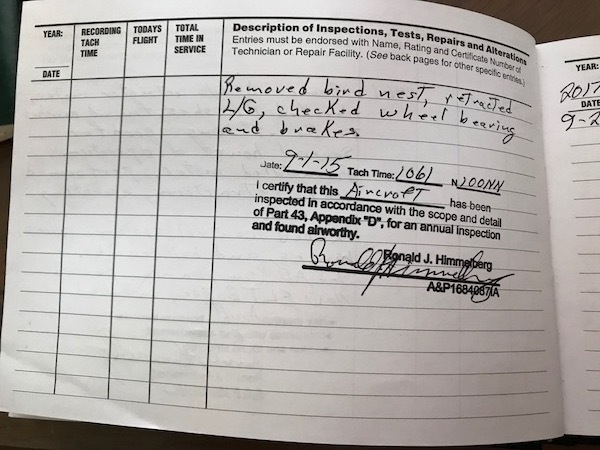 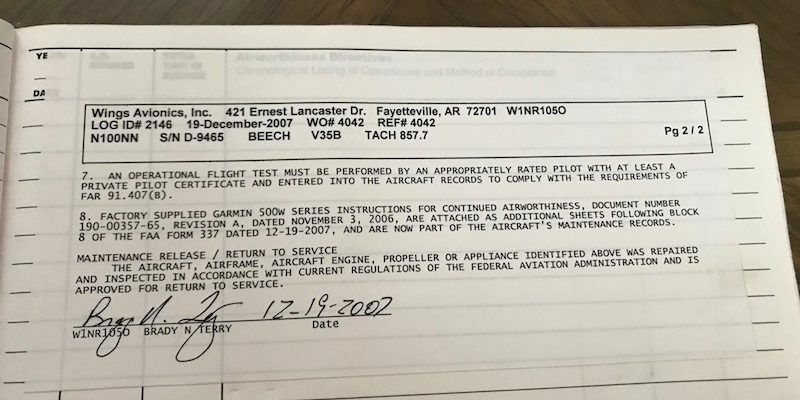 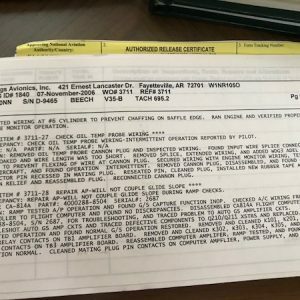 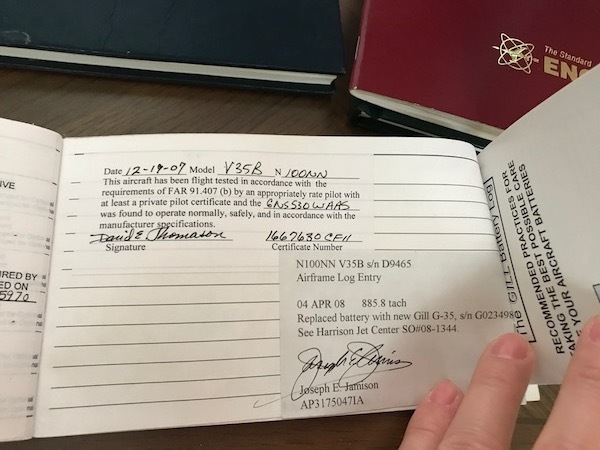 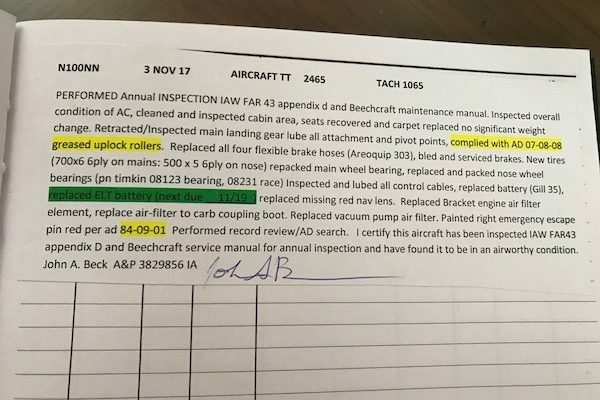 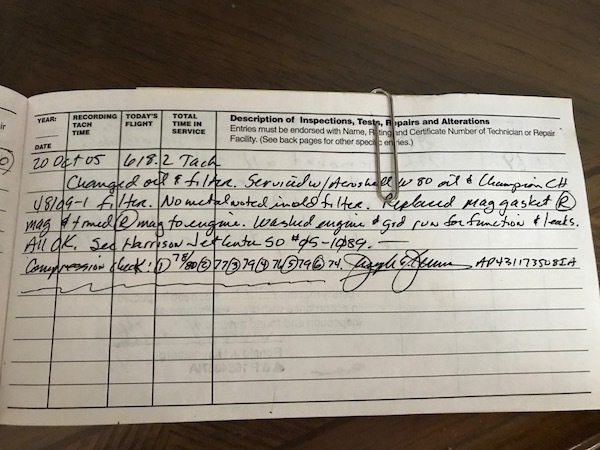 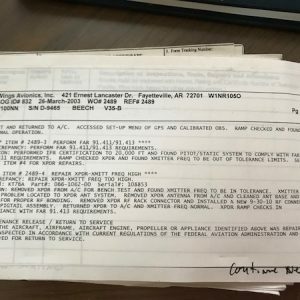 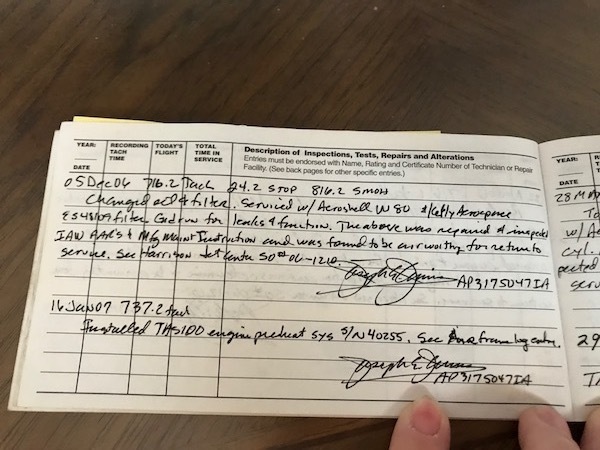 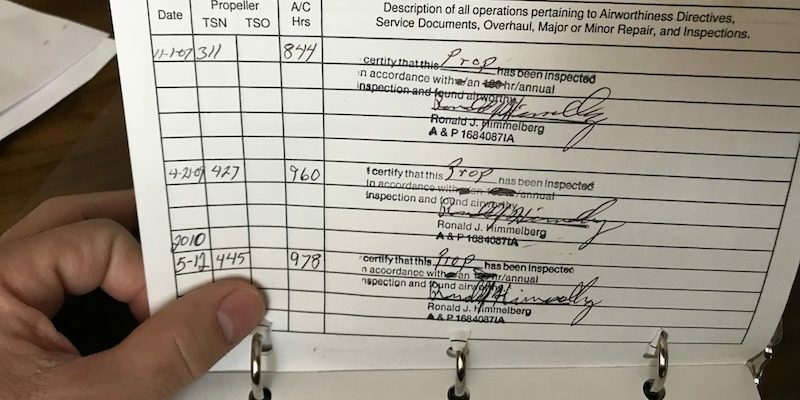 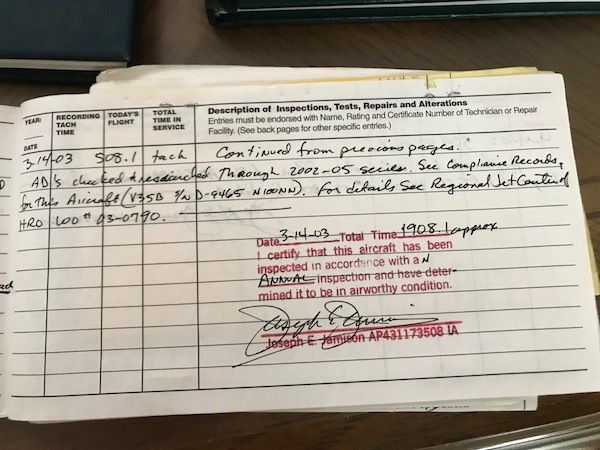 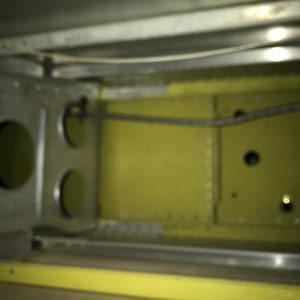 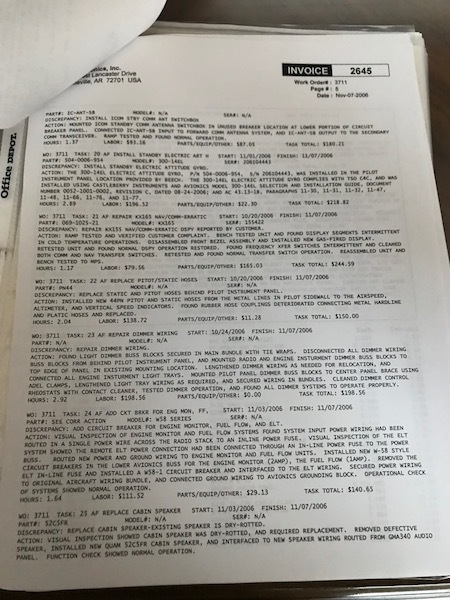 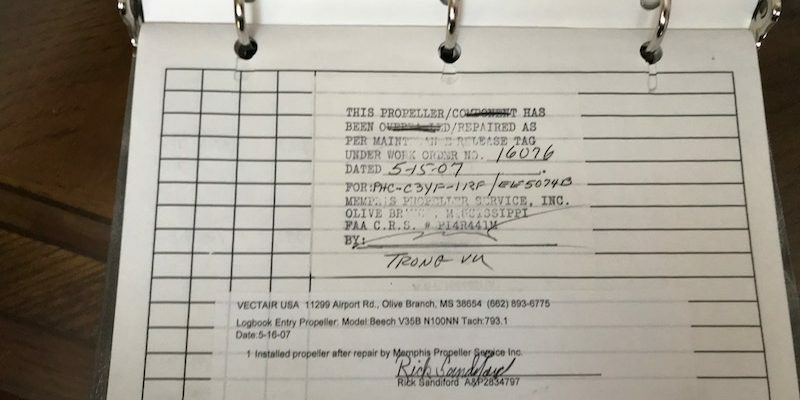 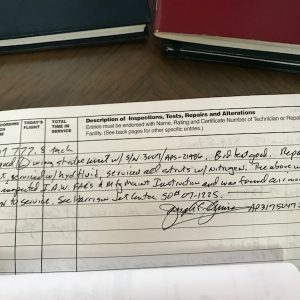 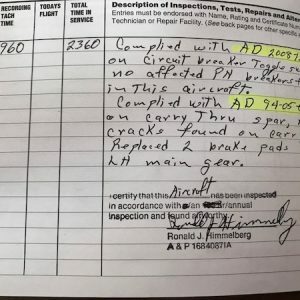 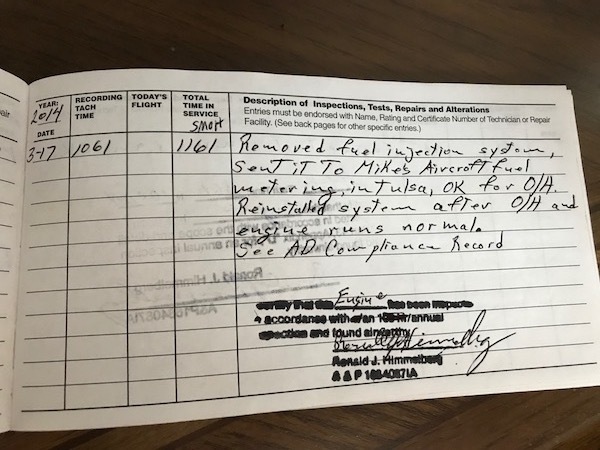 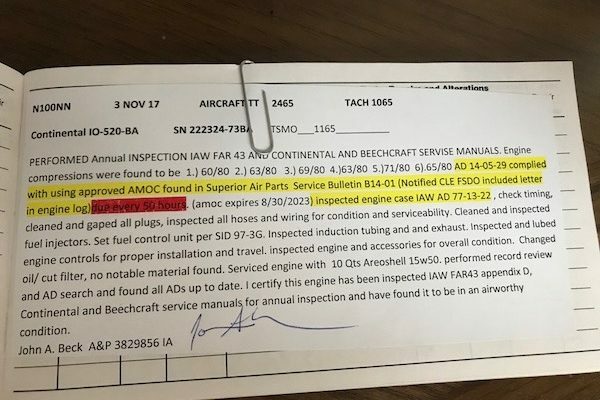 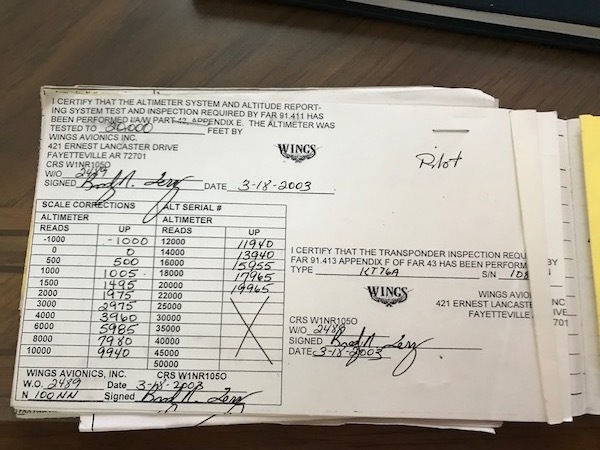 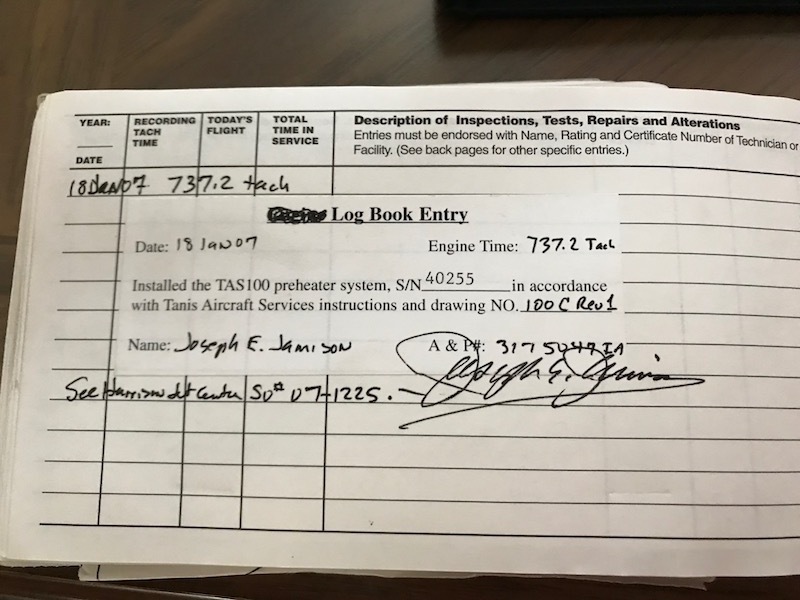 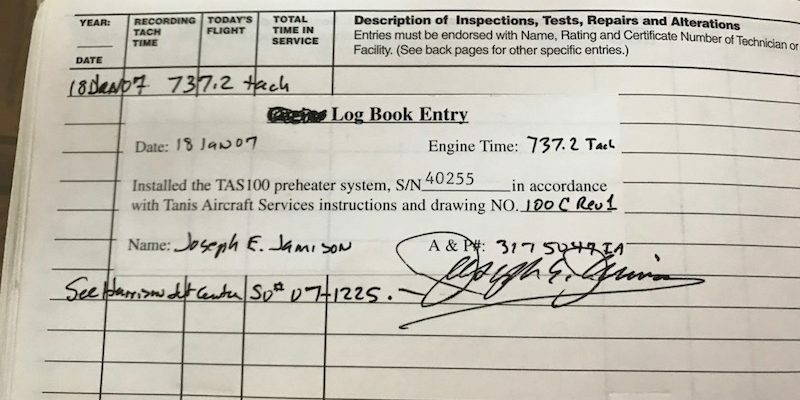 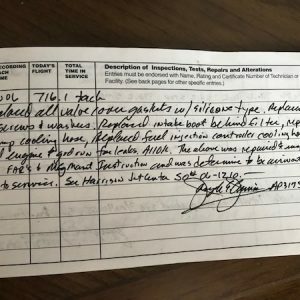 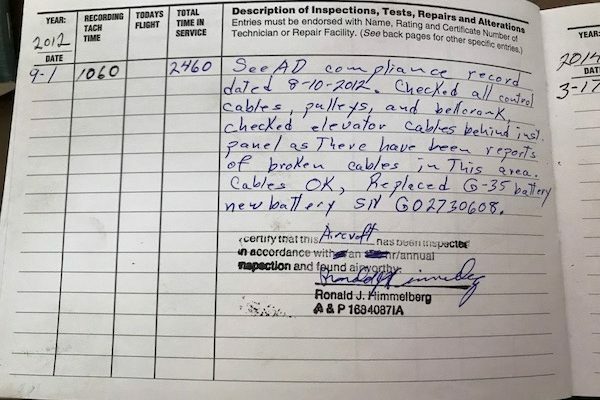 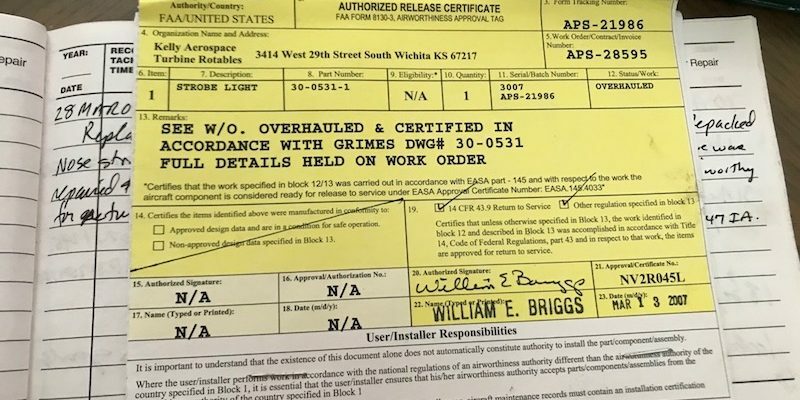 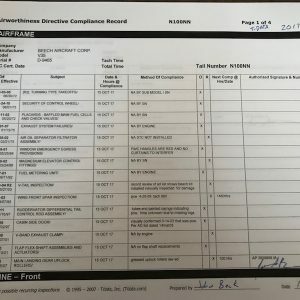 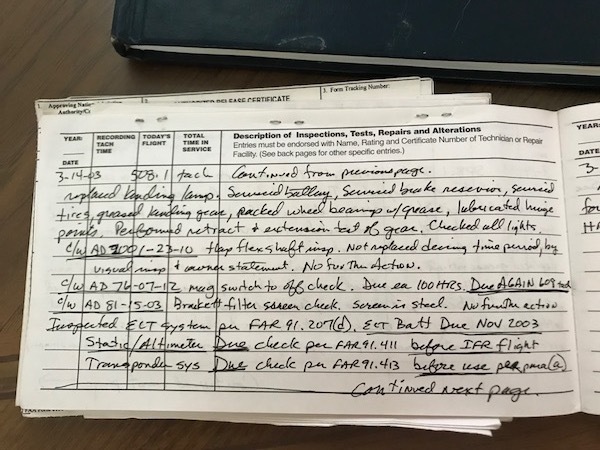 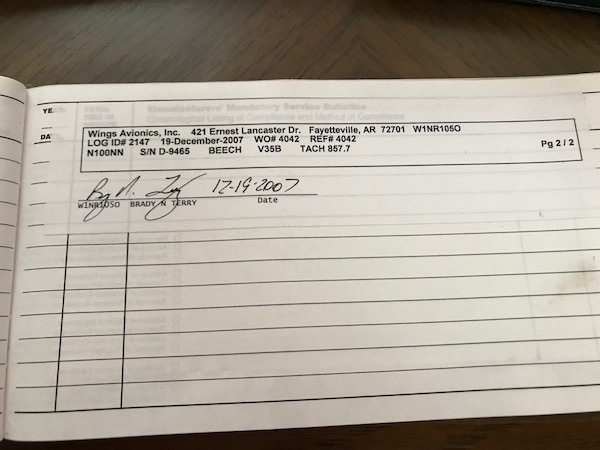 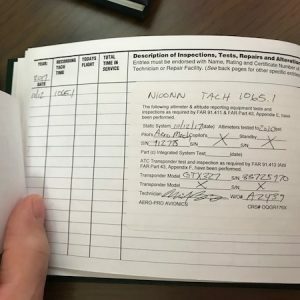 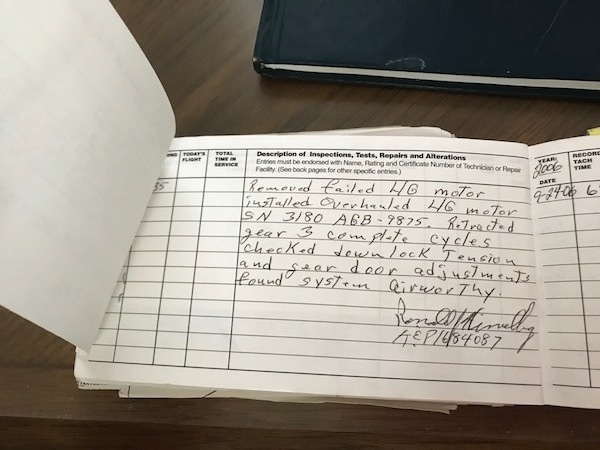 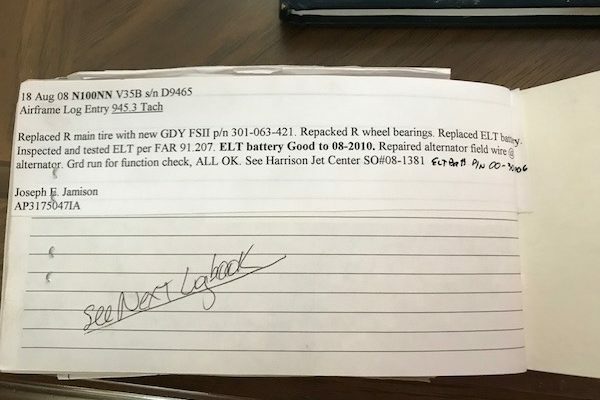 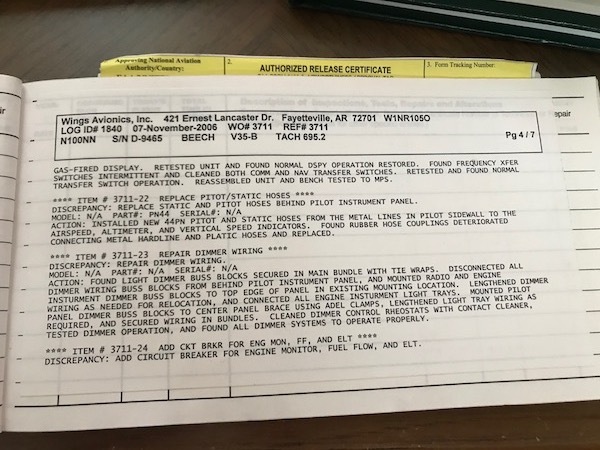 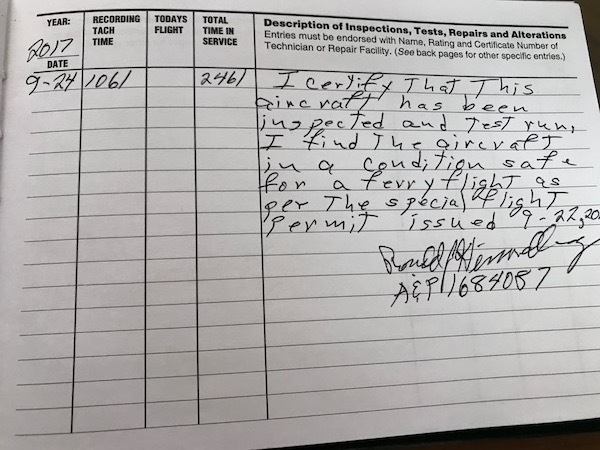 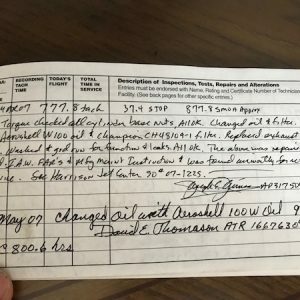 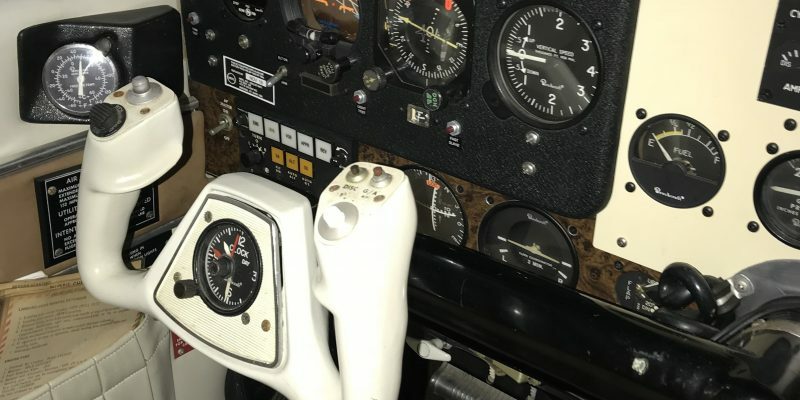 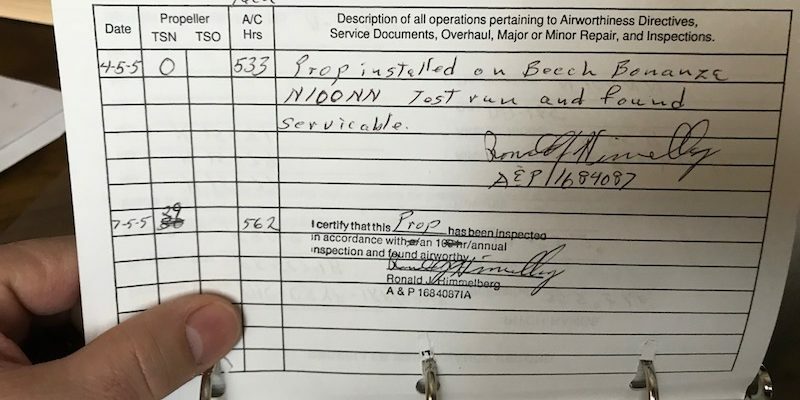 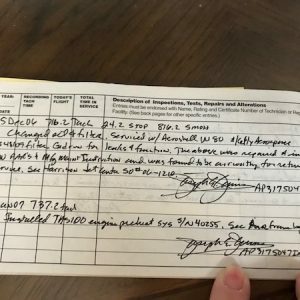 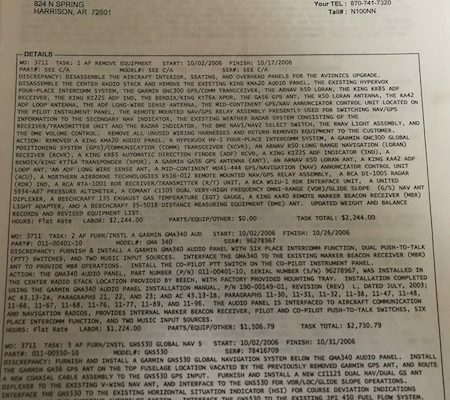 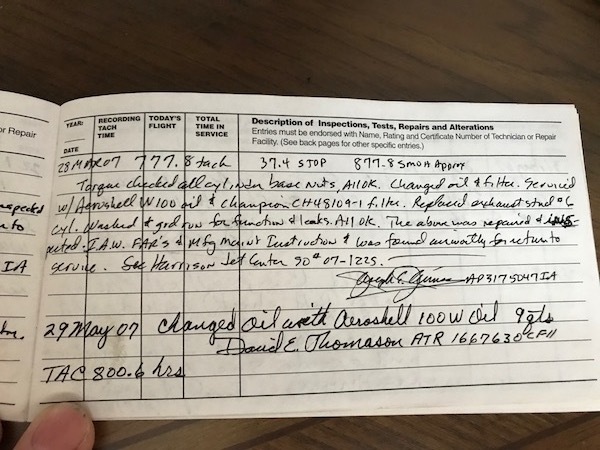 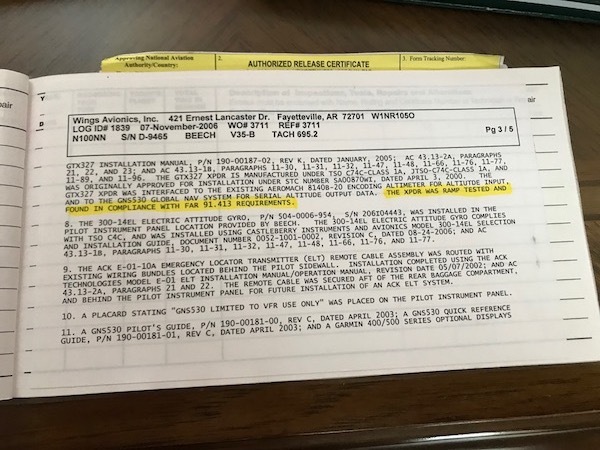 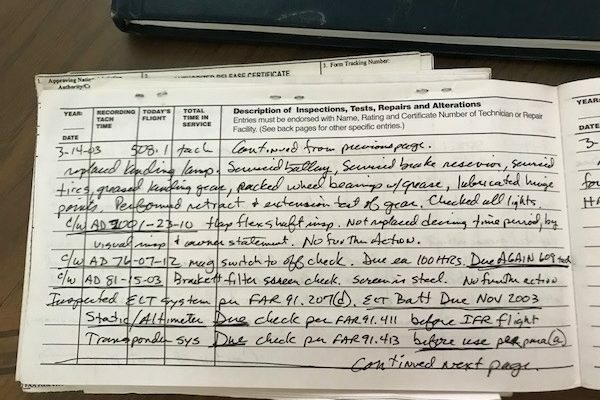 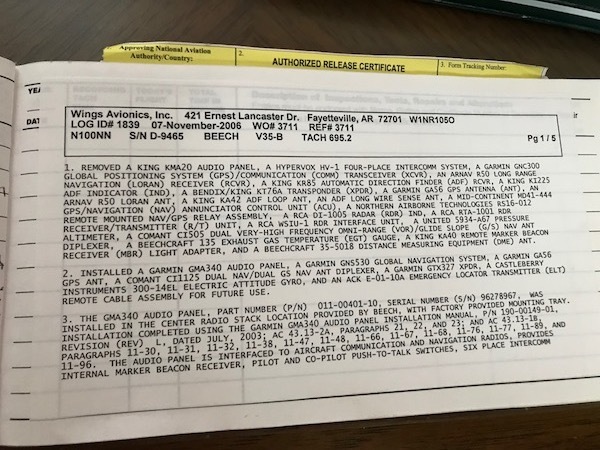 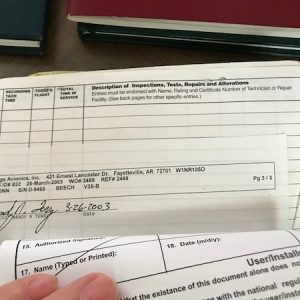 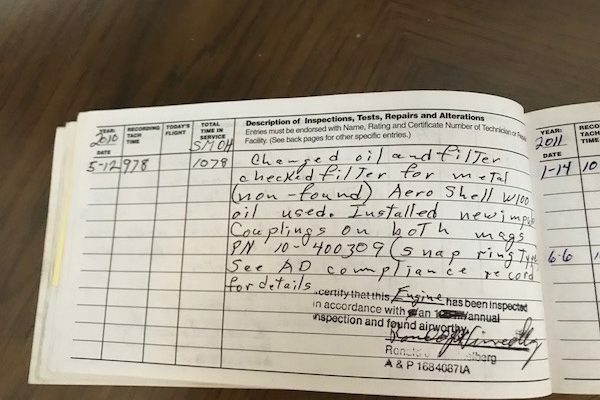 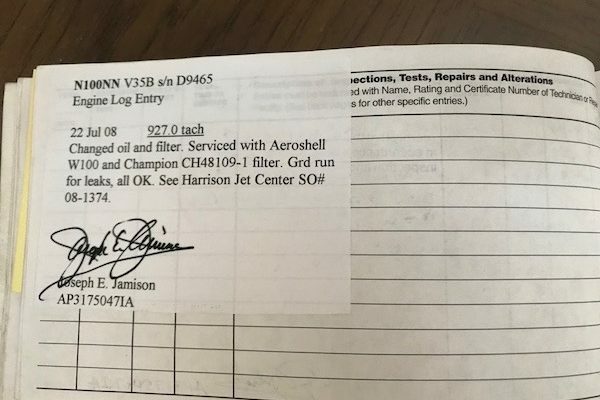 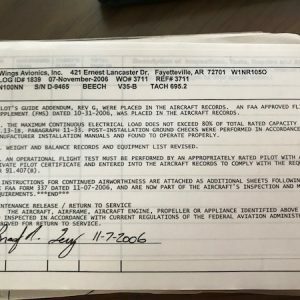 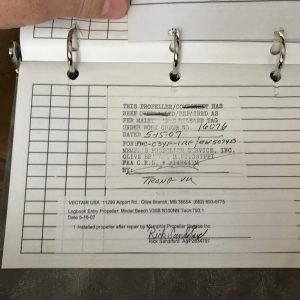 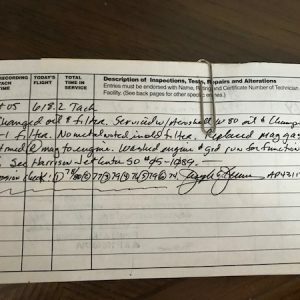 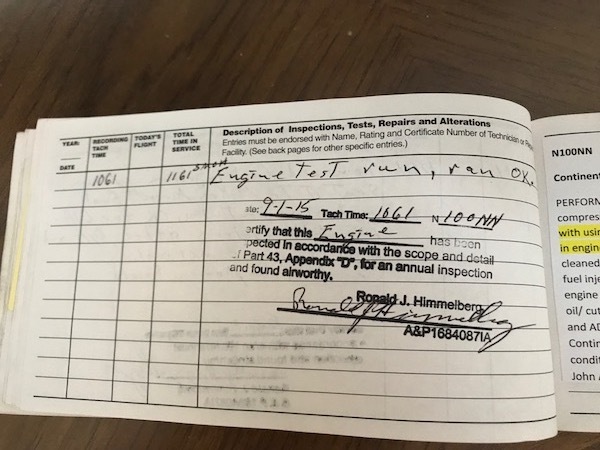 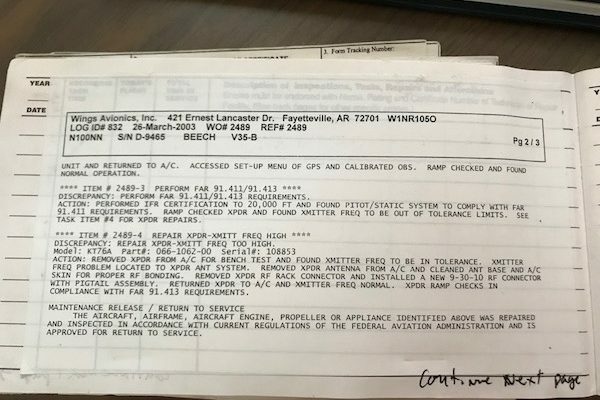 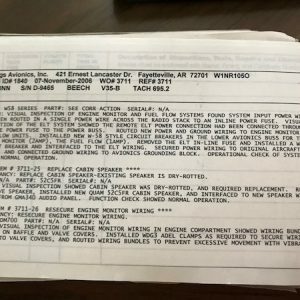 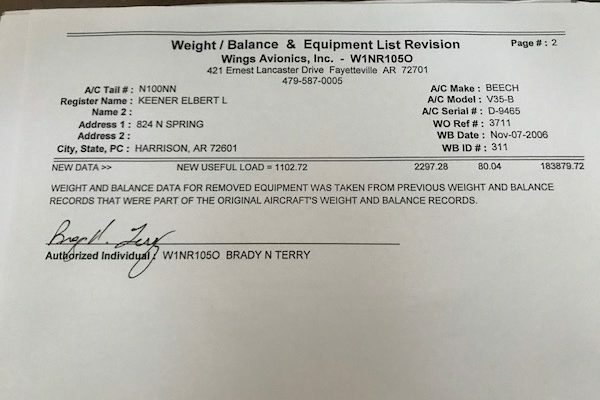 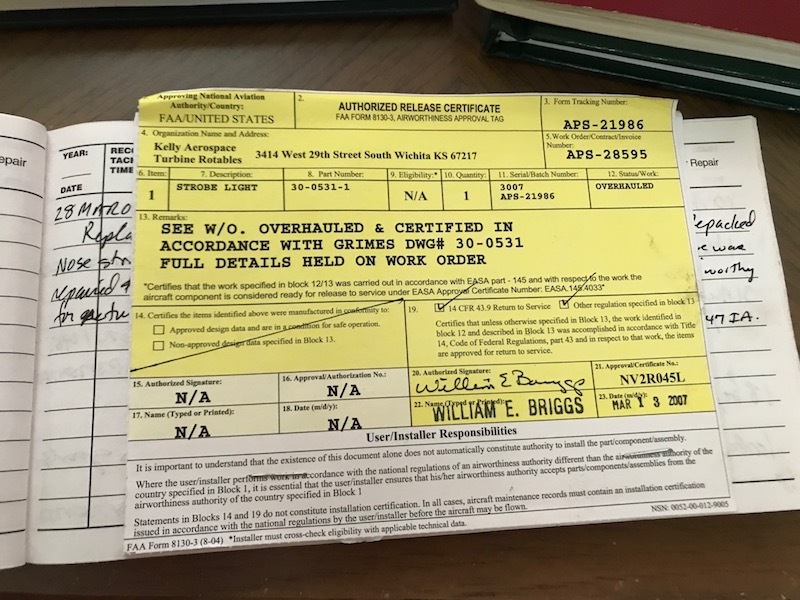 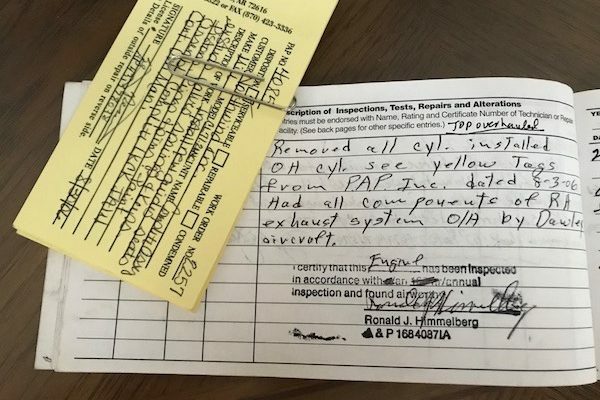 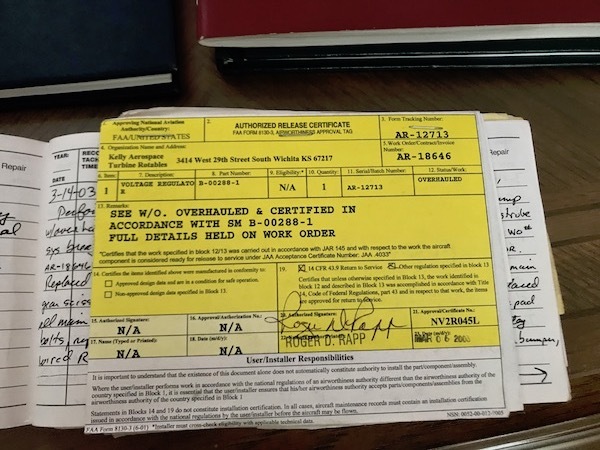 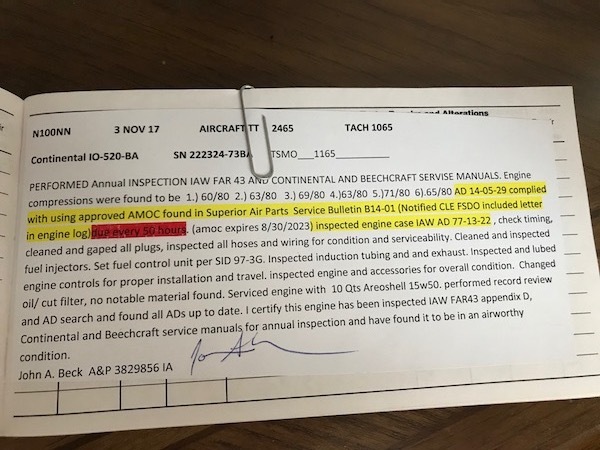 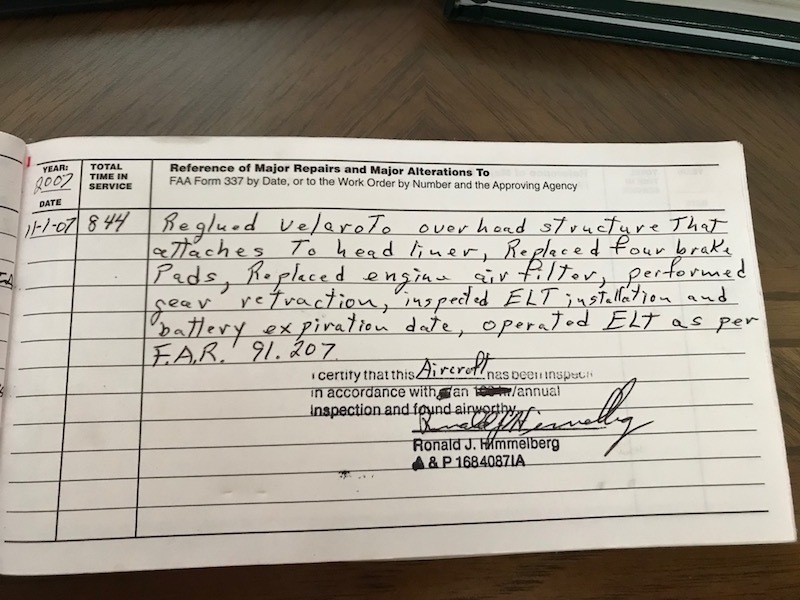 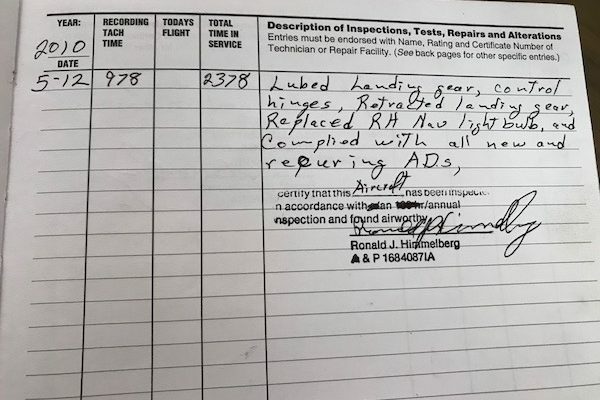 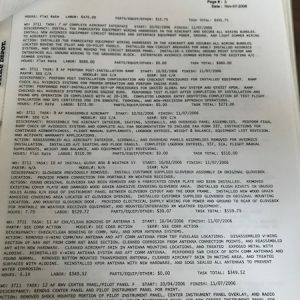 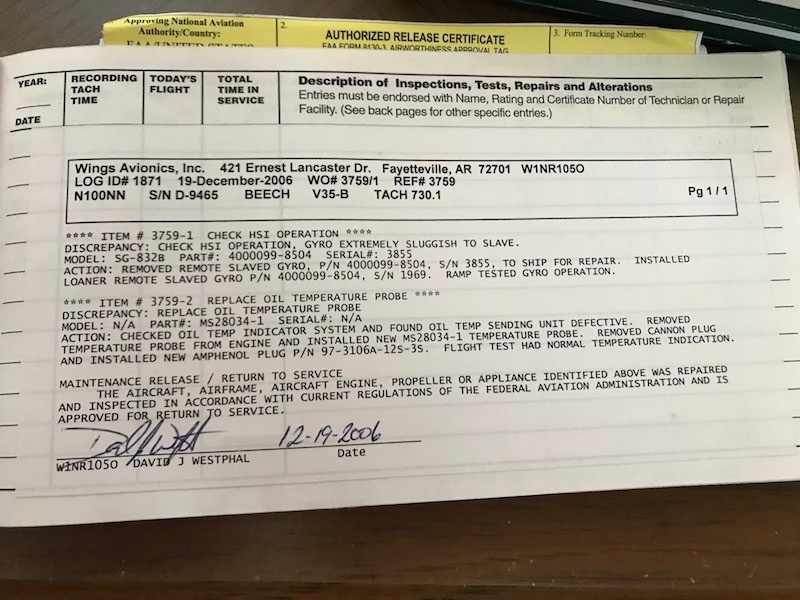 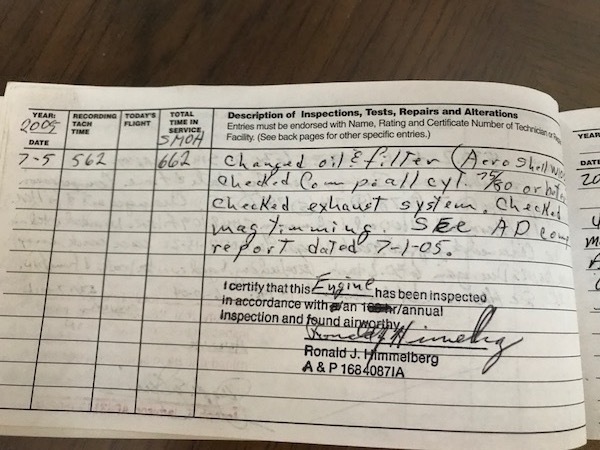 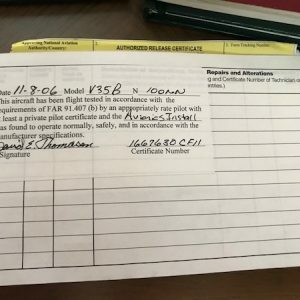 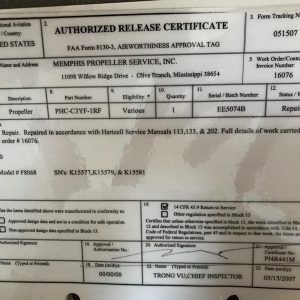 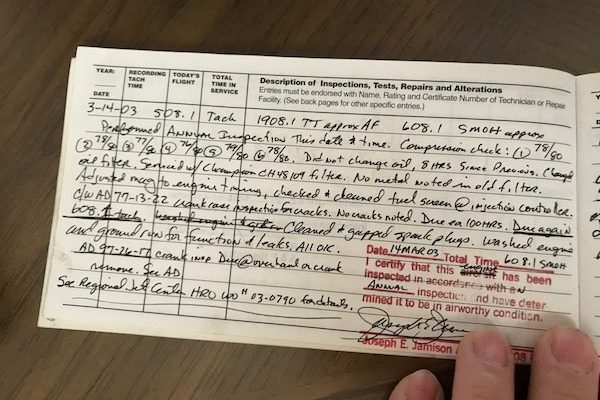 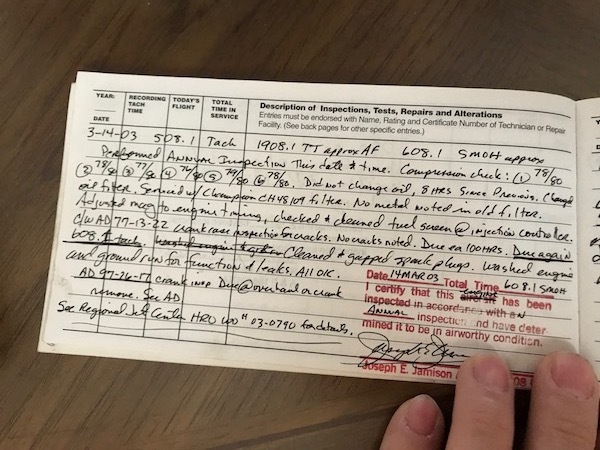 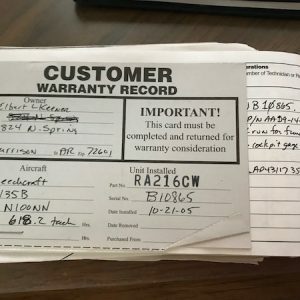 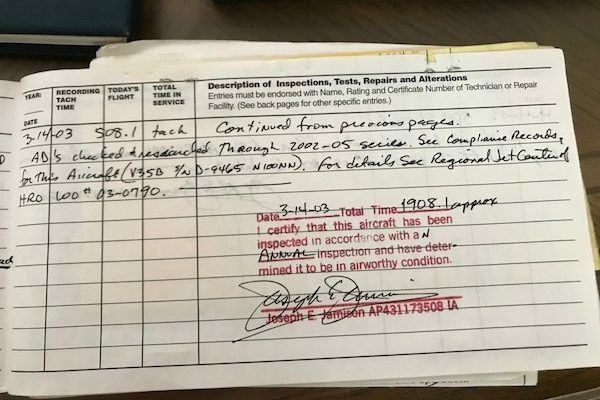 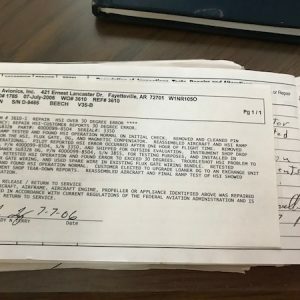 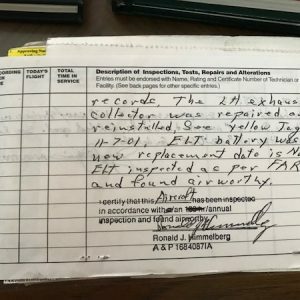 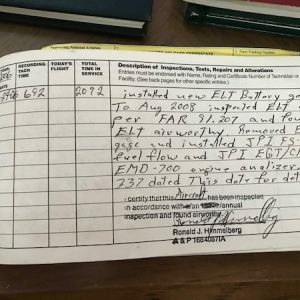 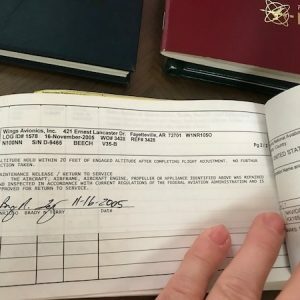 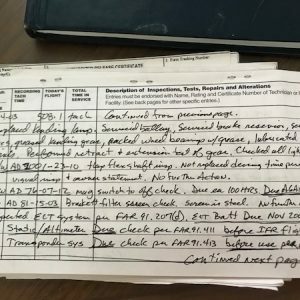 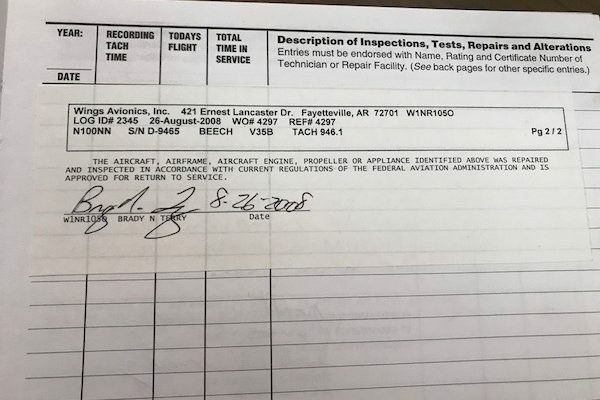 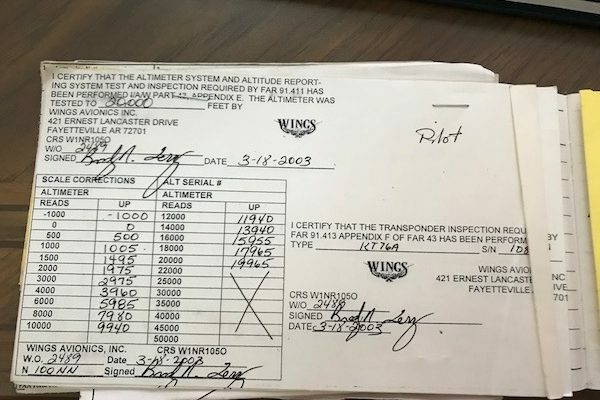 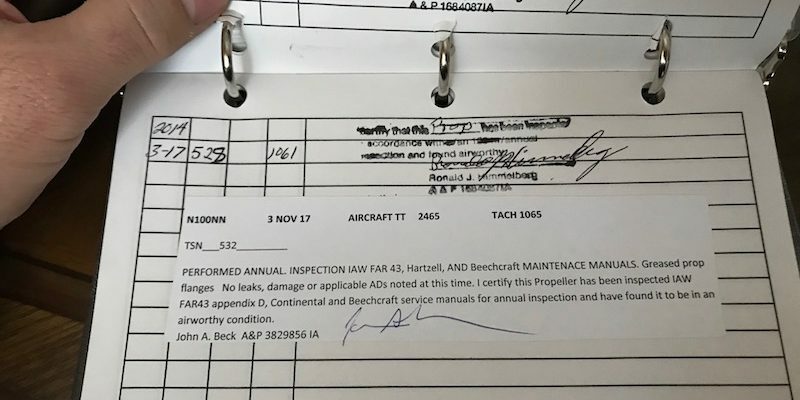 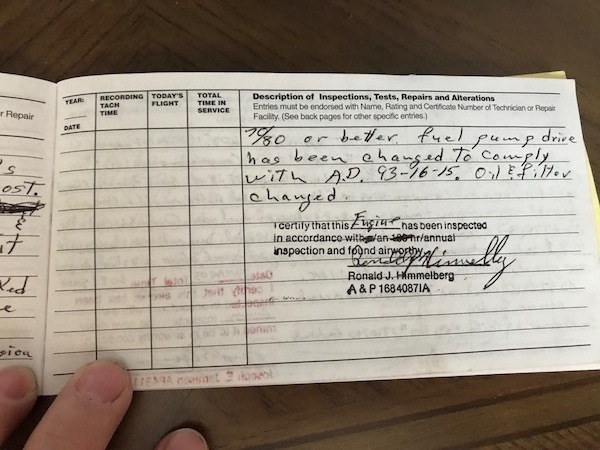 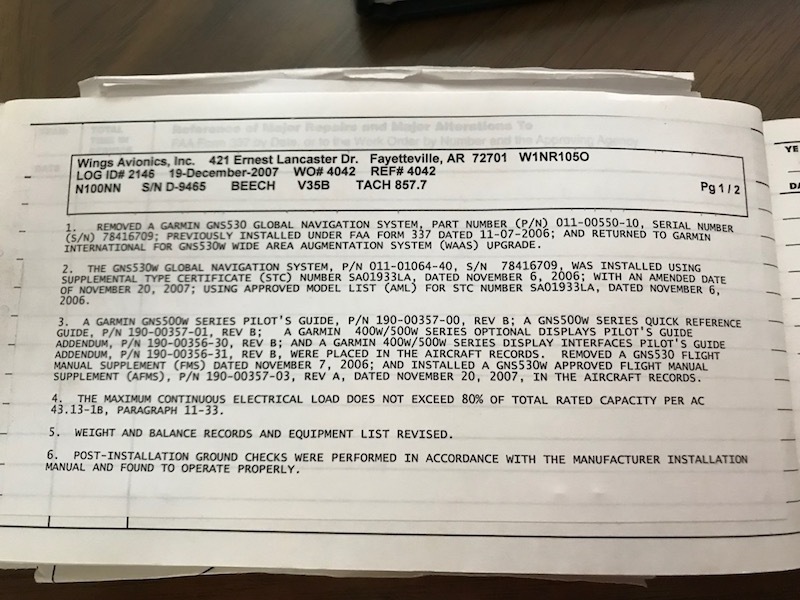 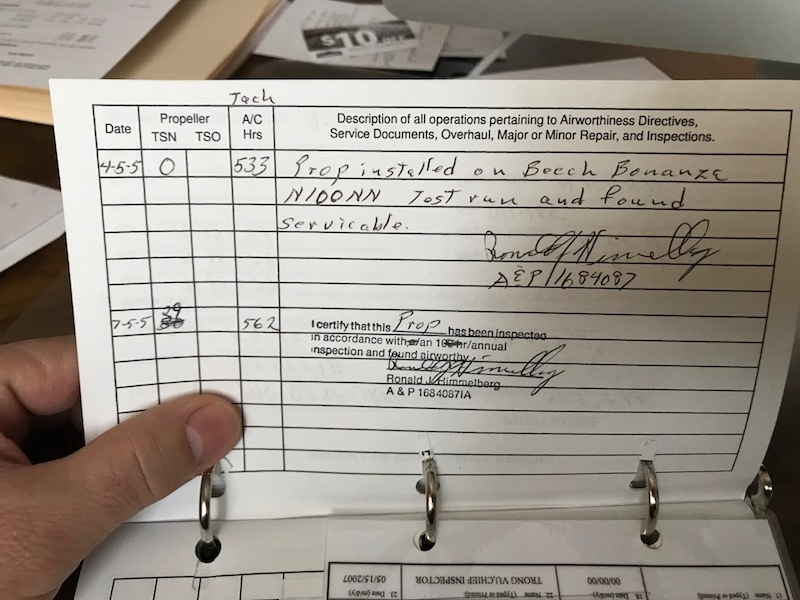 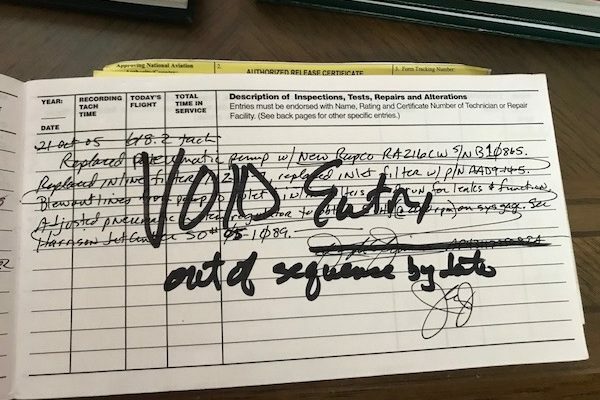 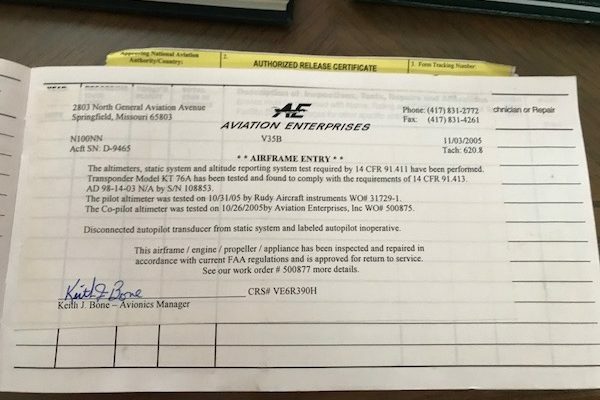 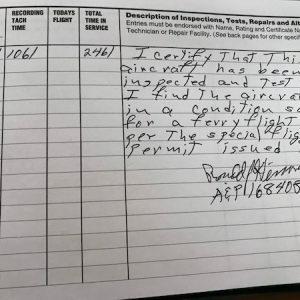 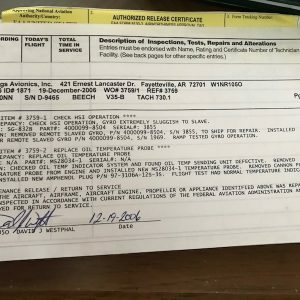 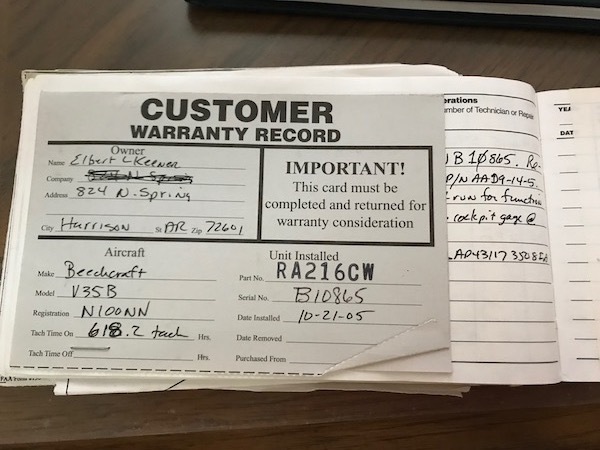 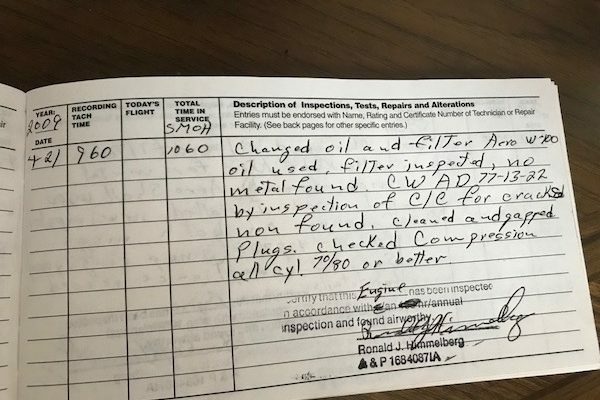 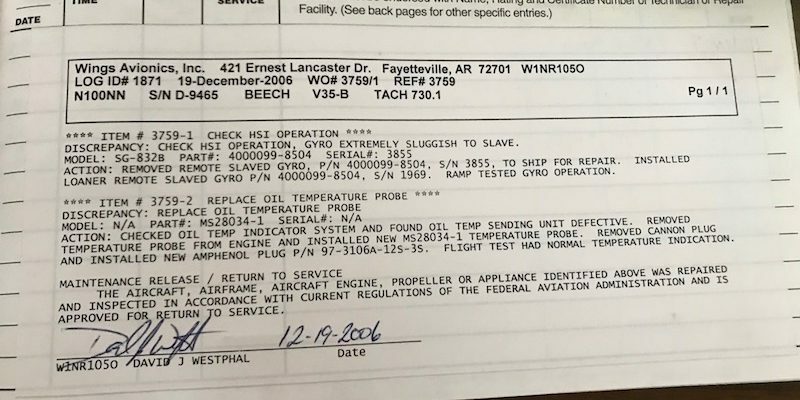 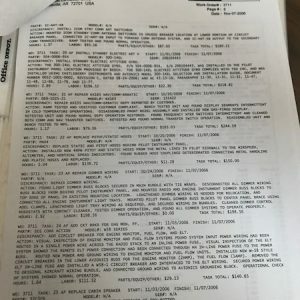 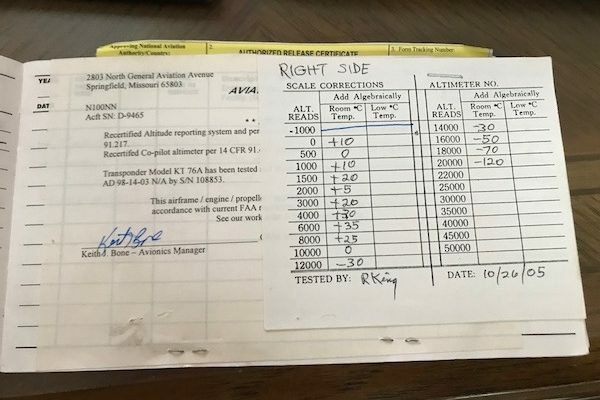 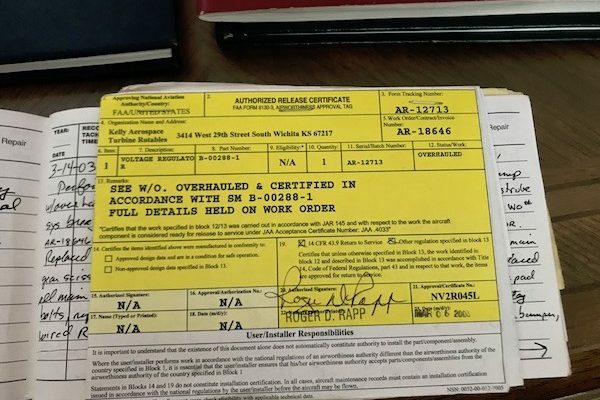 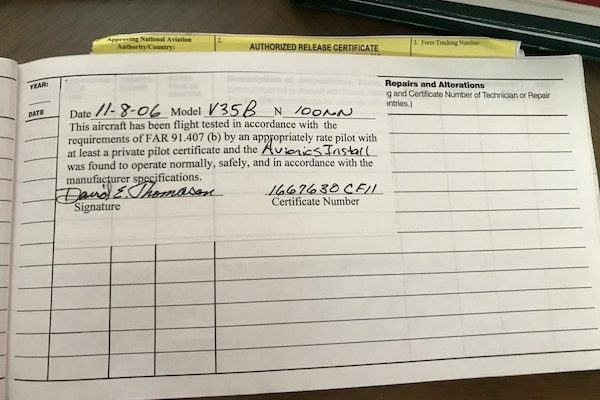 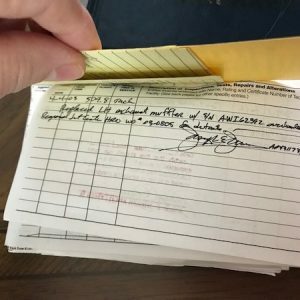 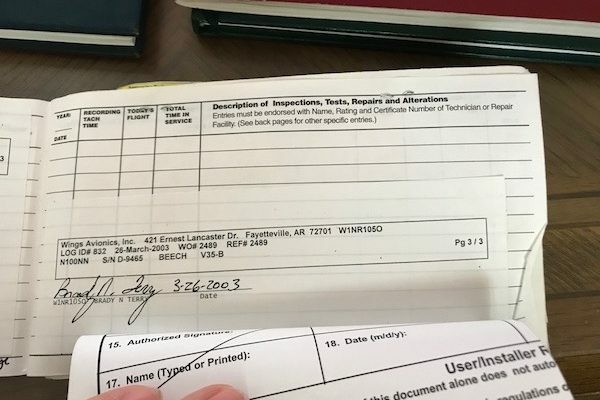 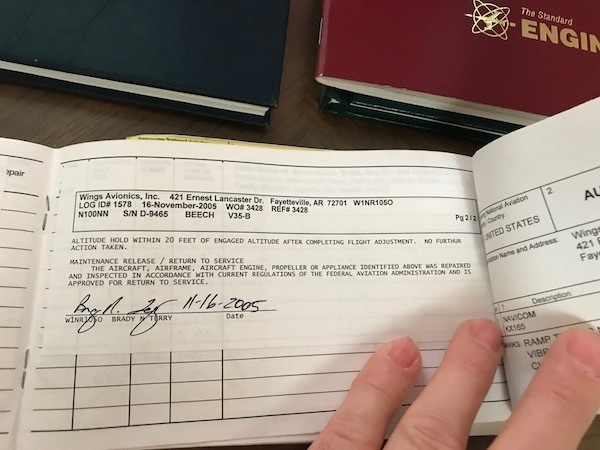 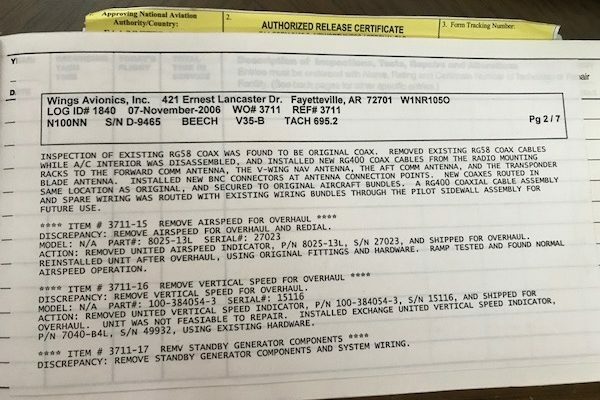 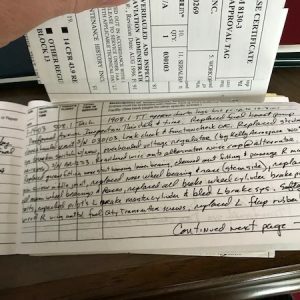 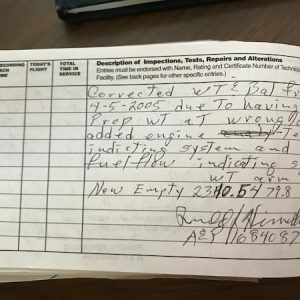 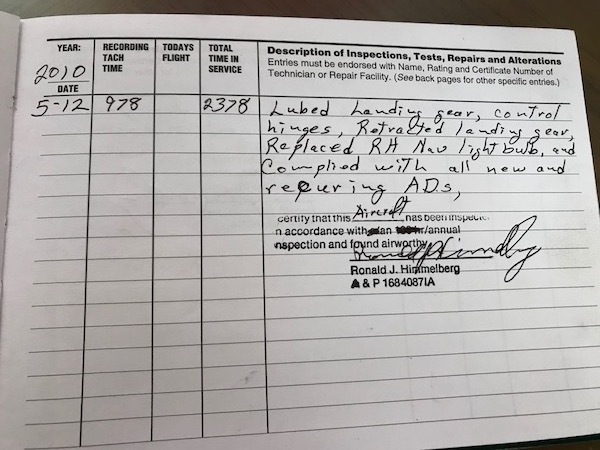 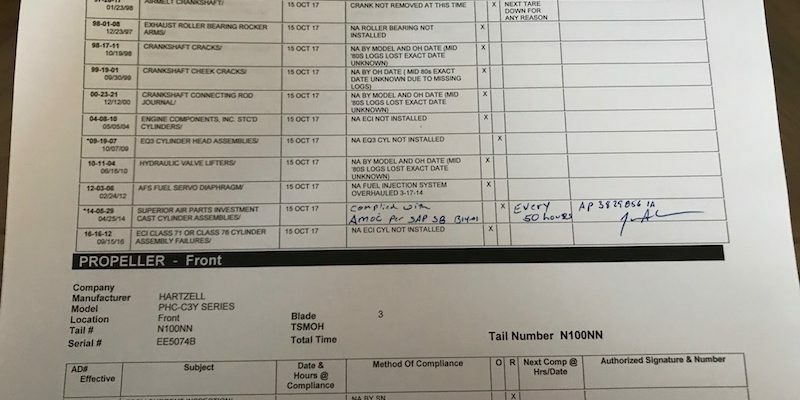 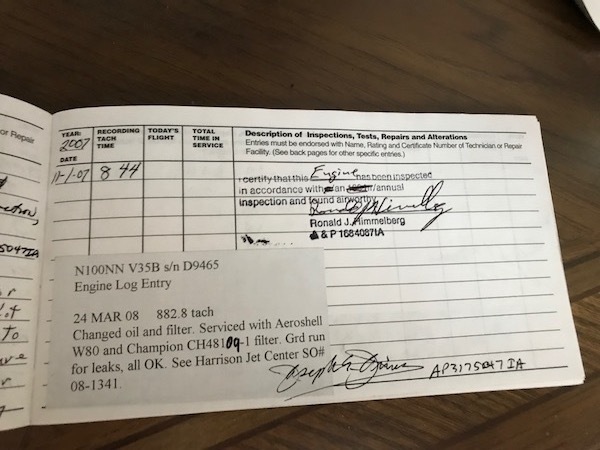 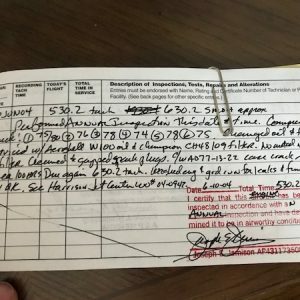 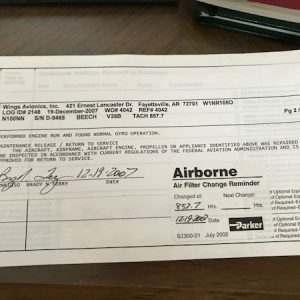 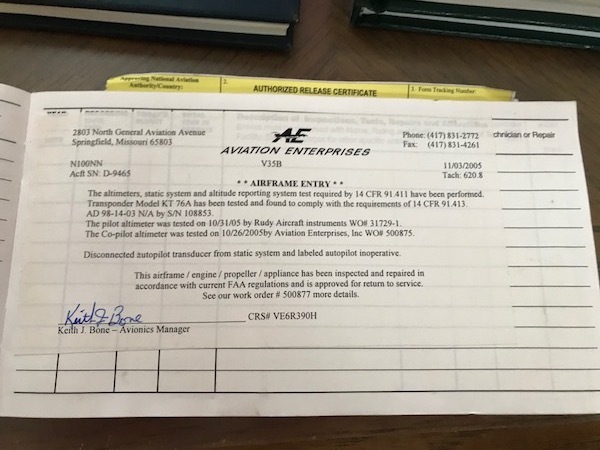 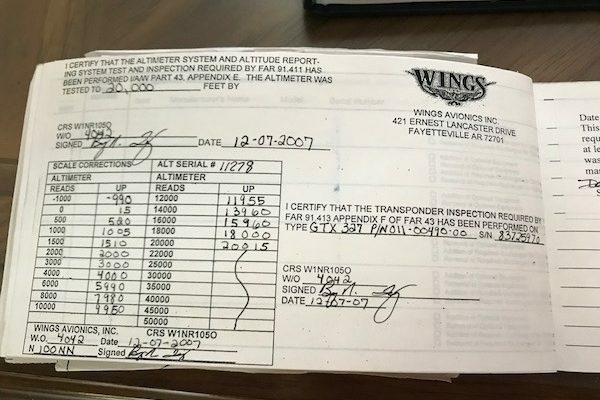 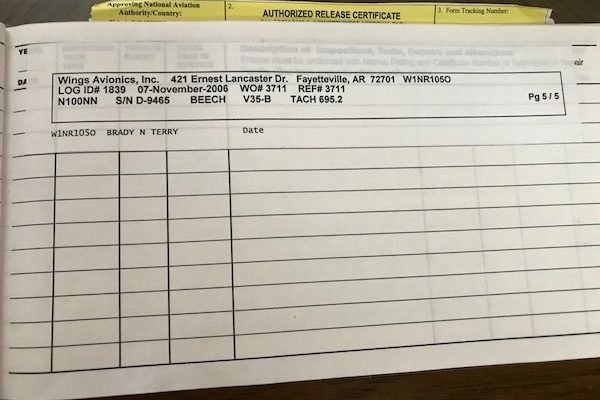 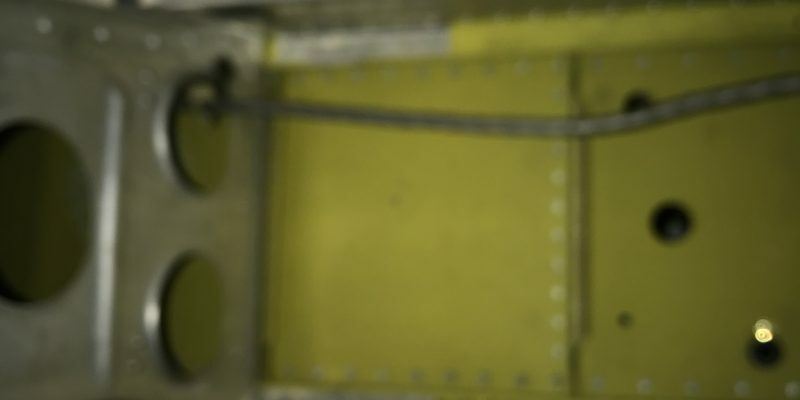 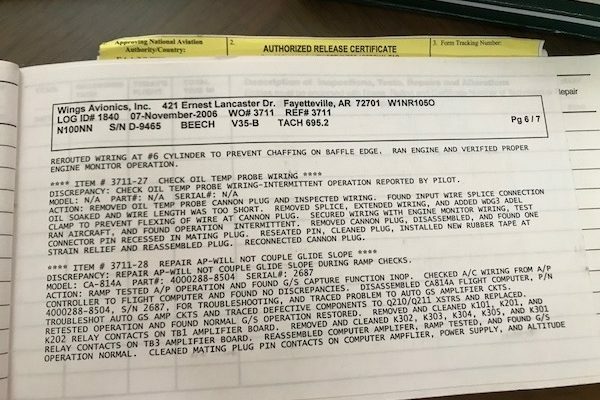 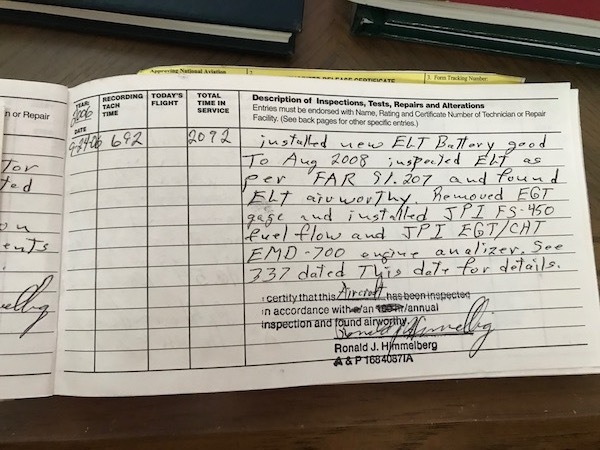 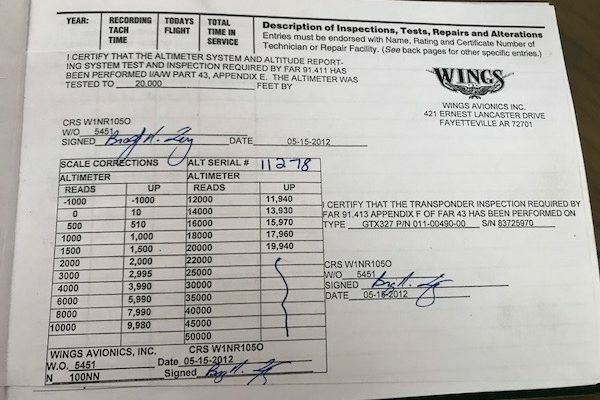 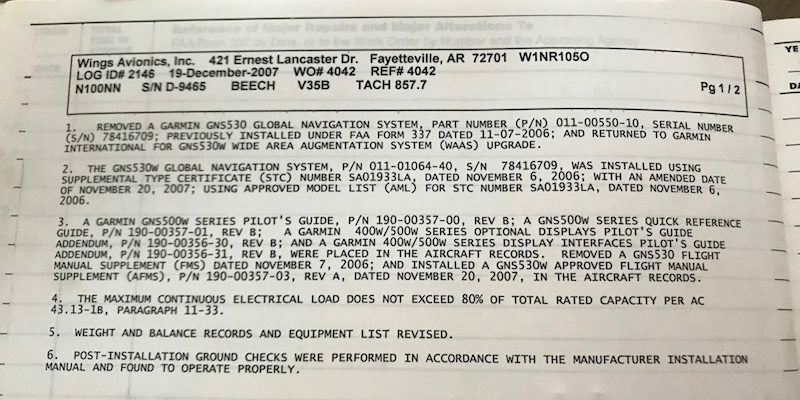 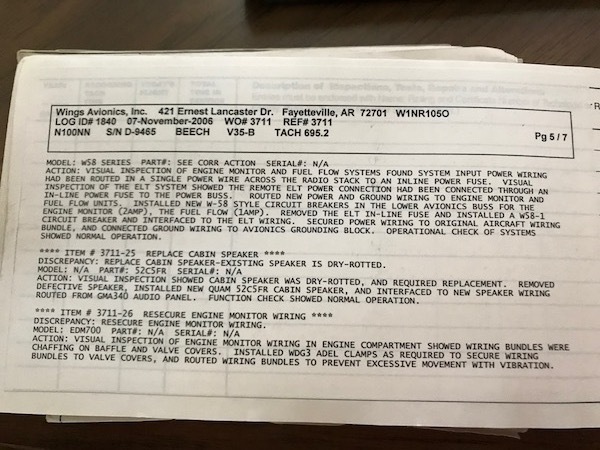 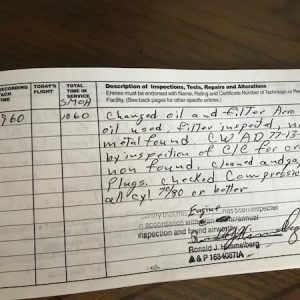 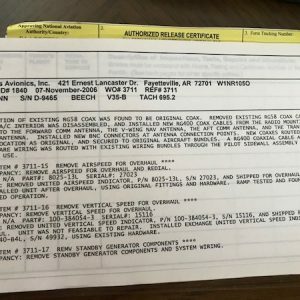 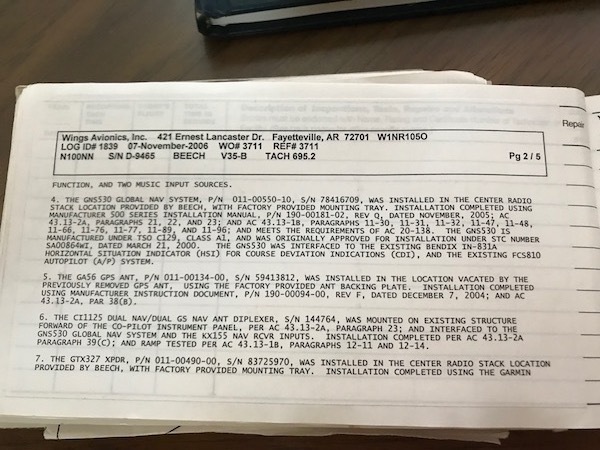 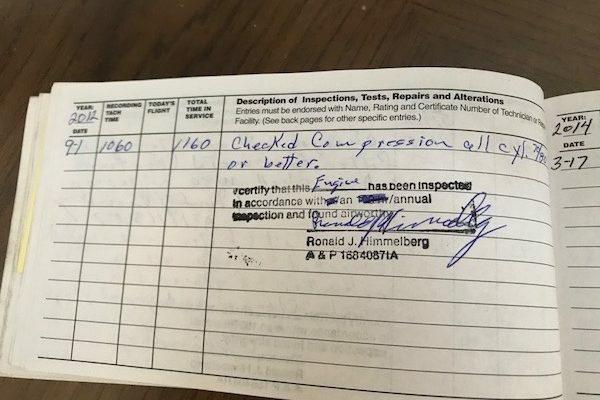 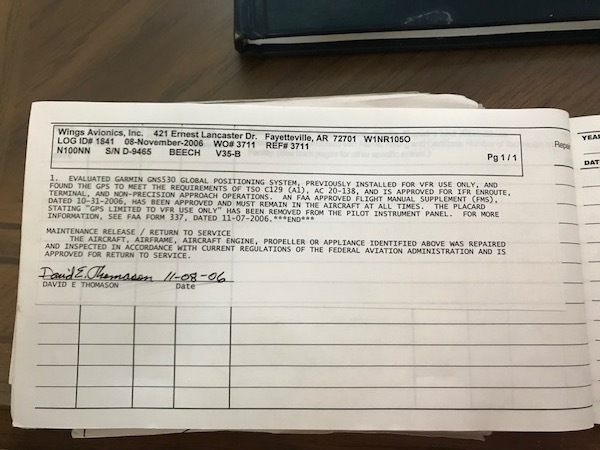 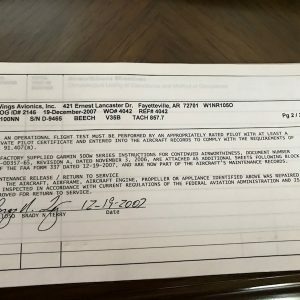 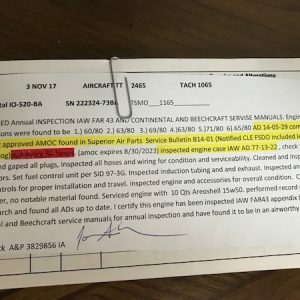 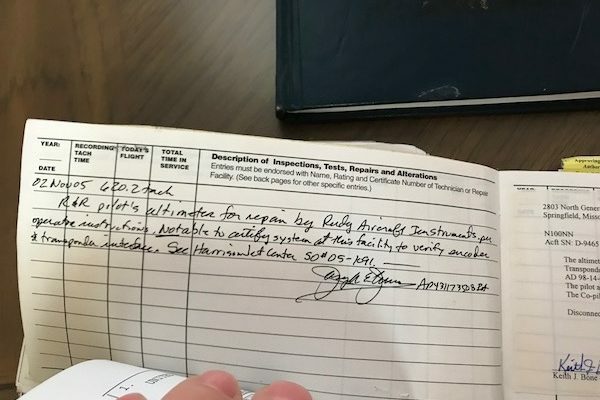 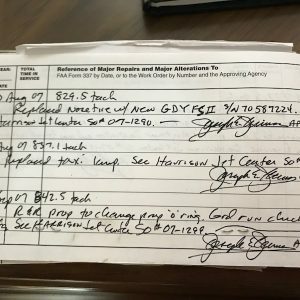 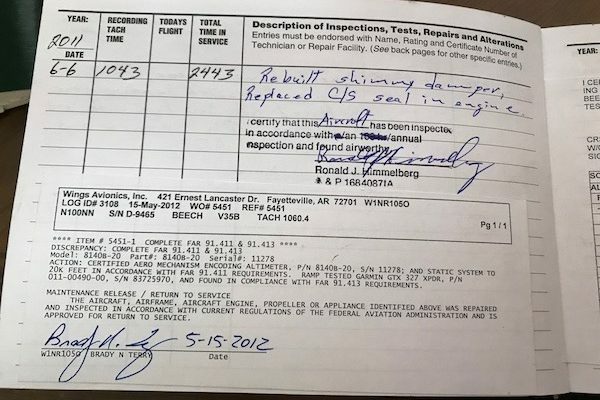 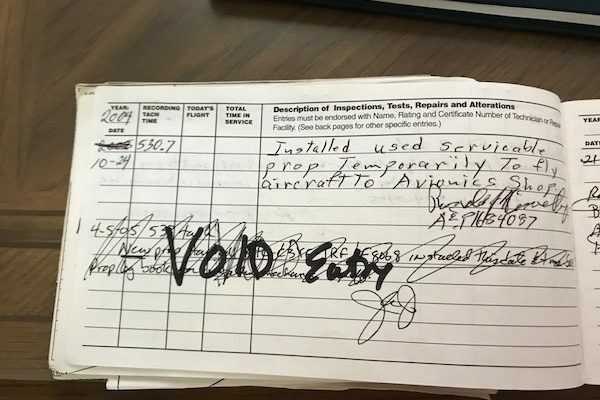 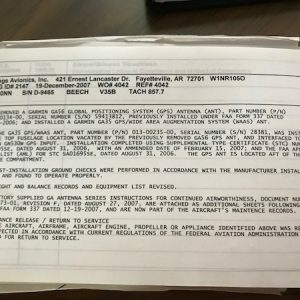 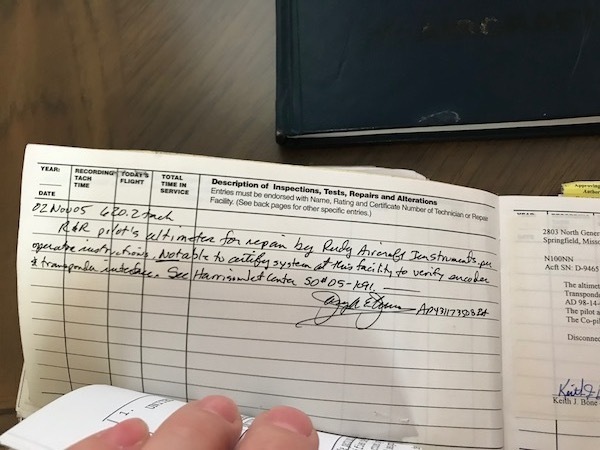 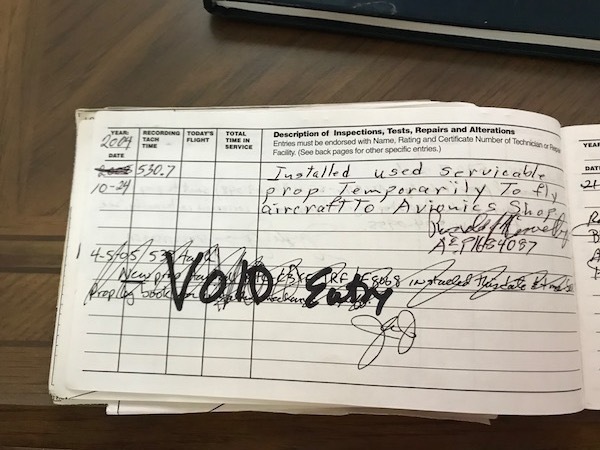 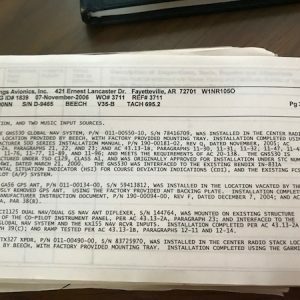 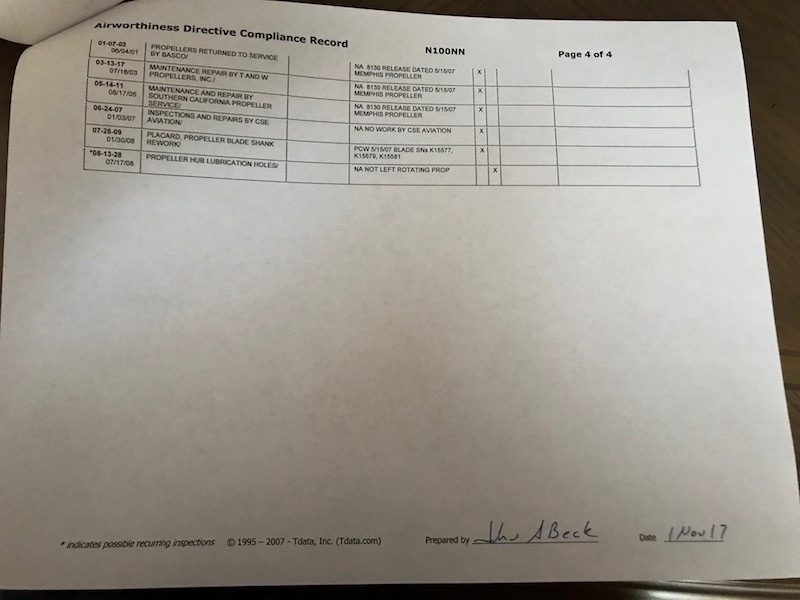 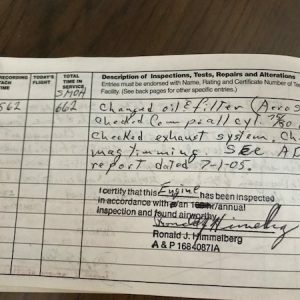 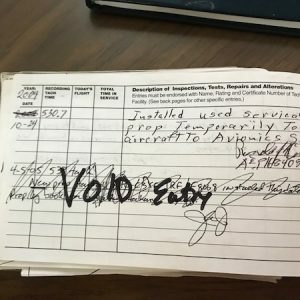 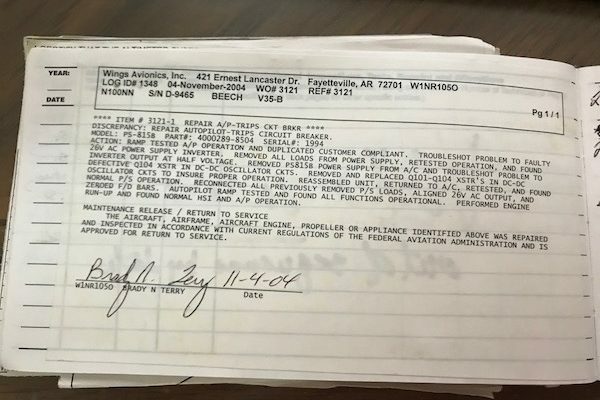 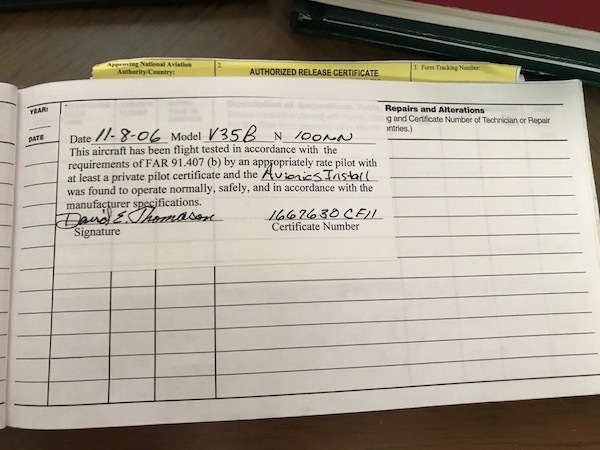 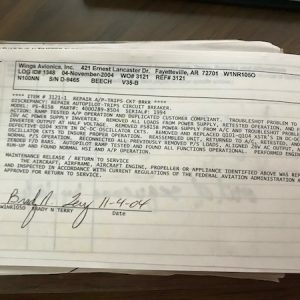 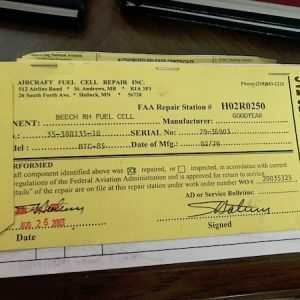 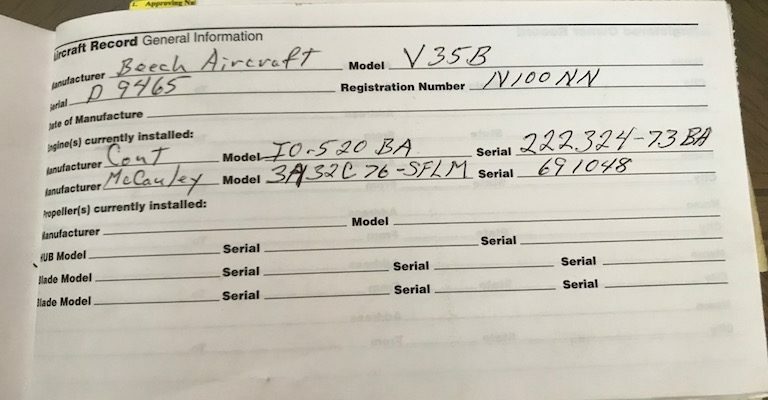 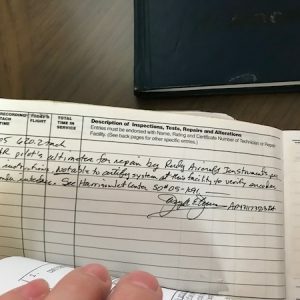 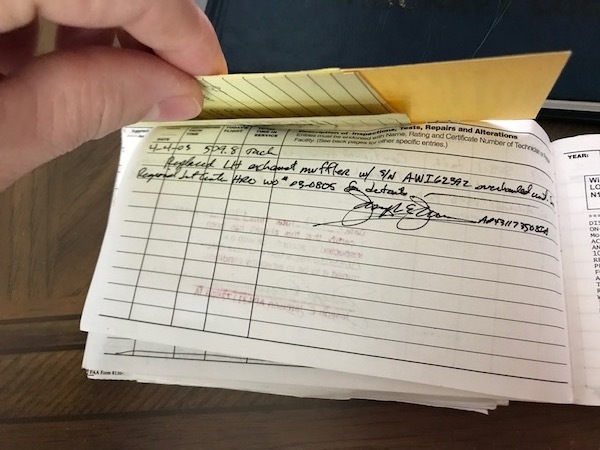 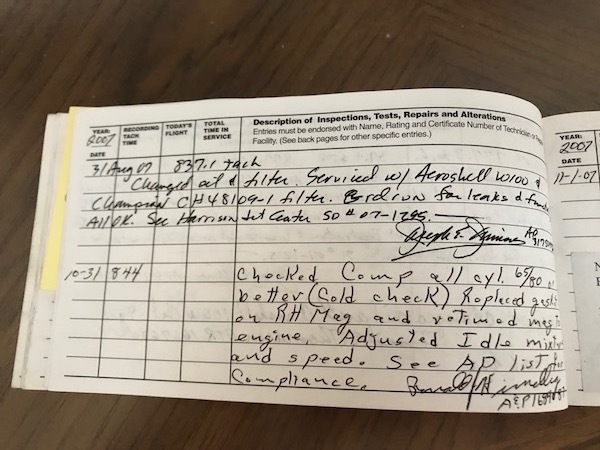 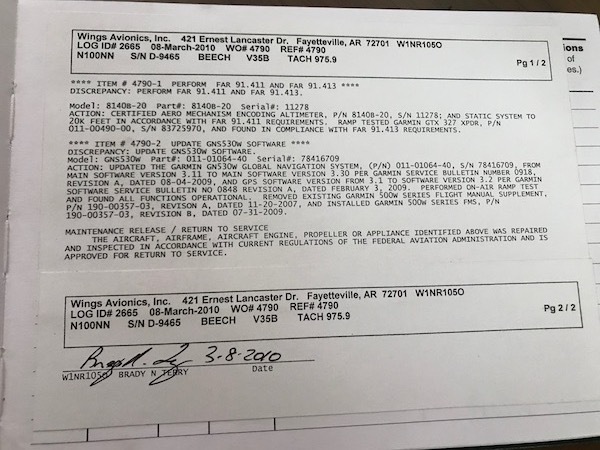 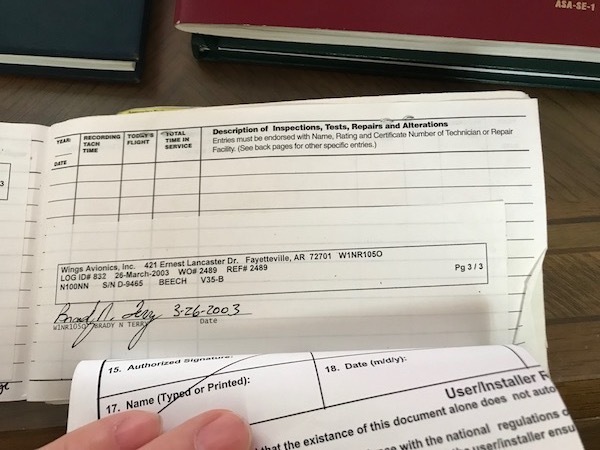 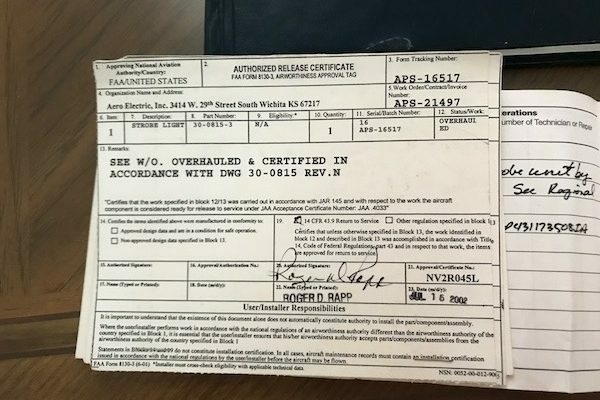 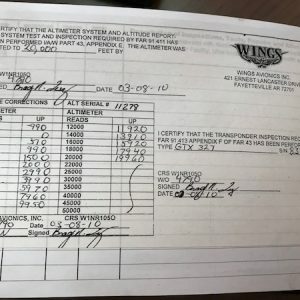 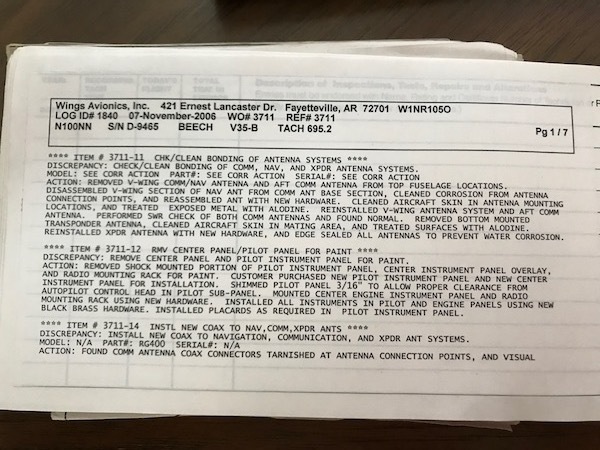 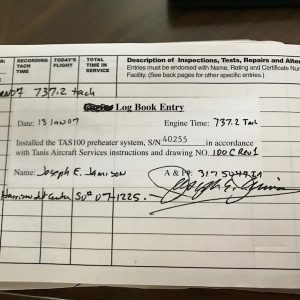 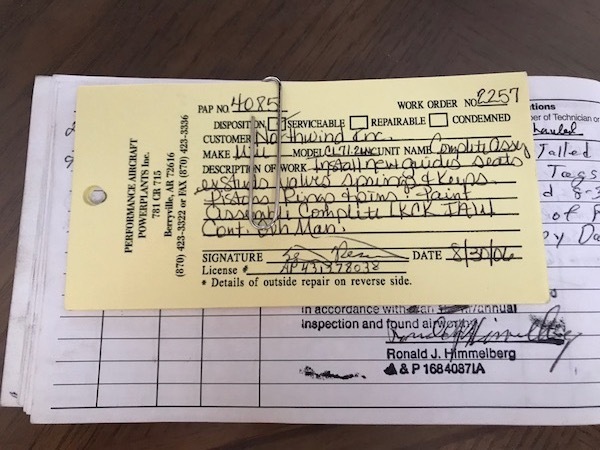 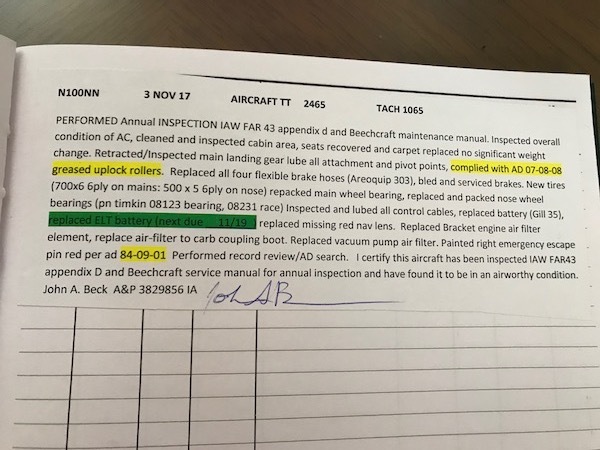 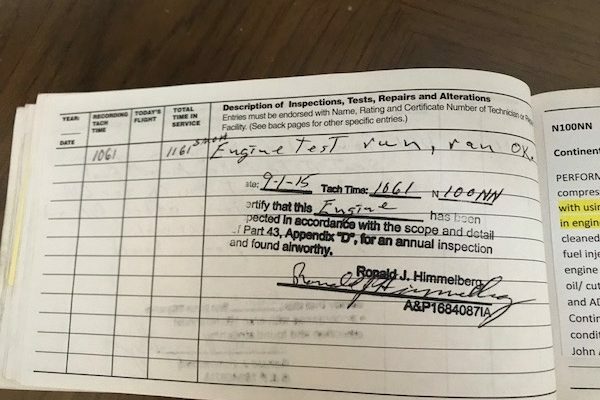 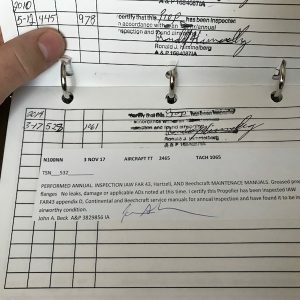 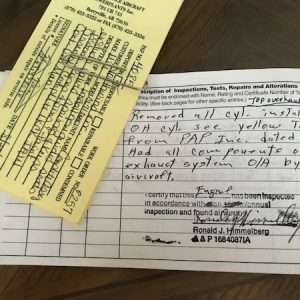 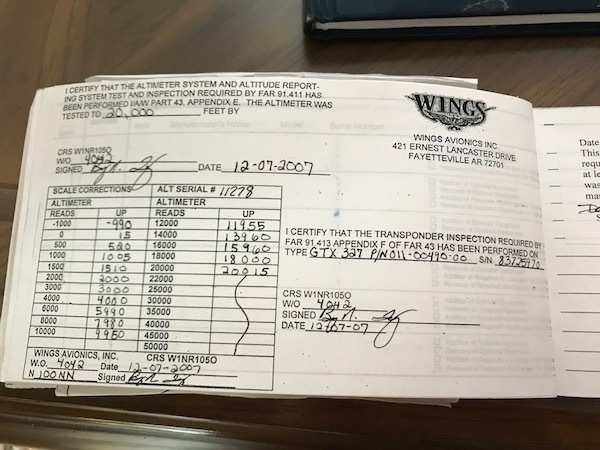 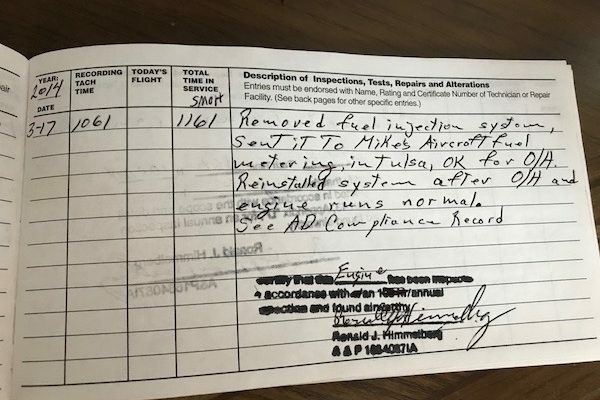 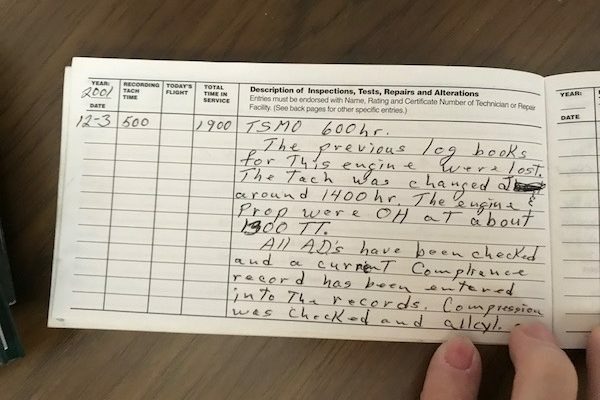 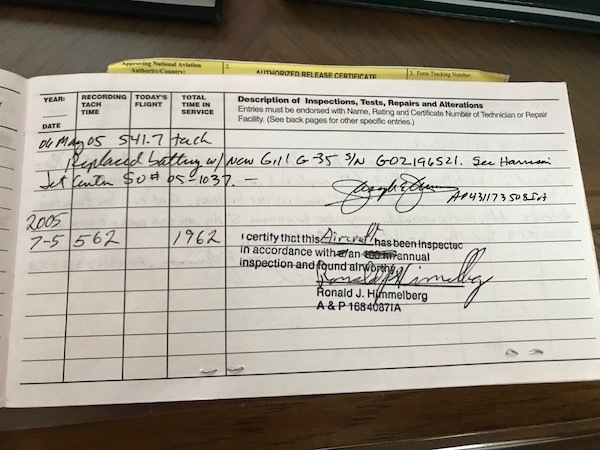 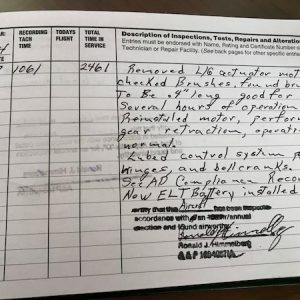 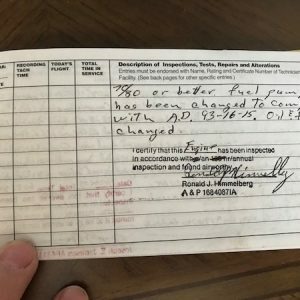 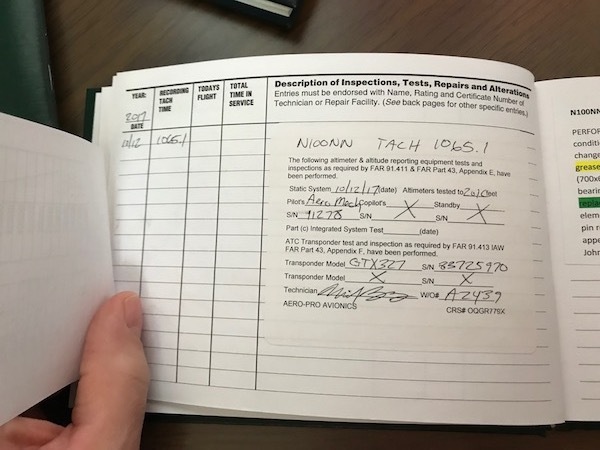 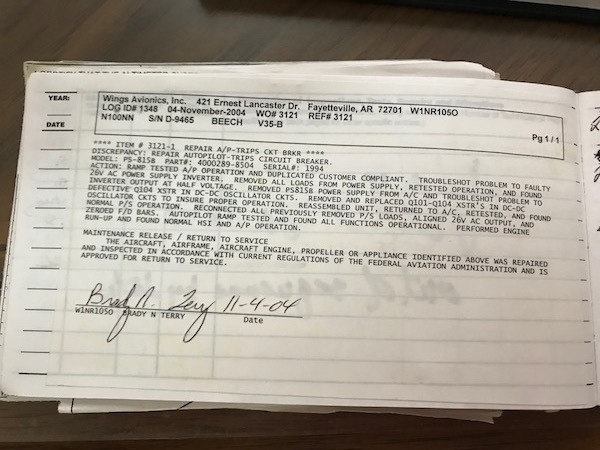 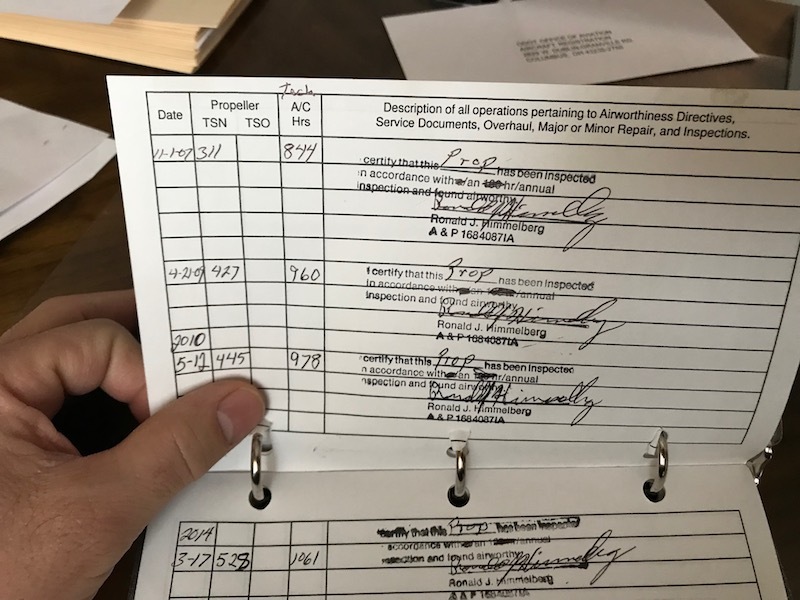 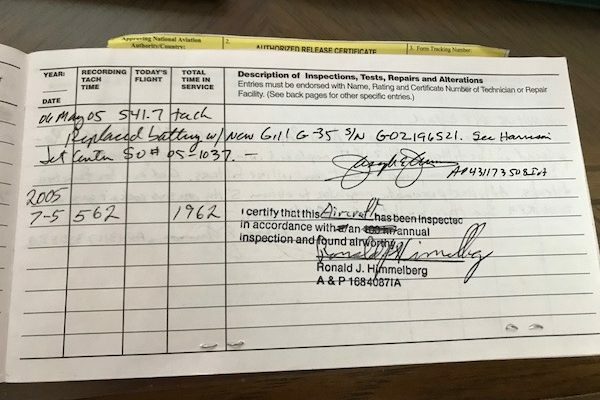 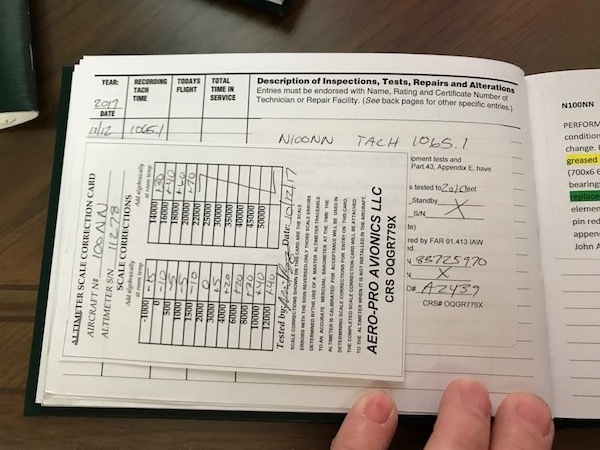 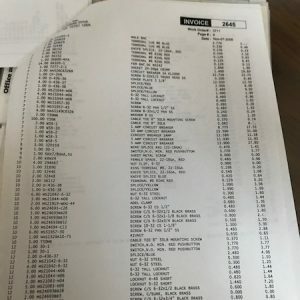 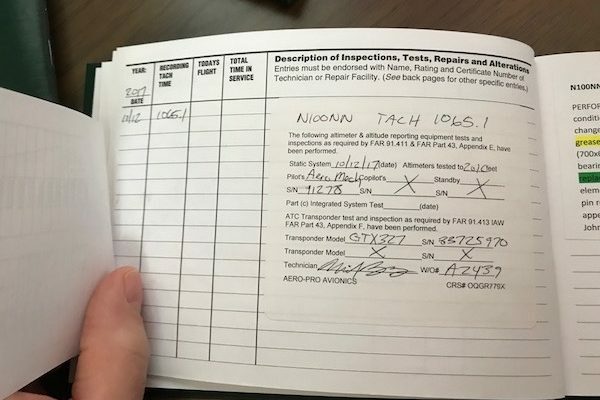 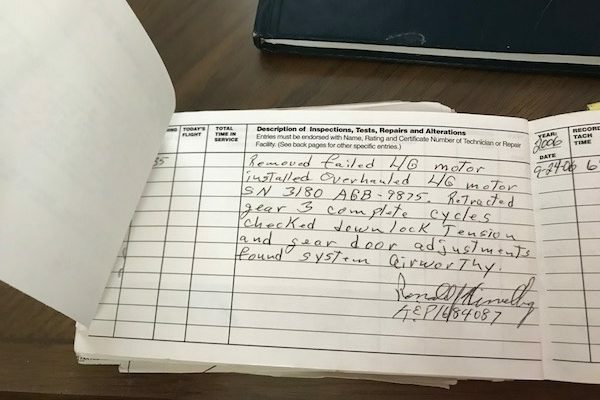 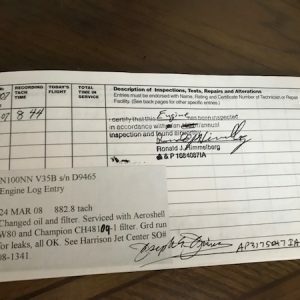 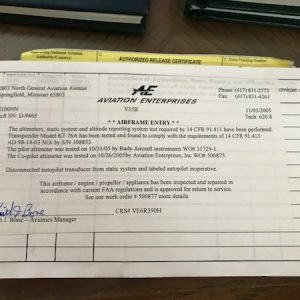 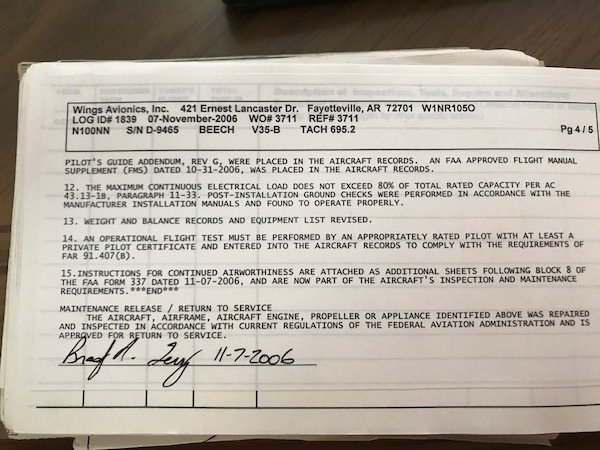 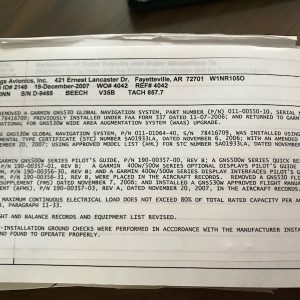 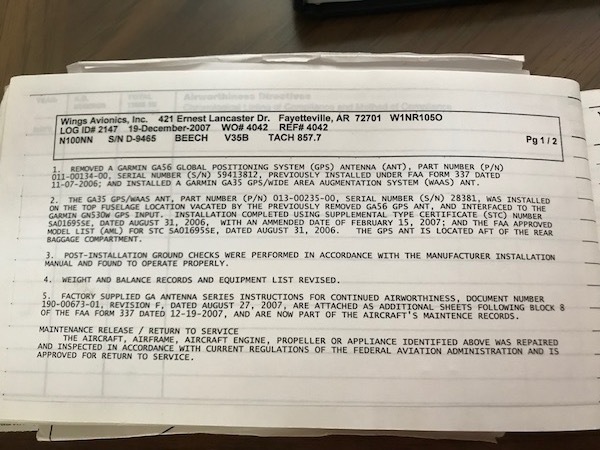 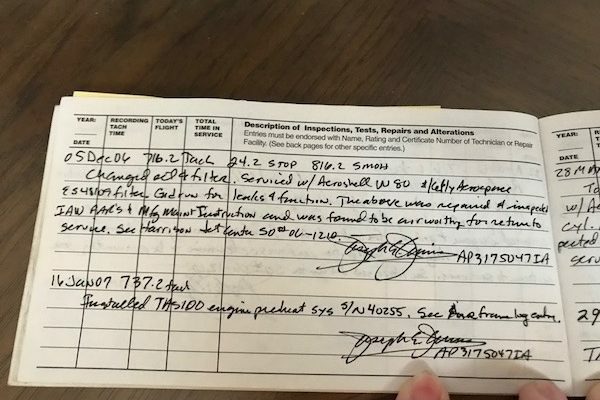 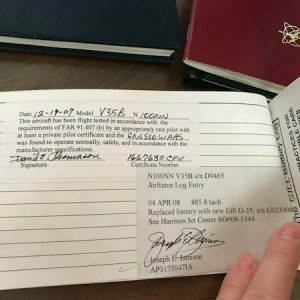 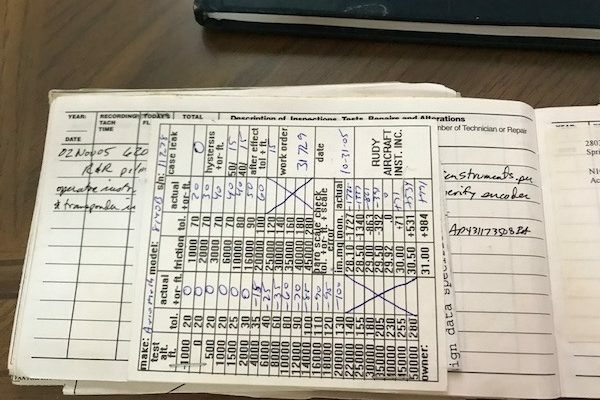 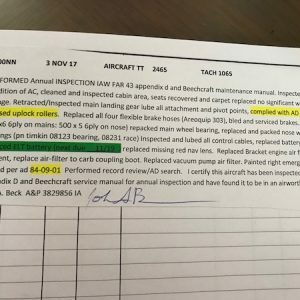 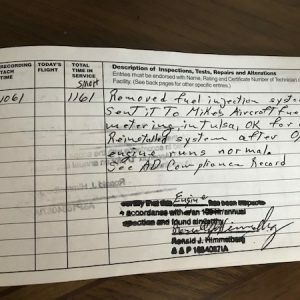 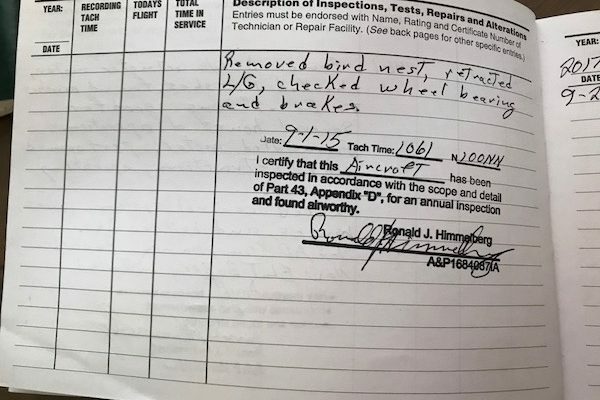 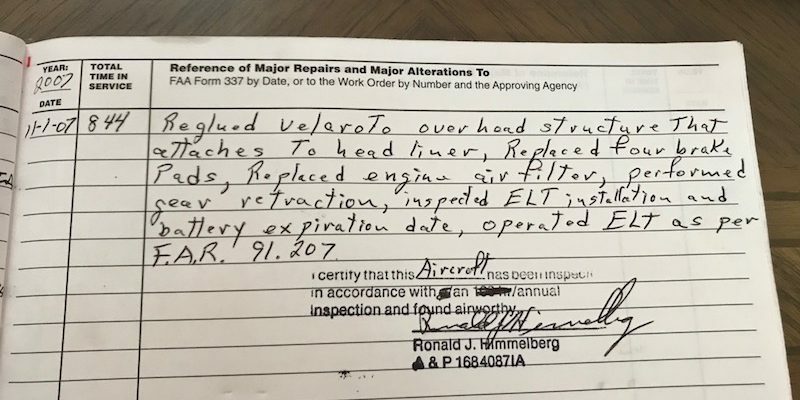 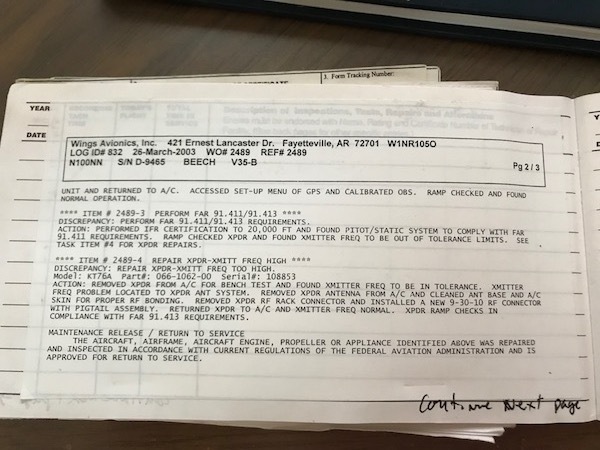 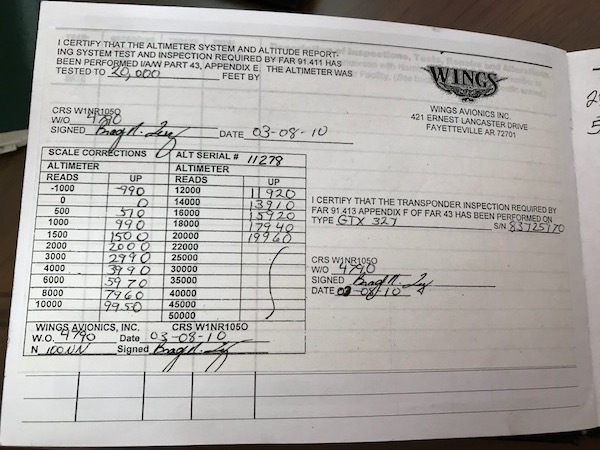 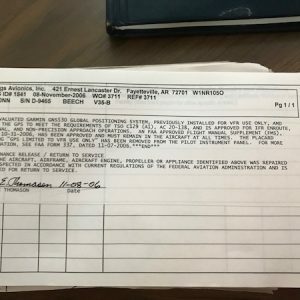 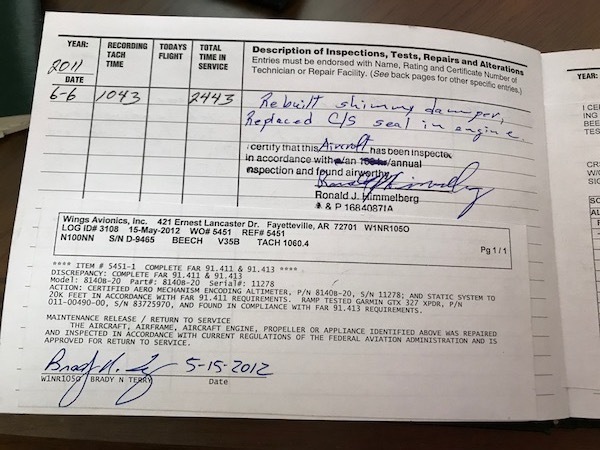 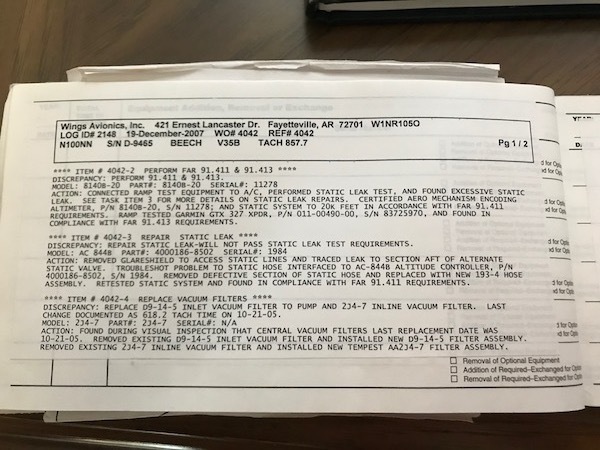 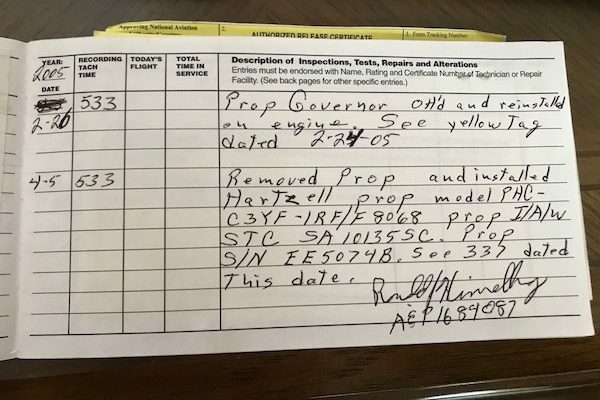 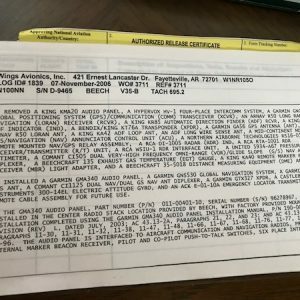 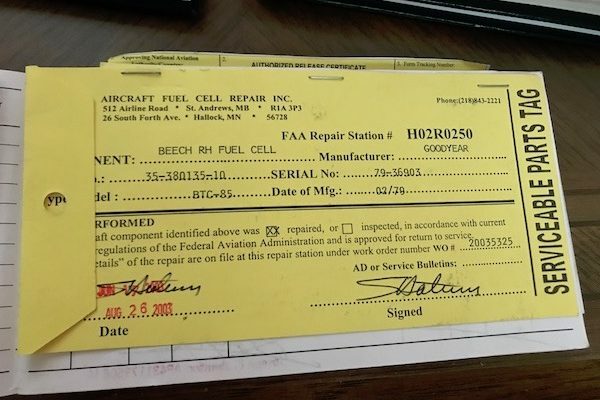 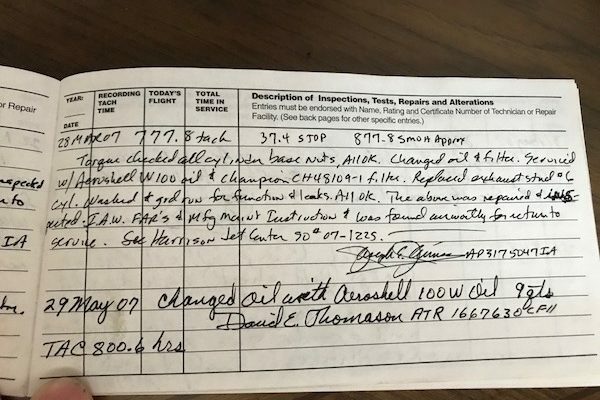 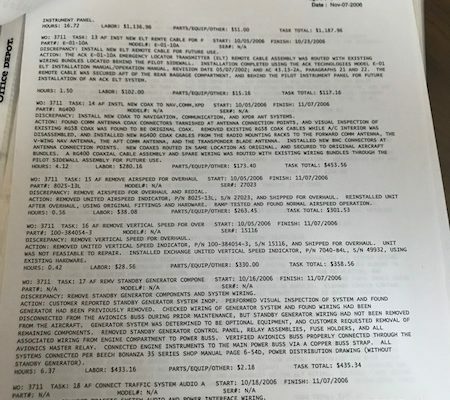 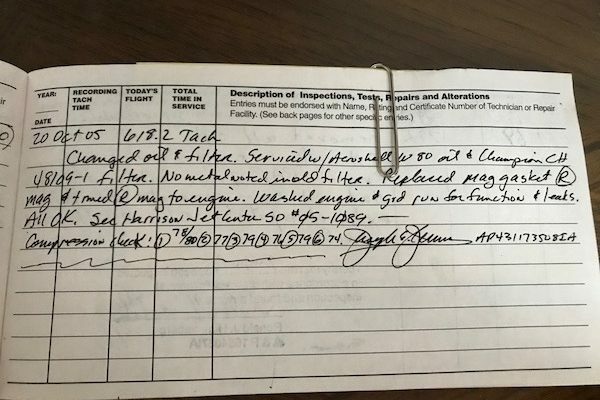 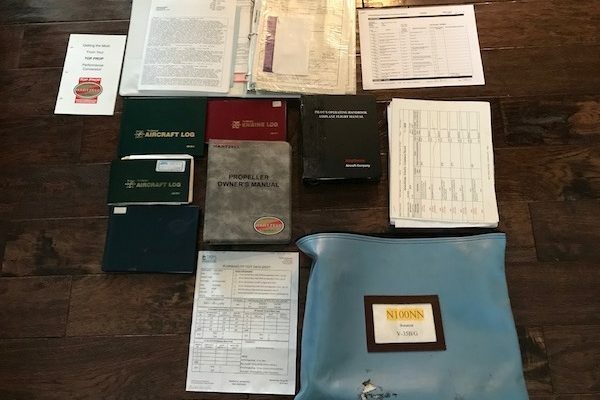 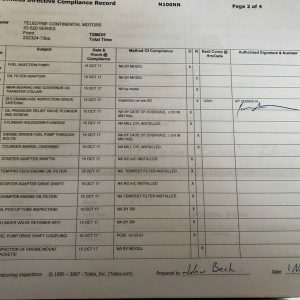 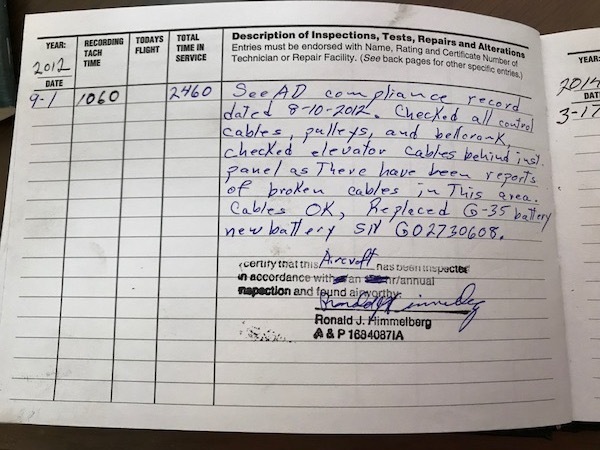 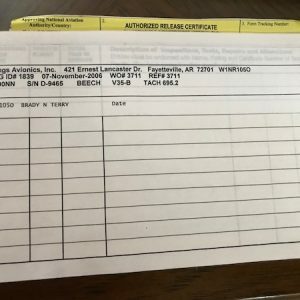 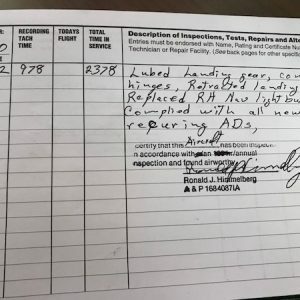 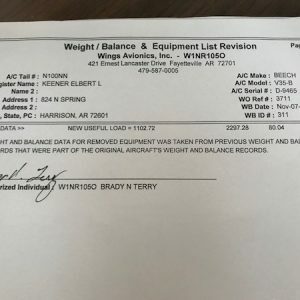 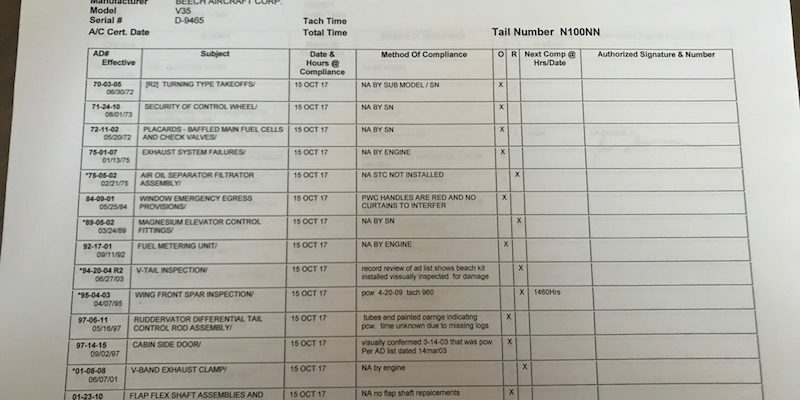 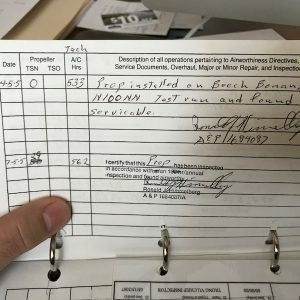 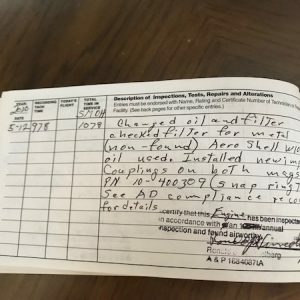 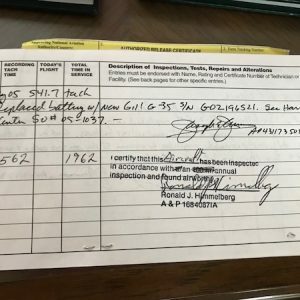 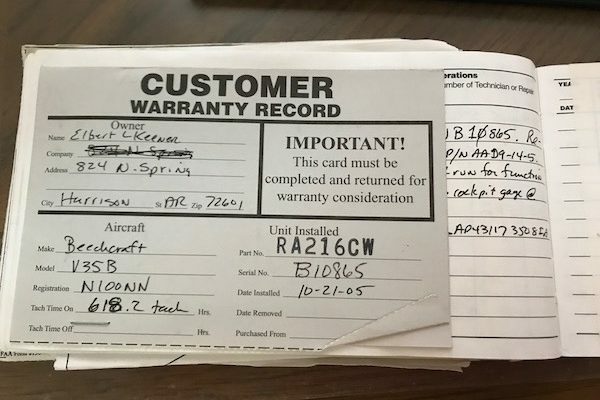 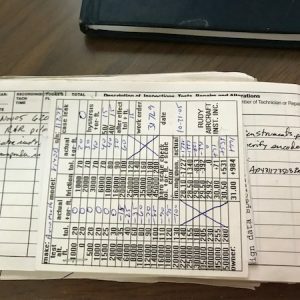 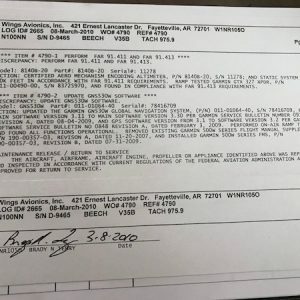 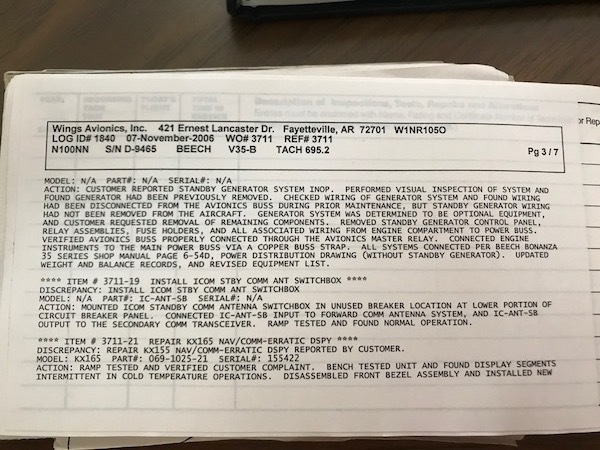 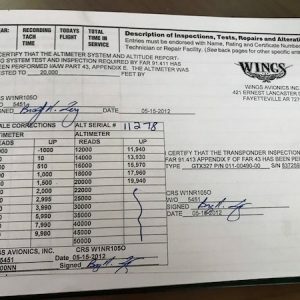 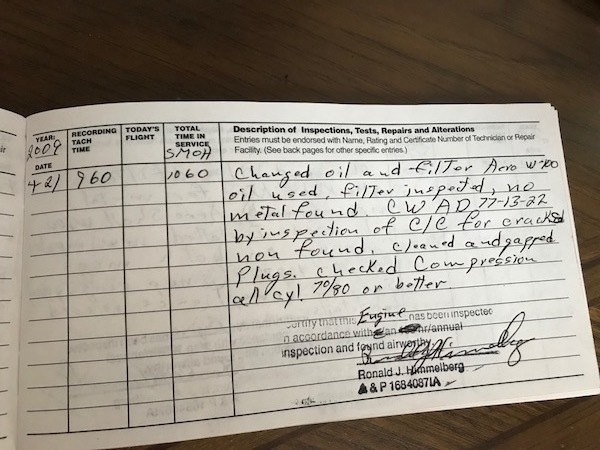 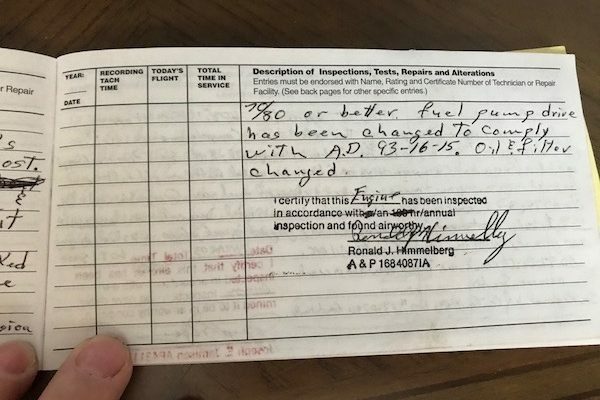 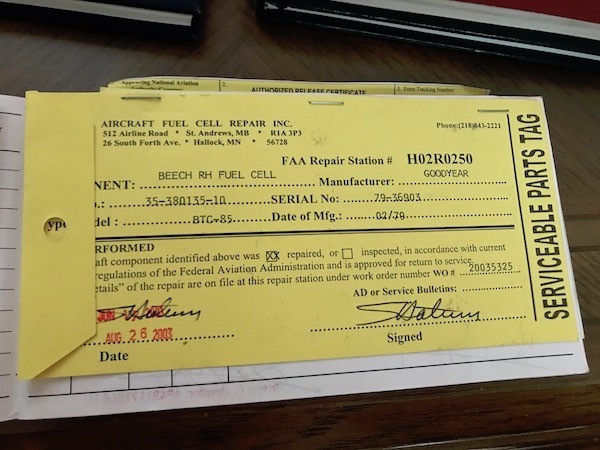 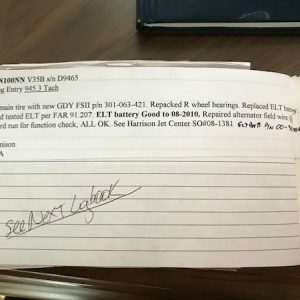 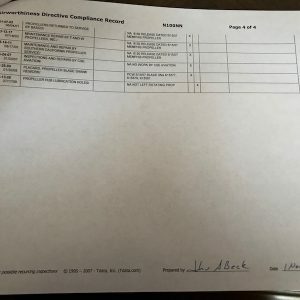 Aircraft maintained by same A&P / IA most its life, logs start in 2001 but the Mechanic maintained the plane prior to logs being lost, family didn’t know what they did with them. 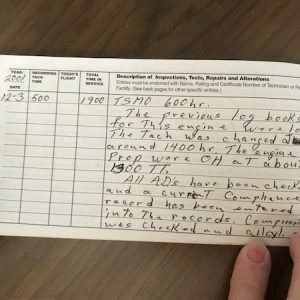 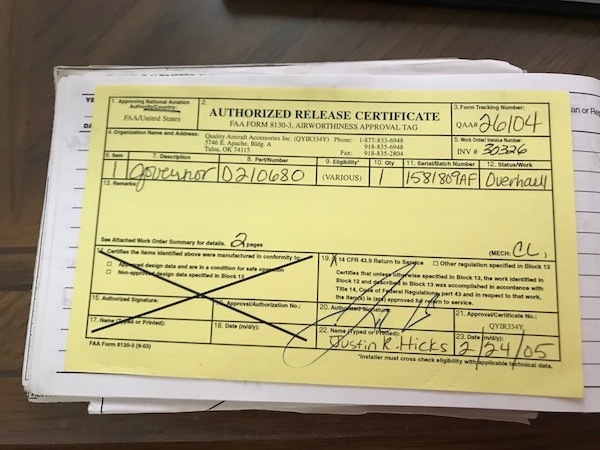 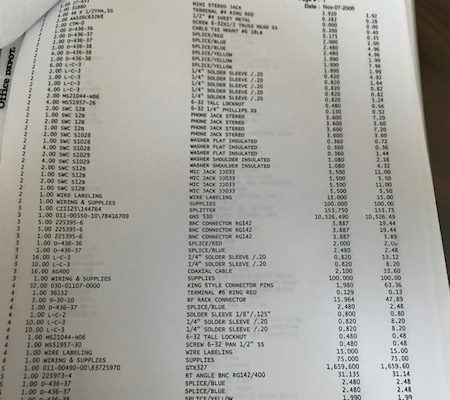 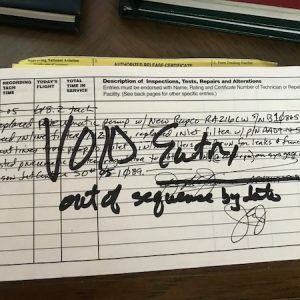 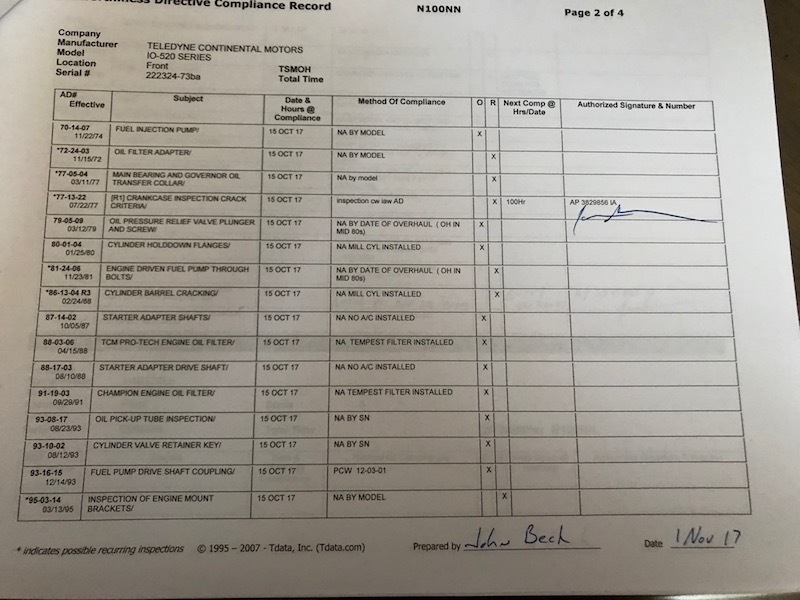 all logs from 2001 to present. 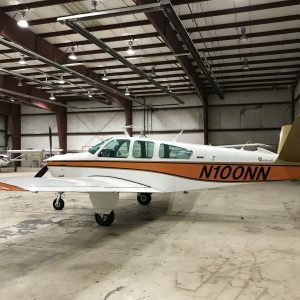 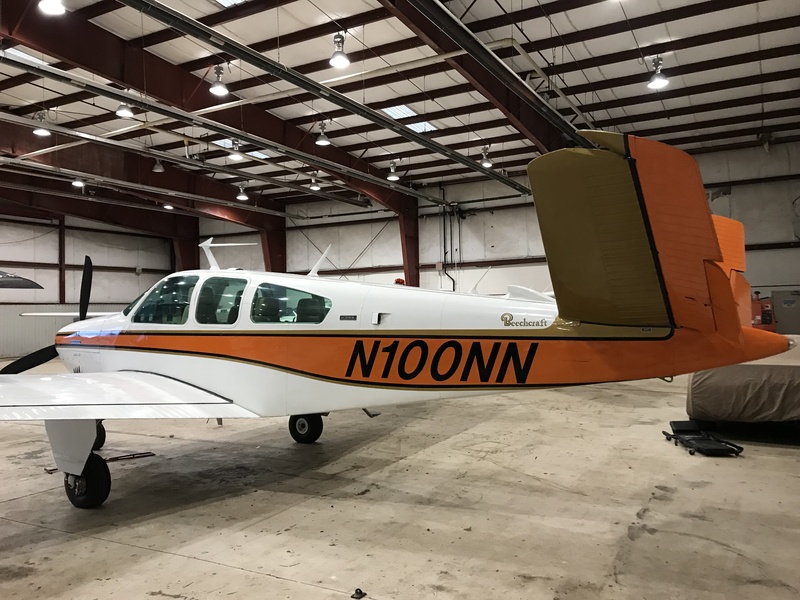 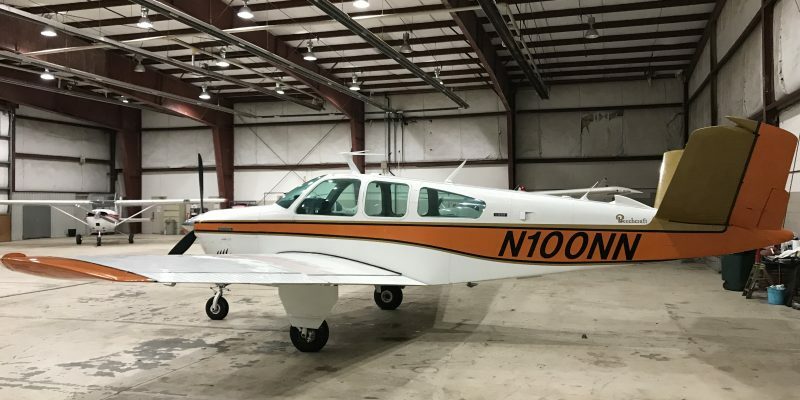 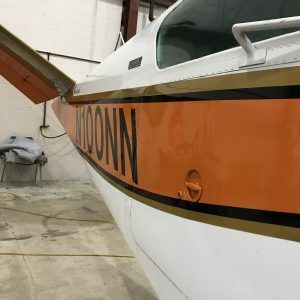 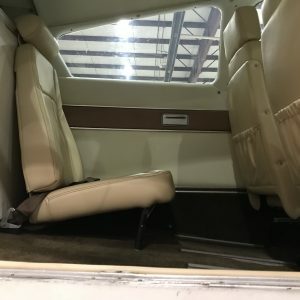 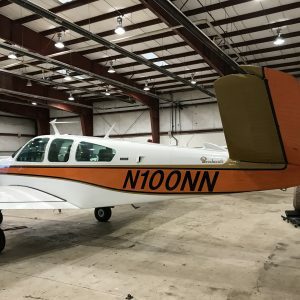 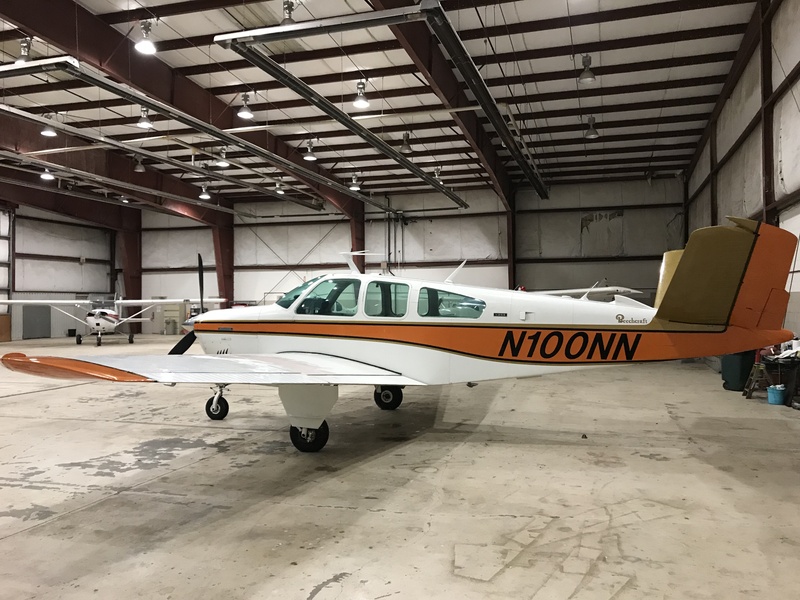 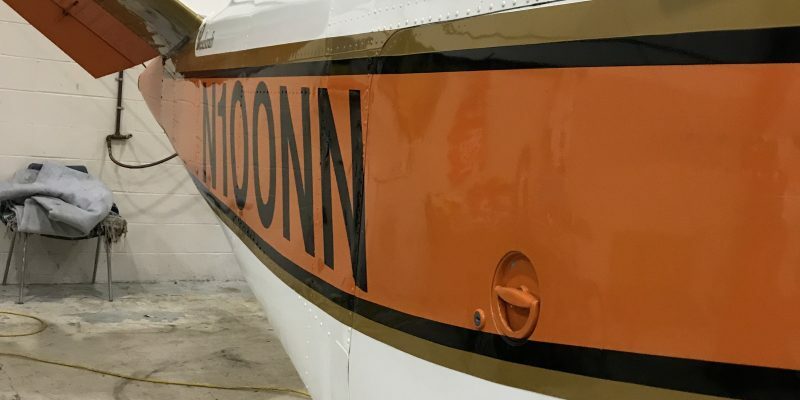 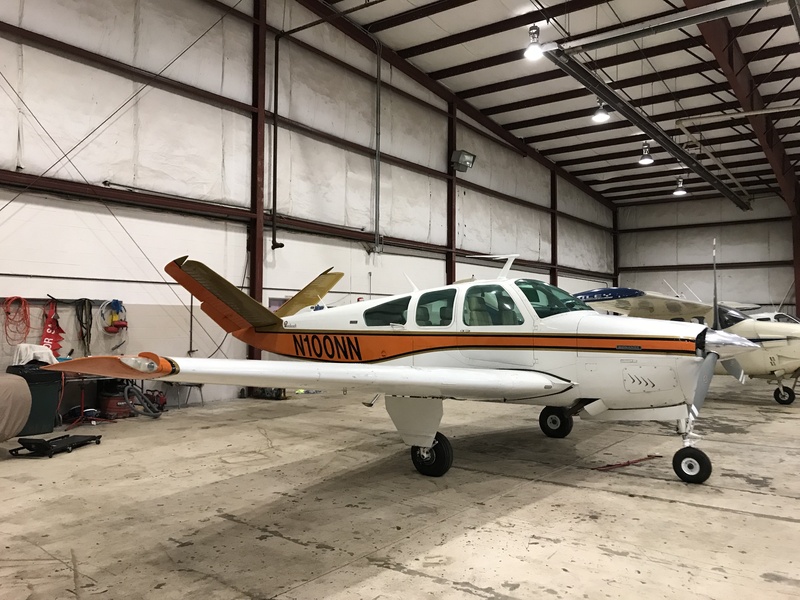 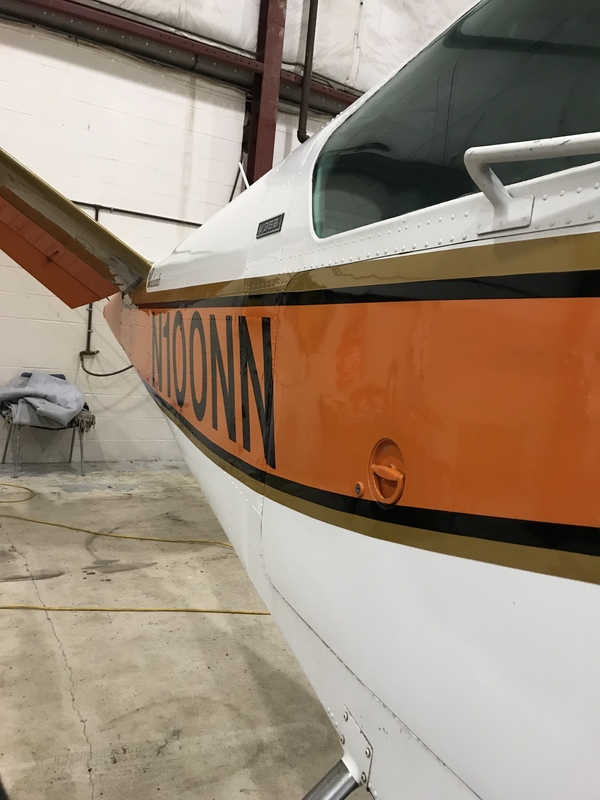 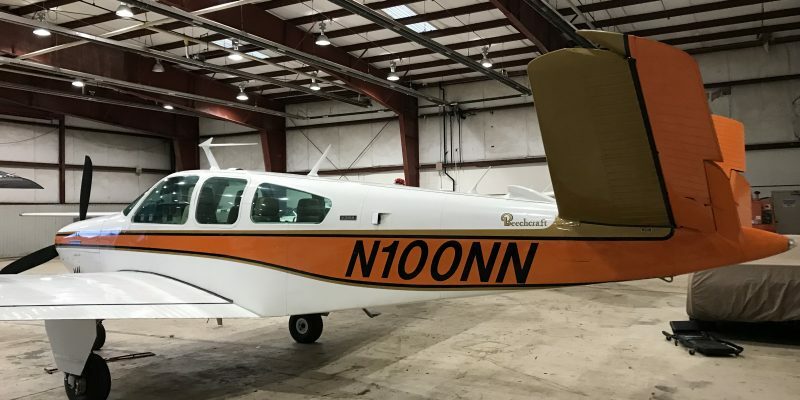 Nice low time airplane with NO corrosion or hail damage. 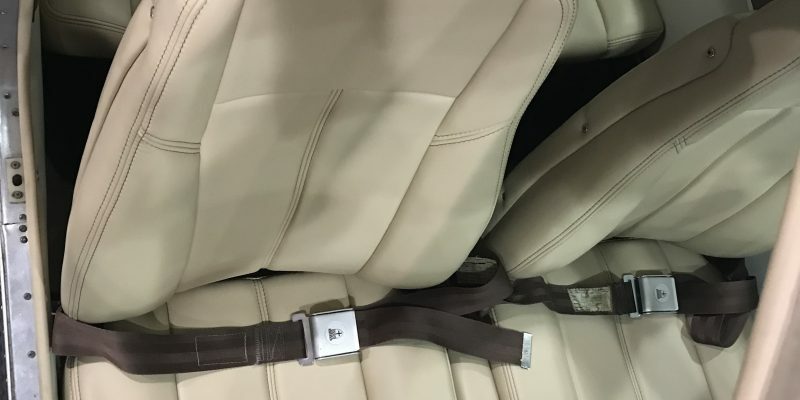 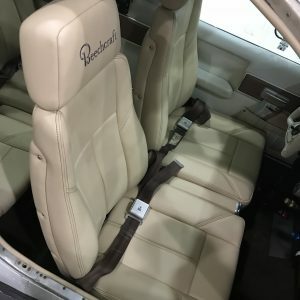 Interior aluminum looks like the day it was made!